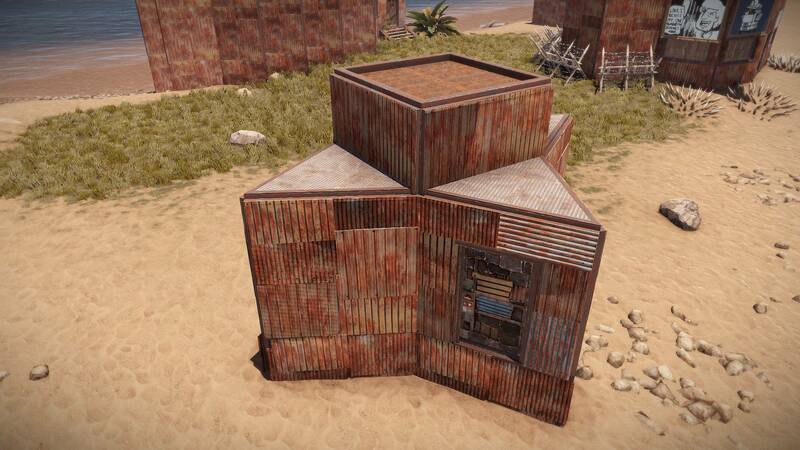 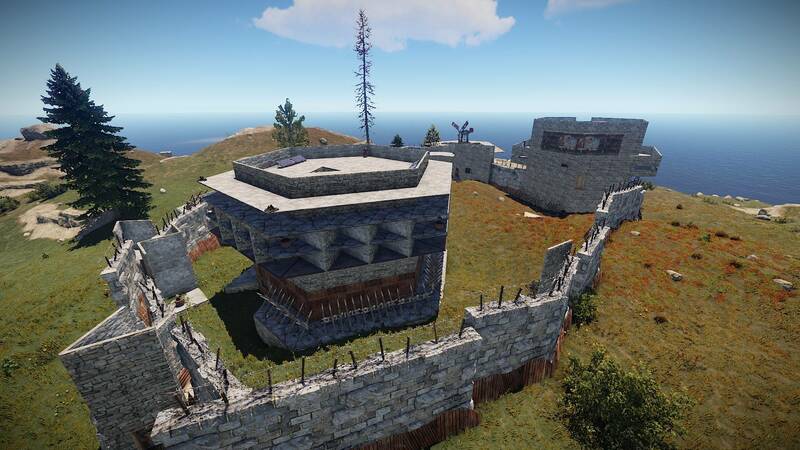 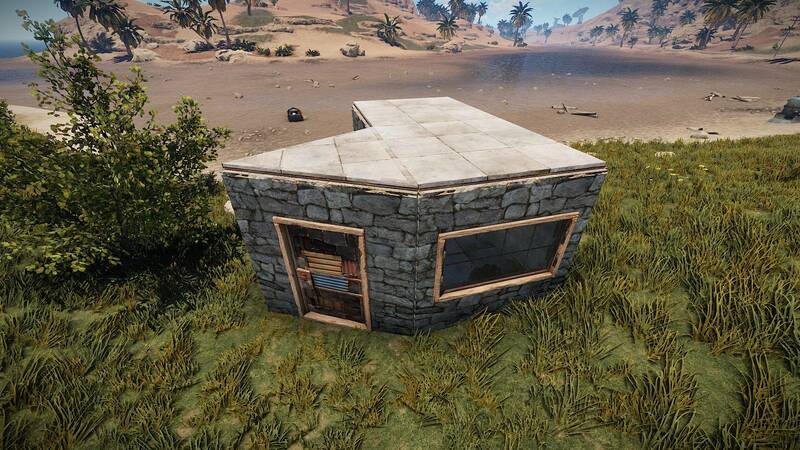 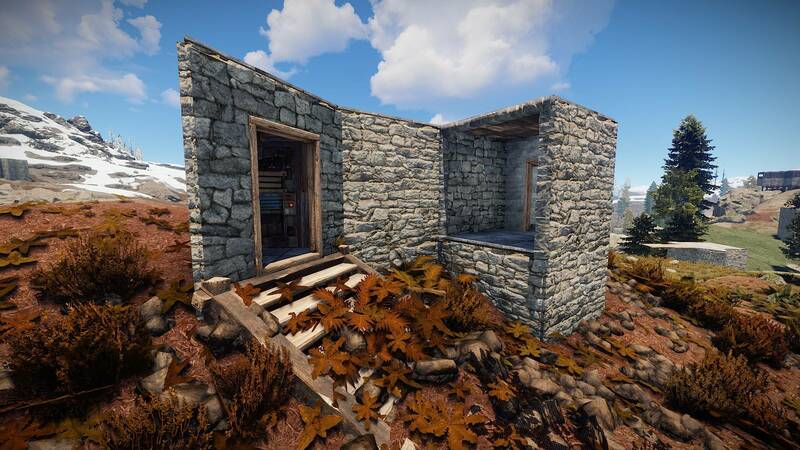 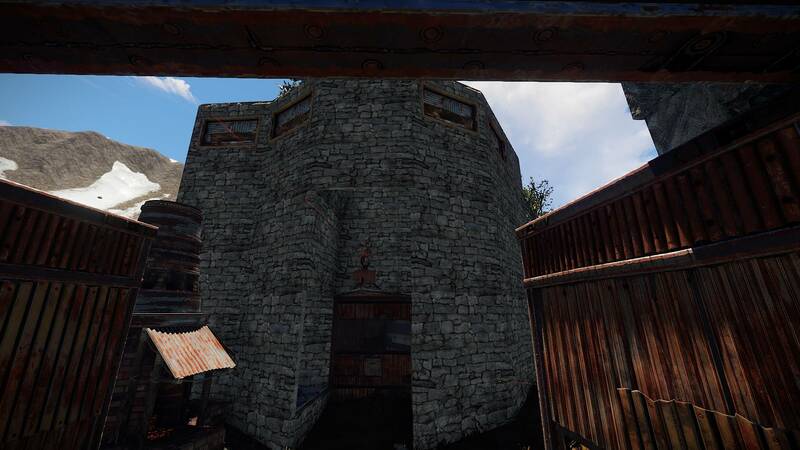 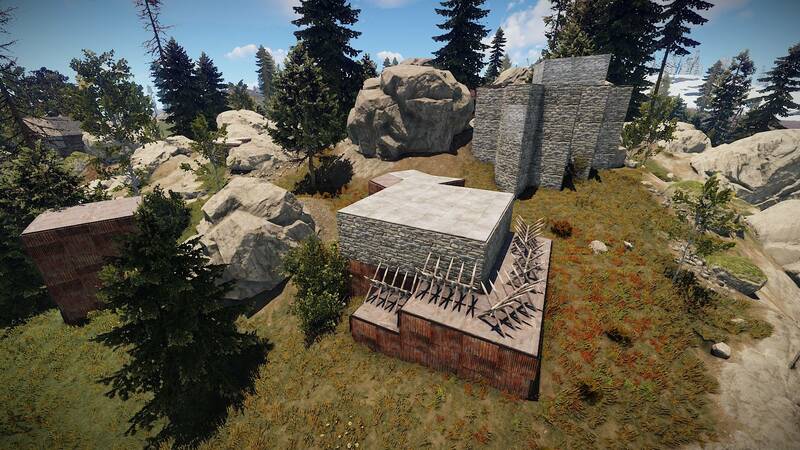 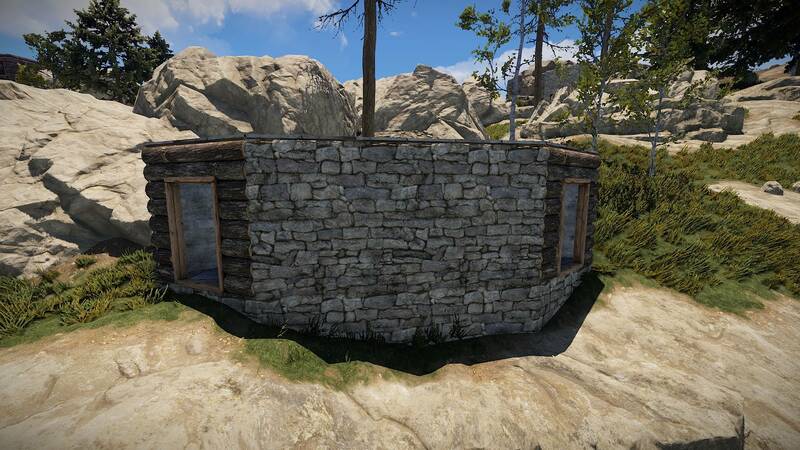 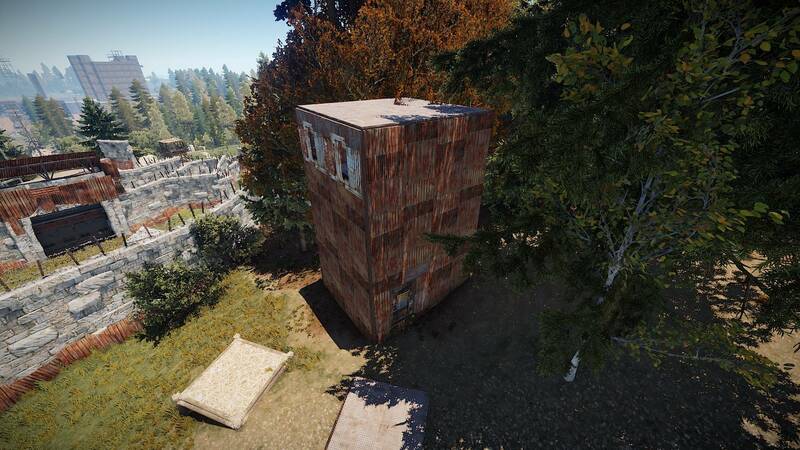 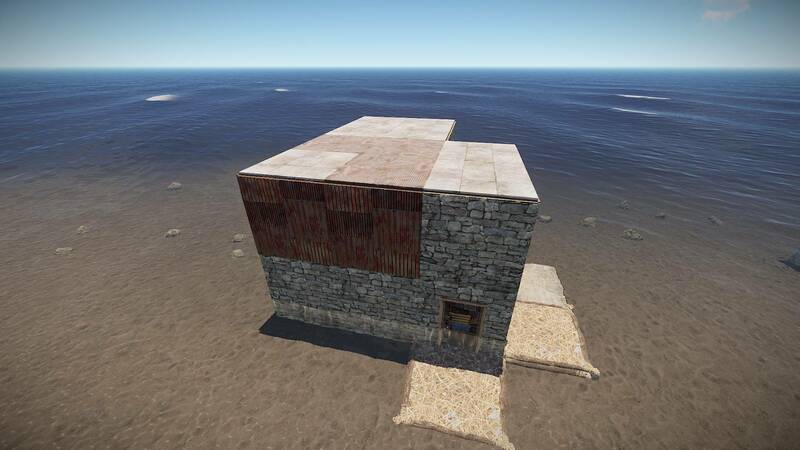 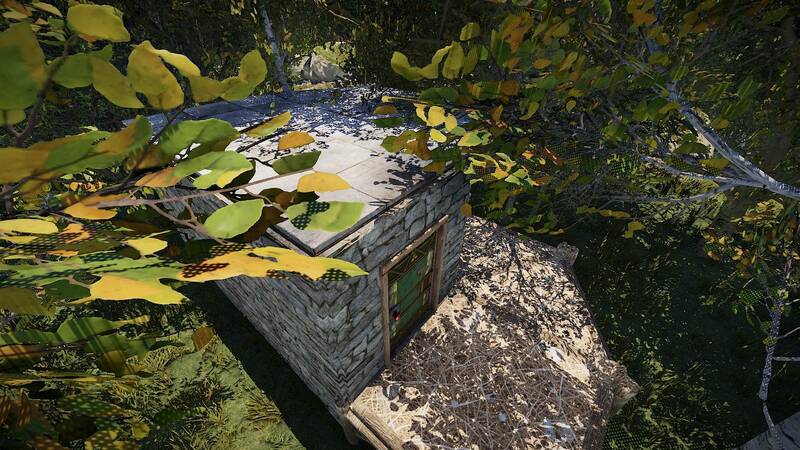 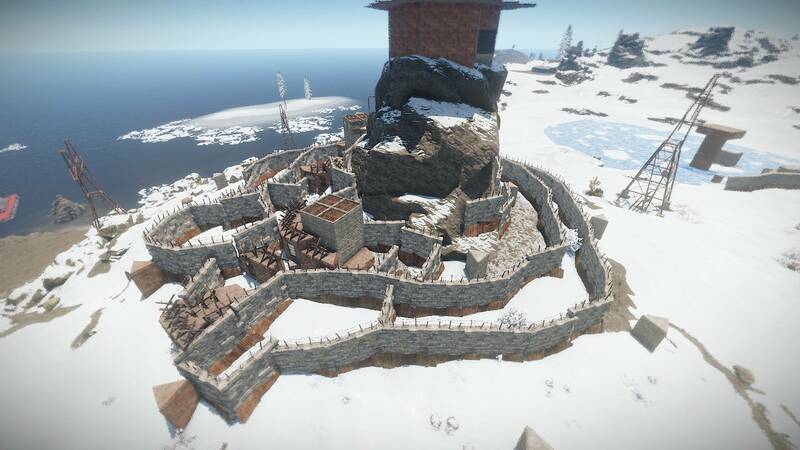 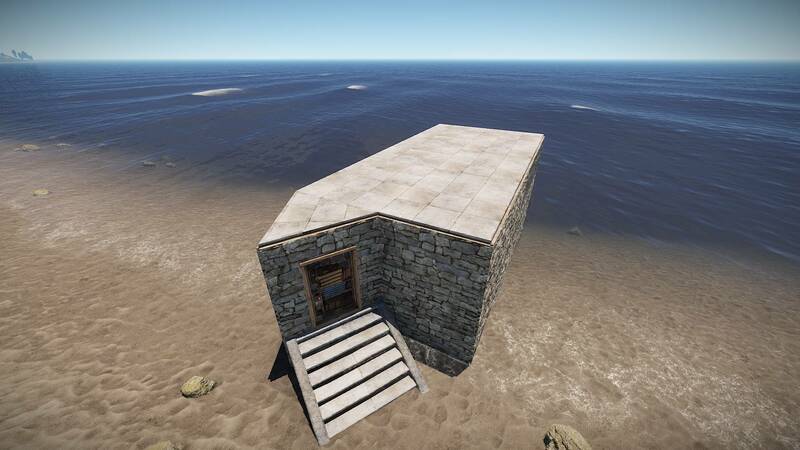 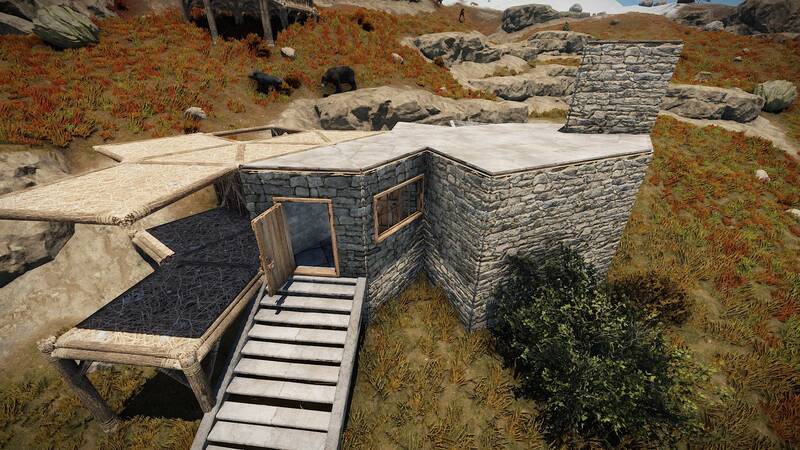 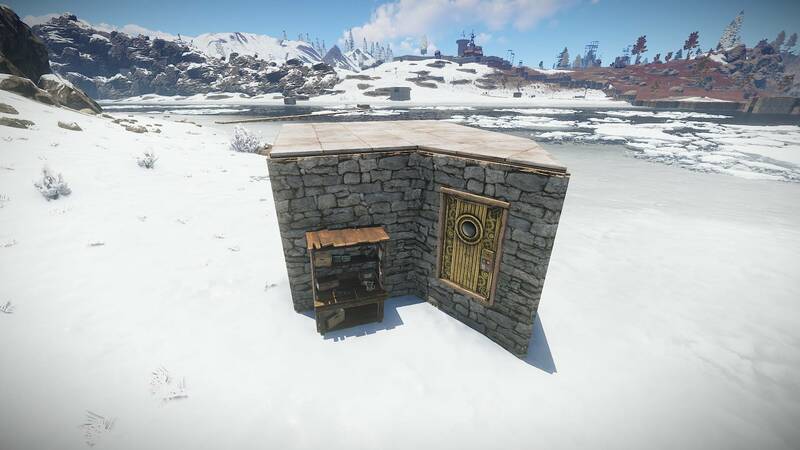 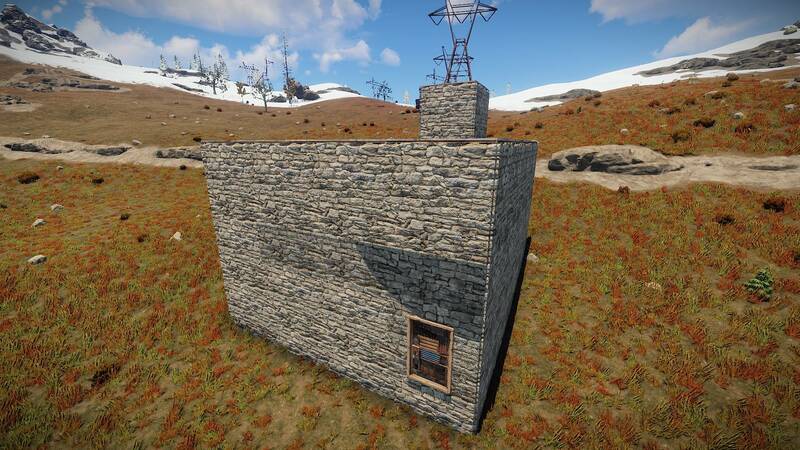 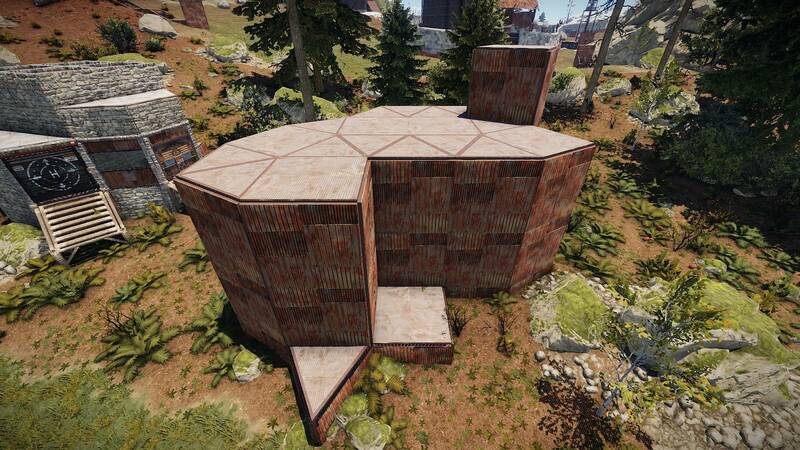 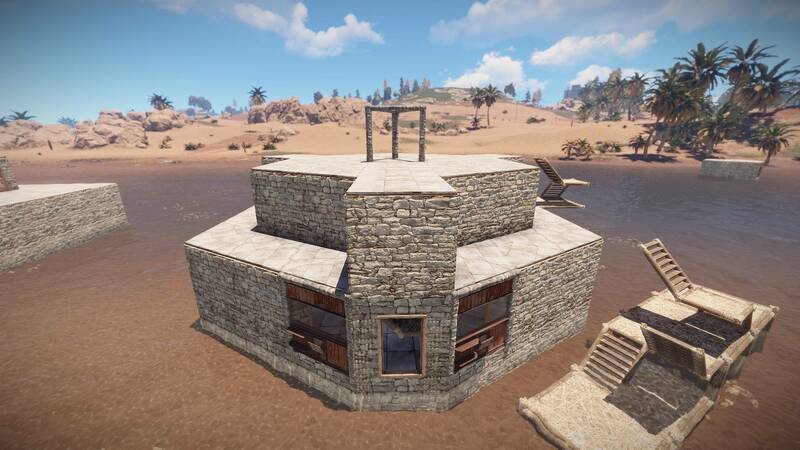 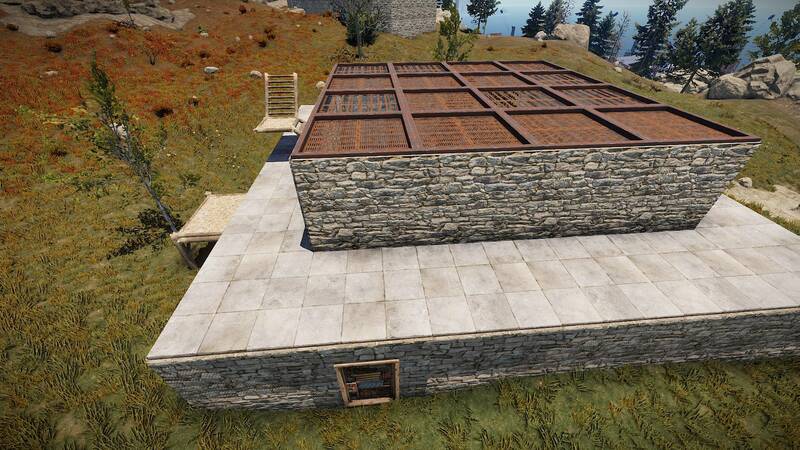 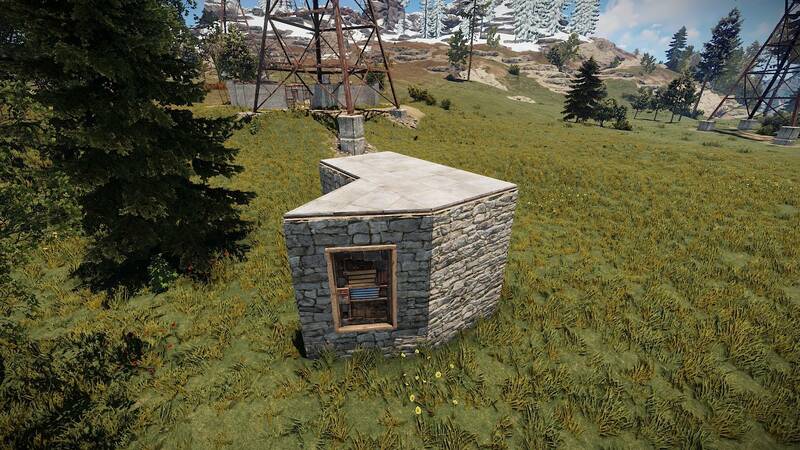 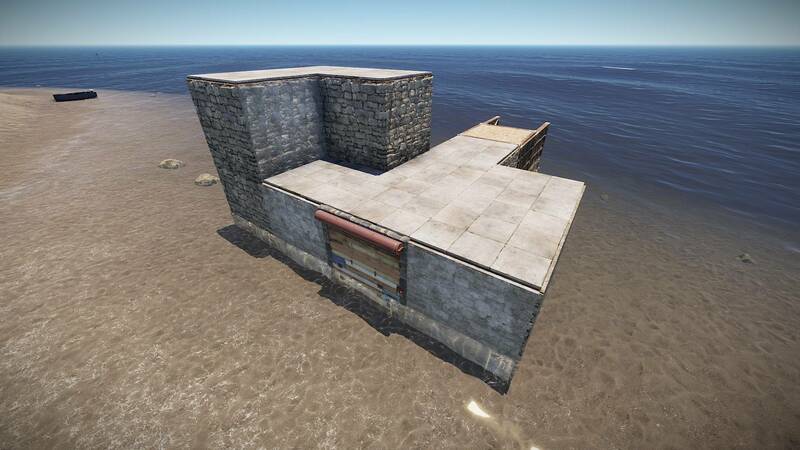 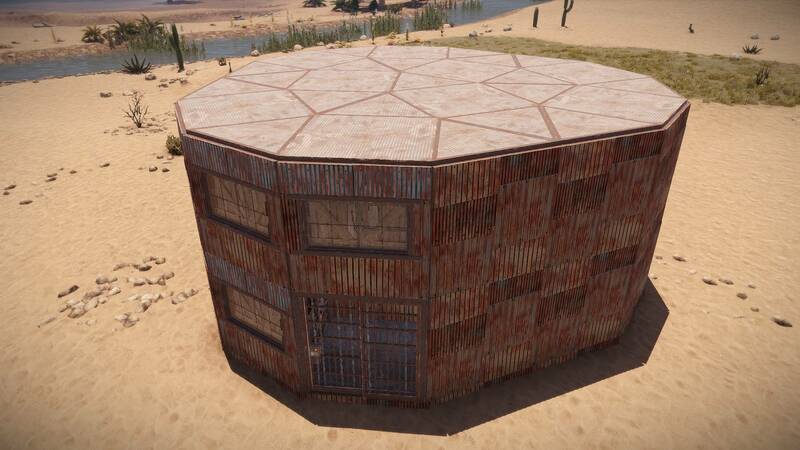 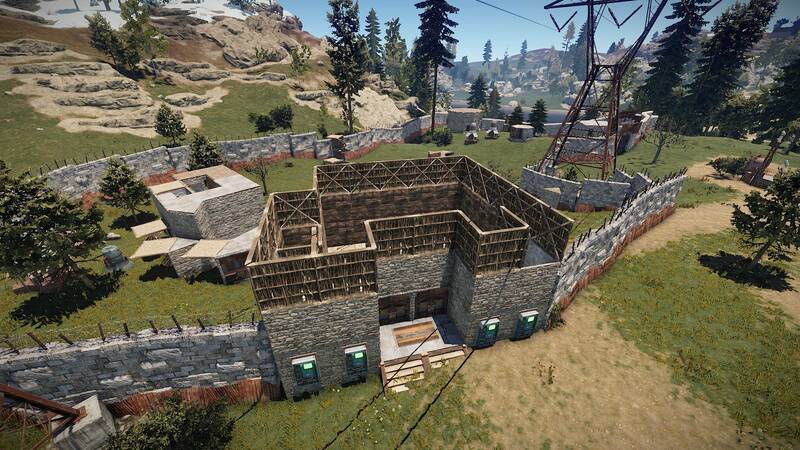 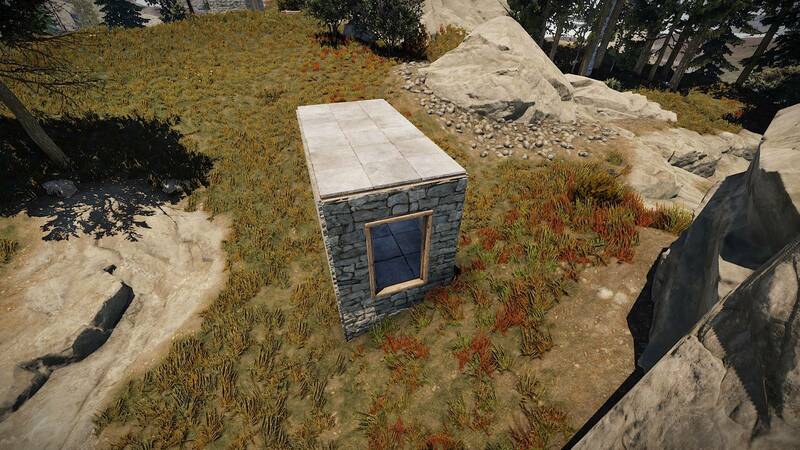 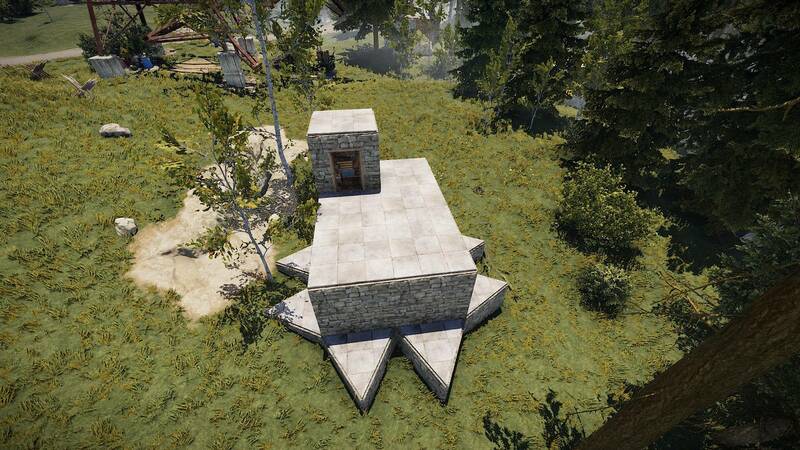 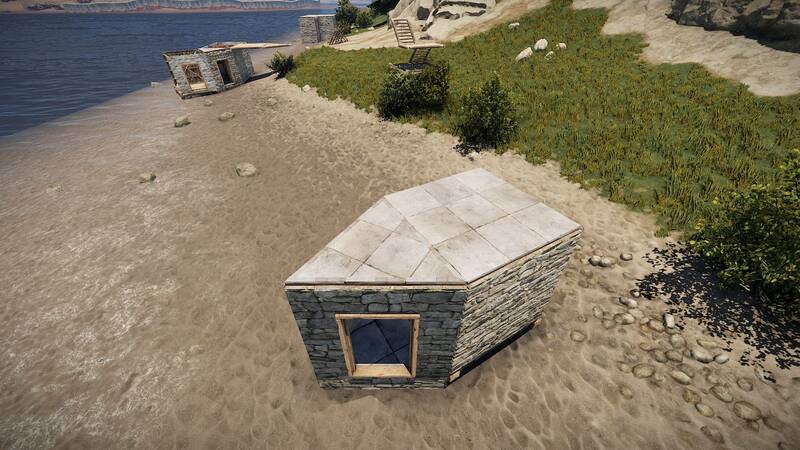 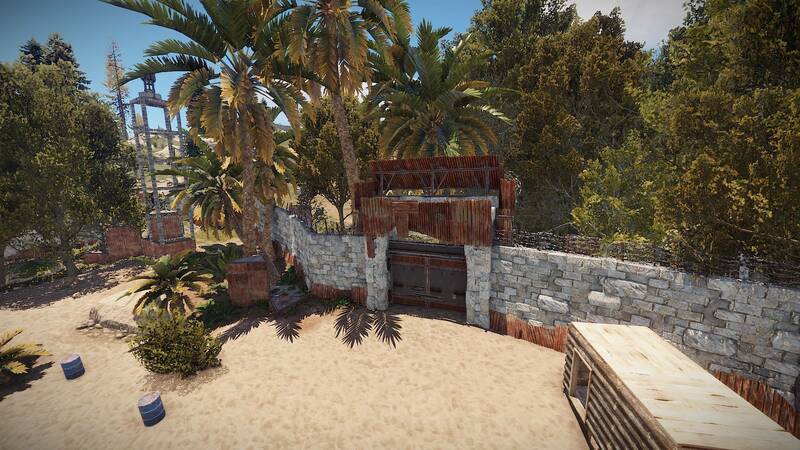 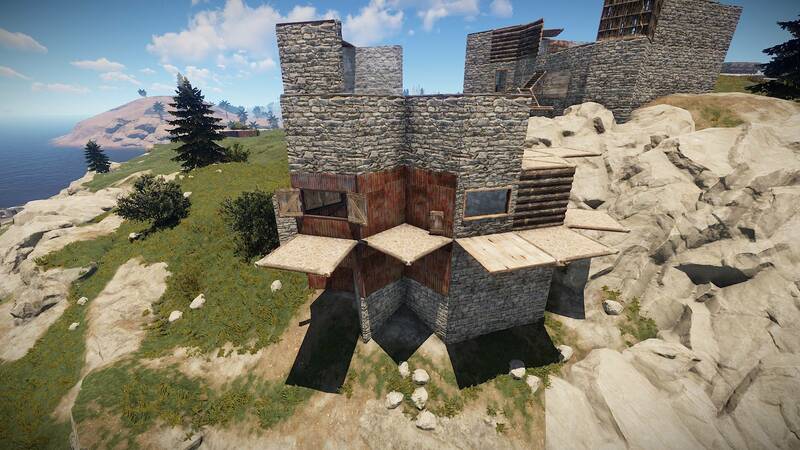 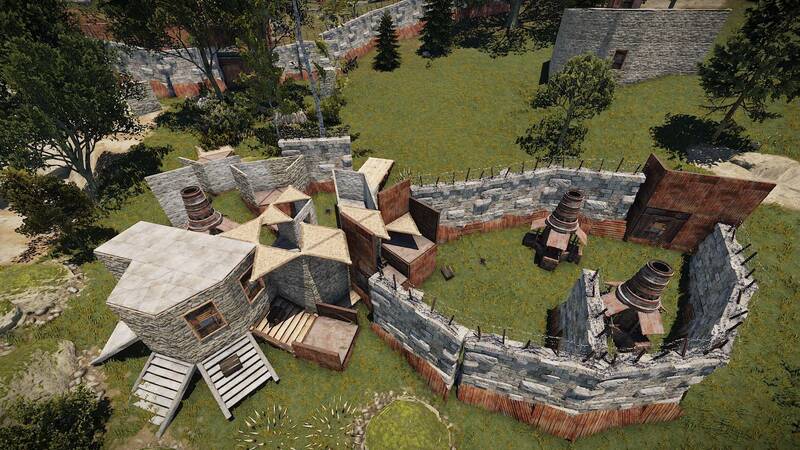 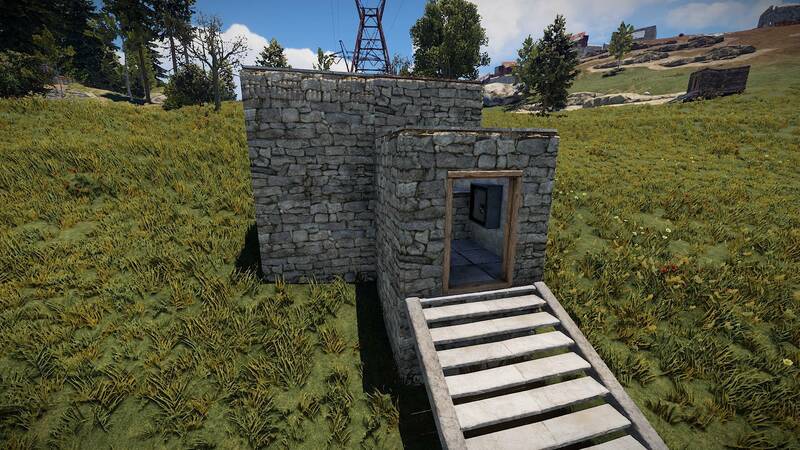 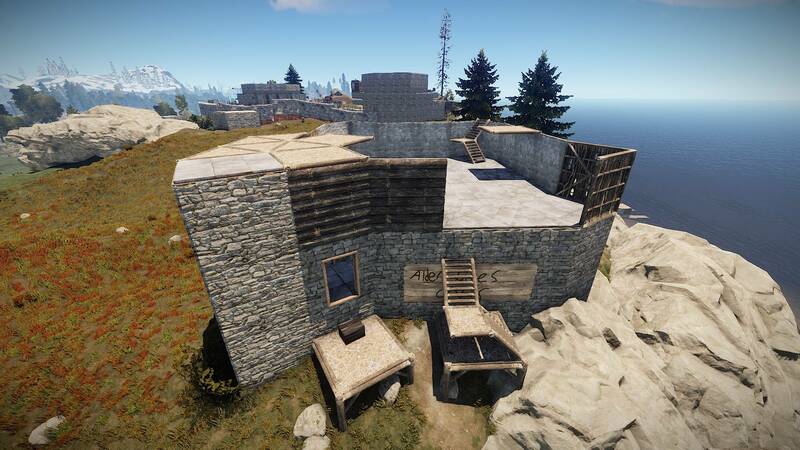 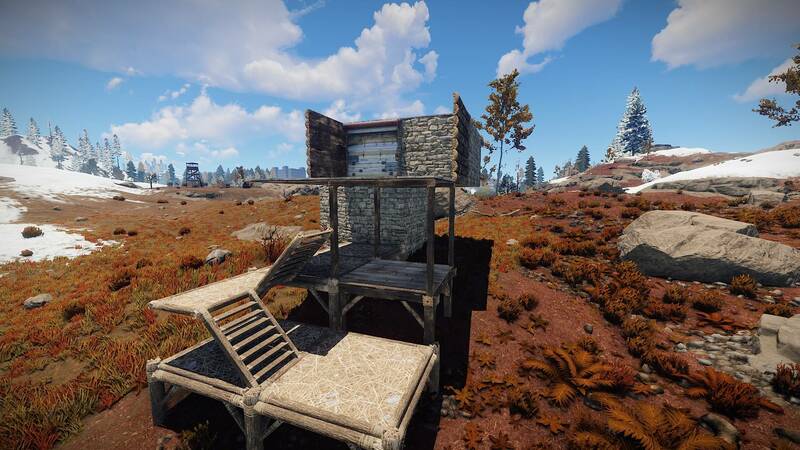 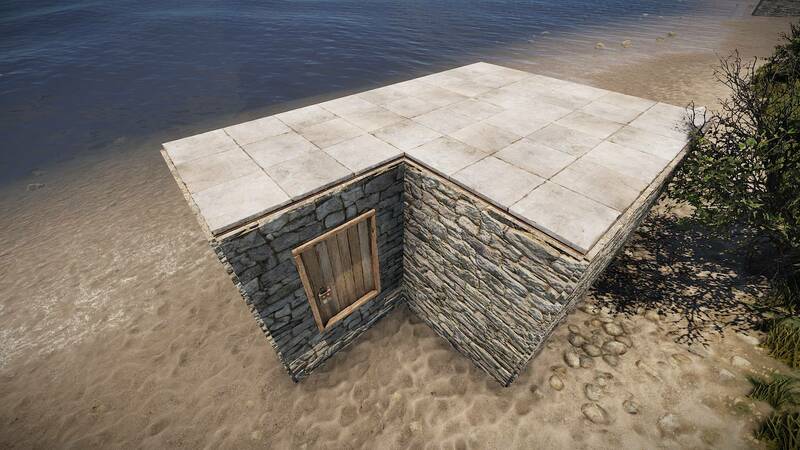 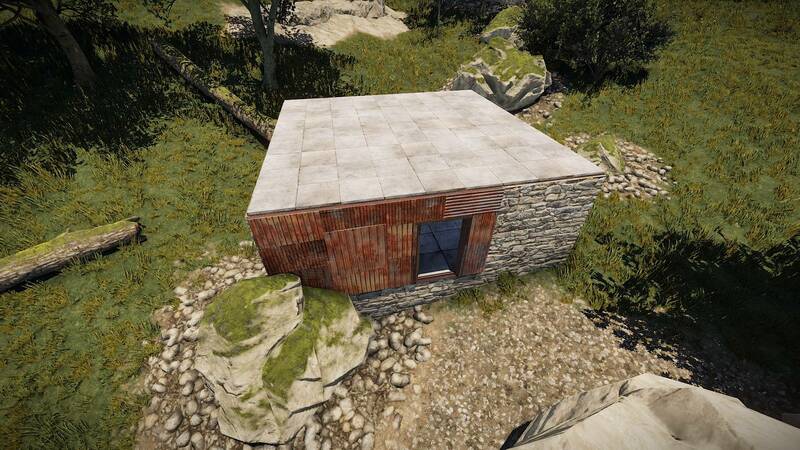 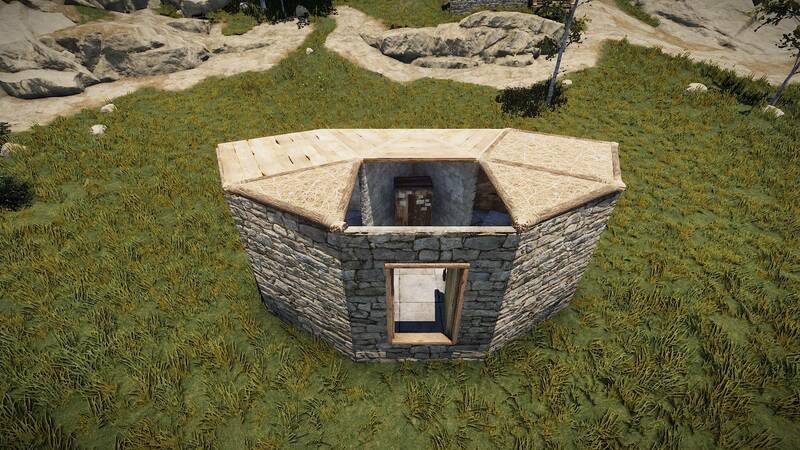 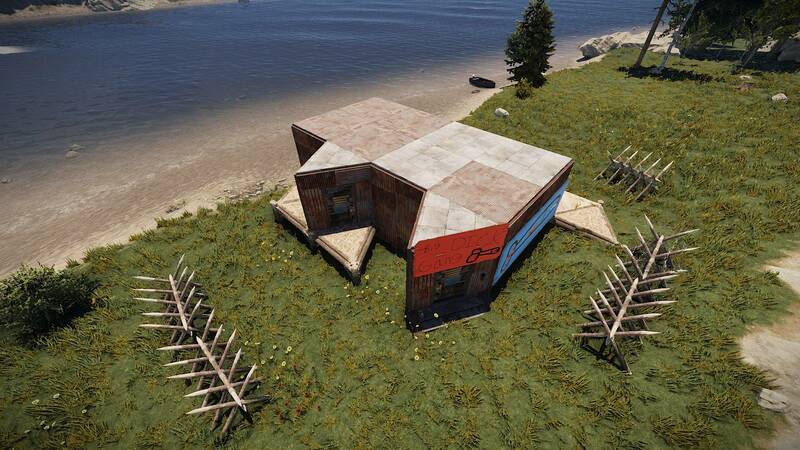 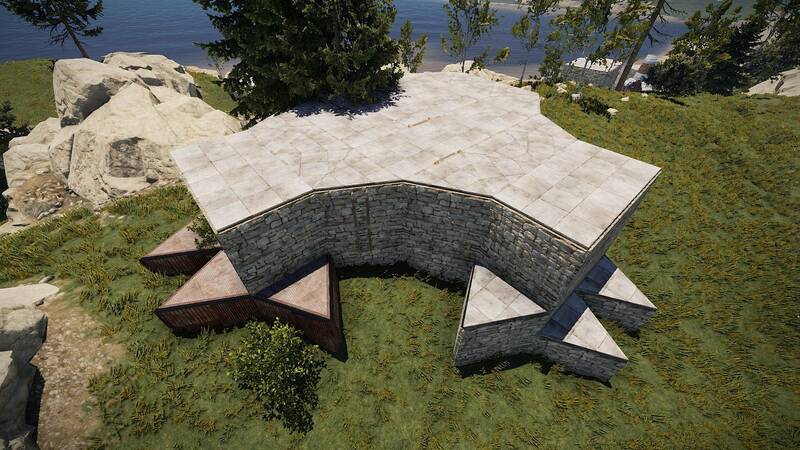 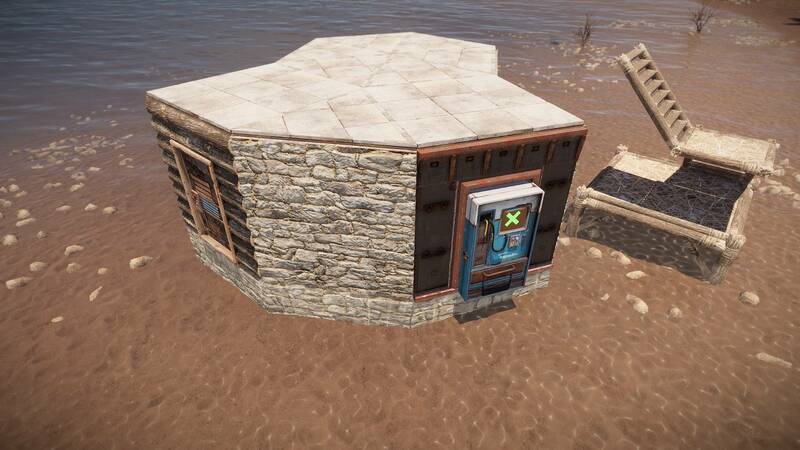 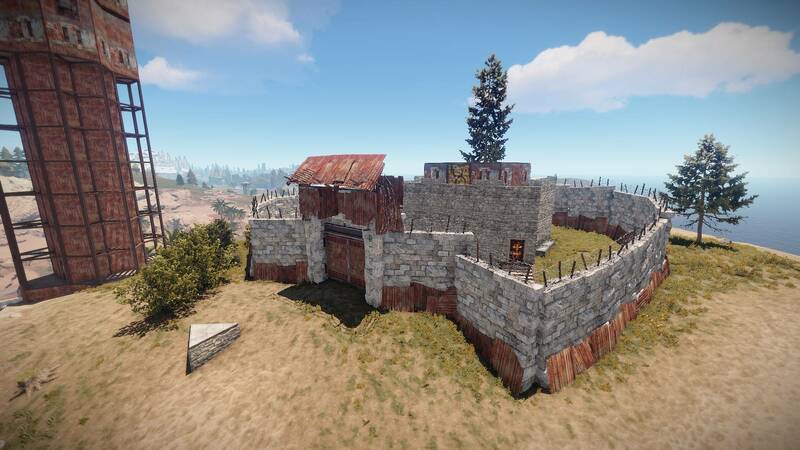 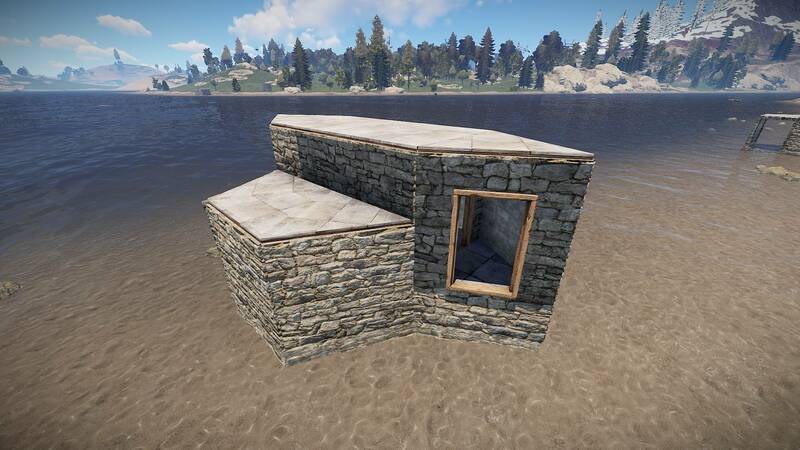 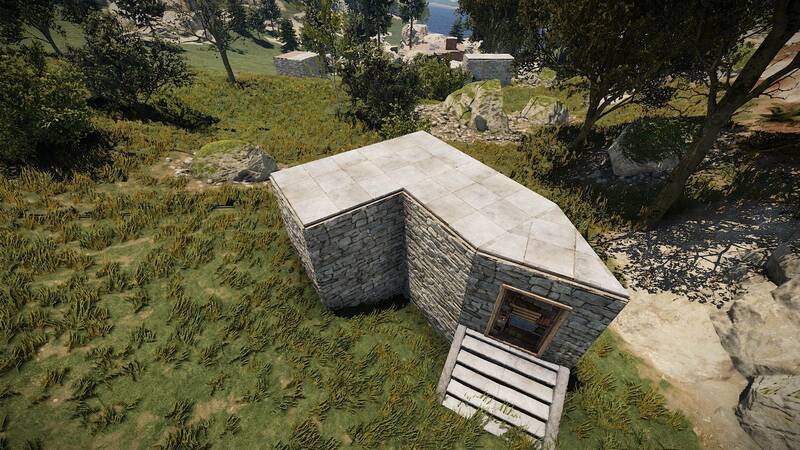 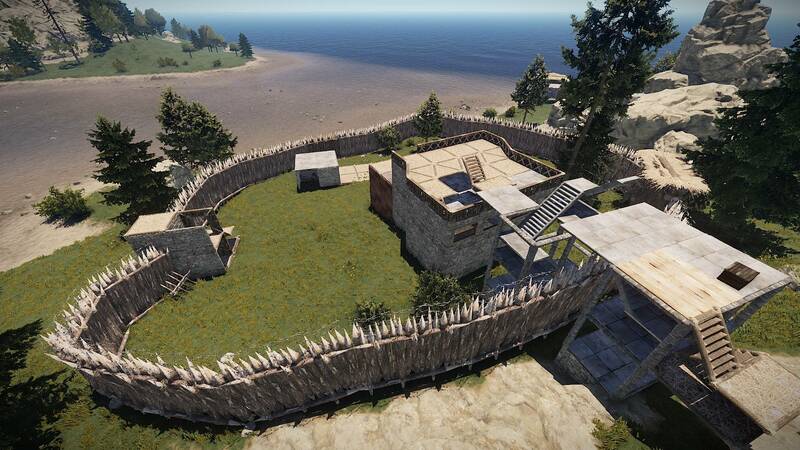 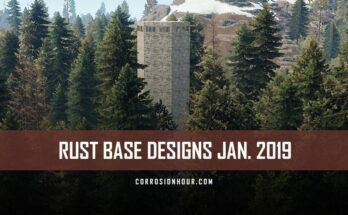 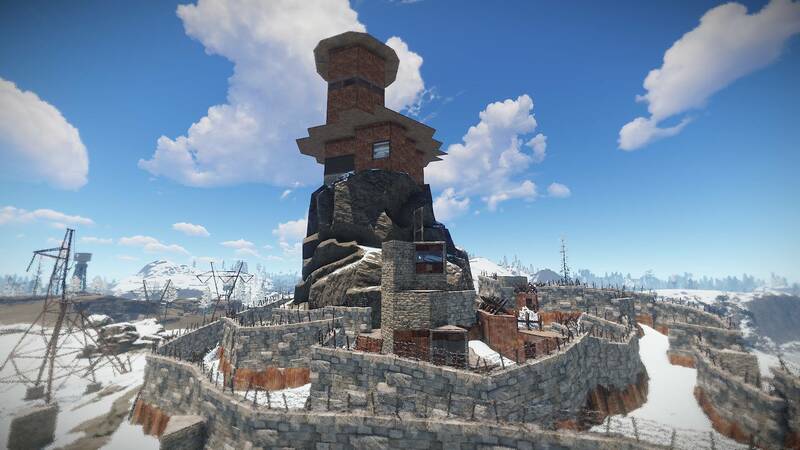 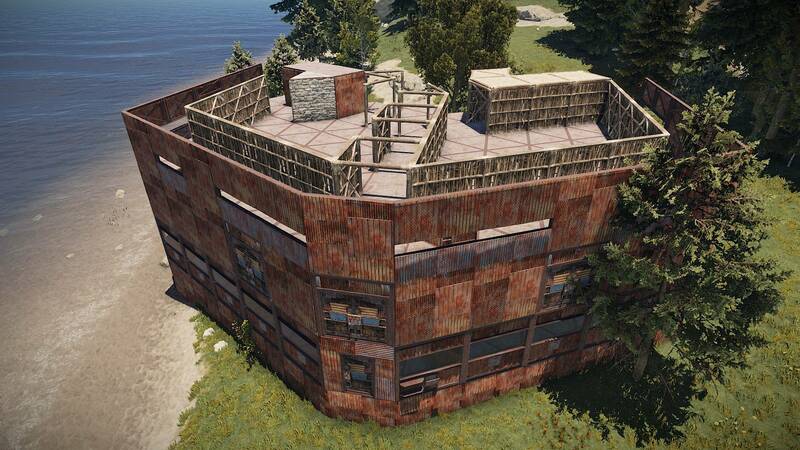 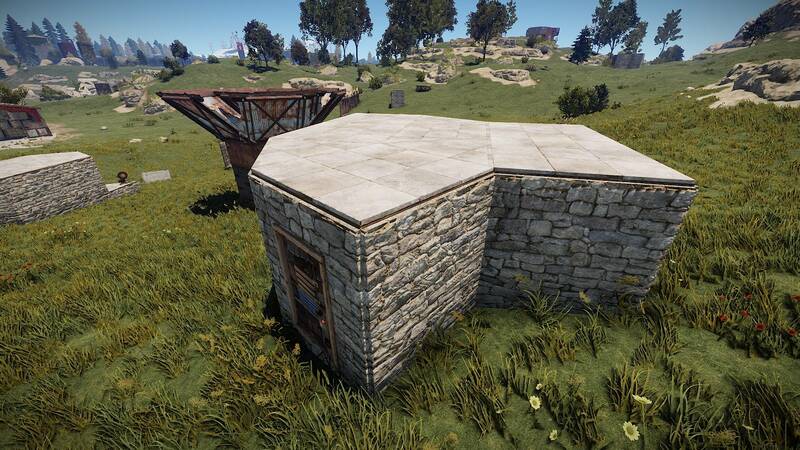 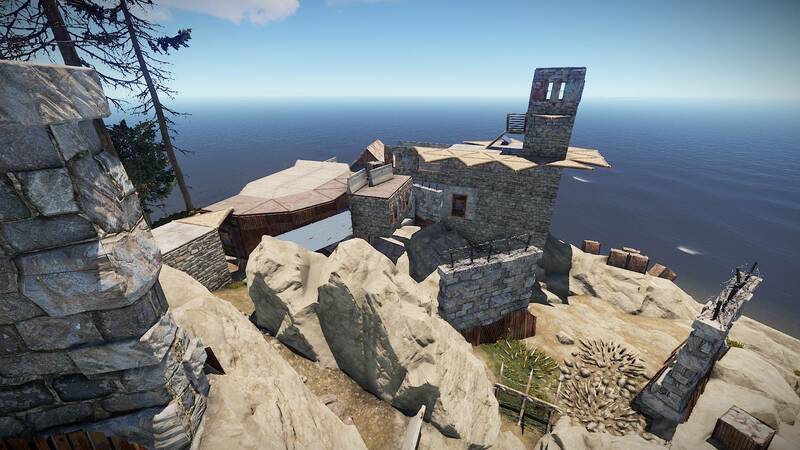 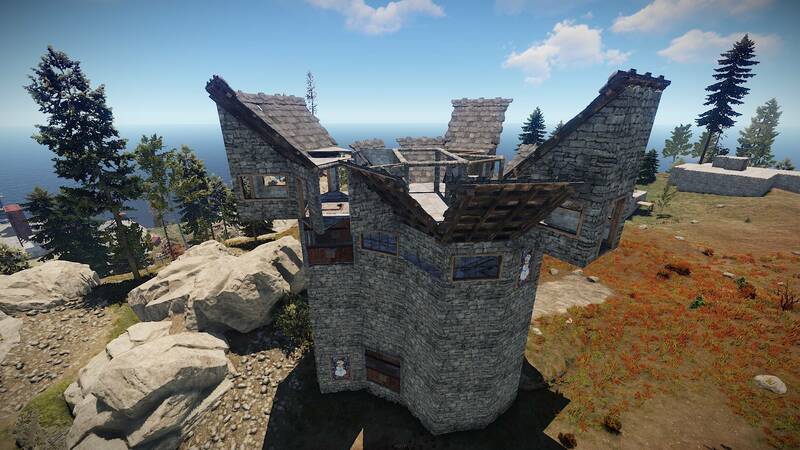 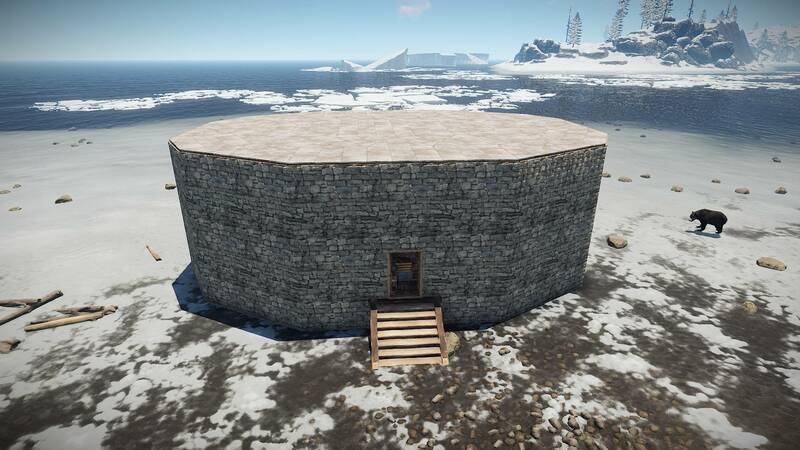 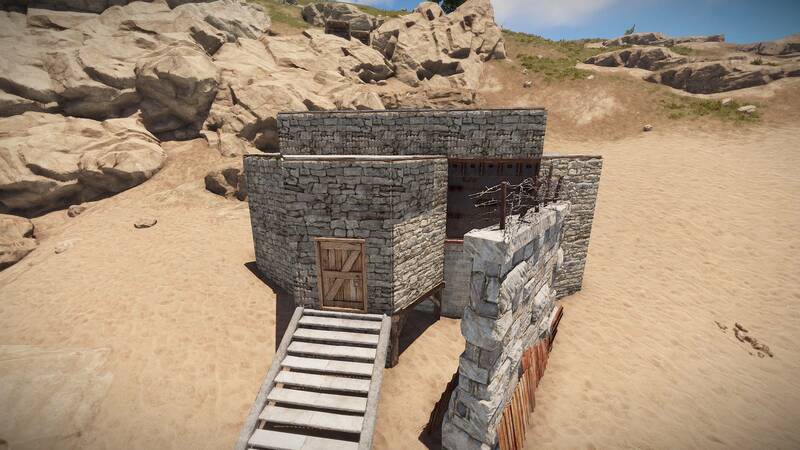 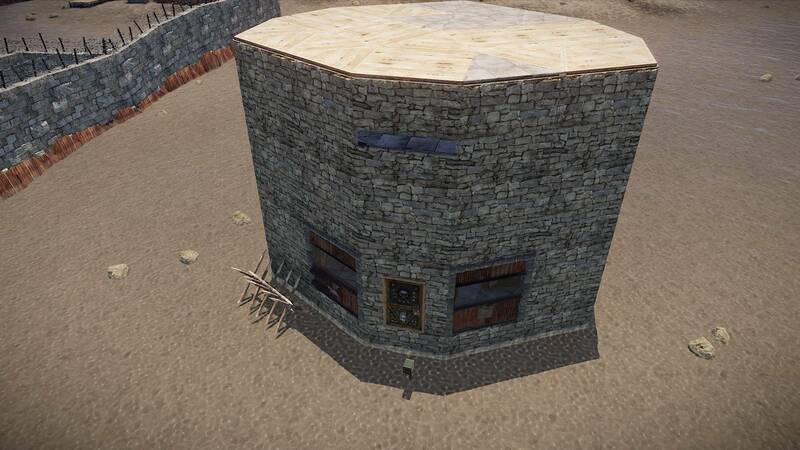 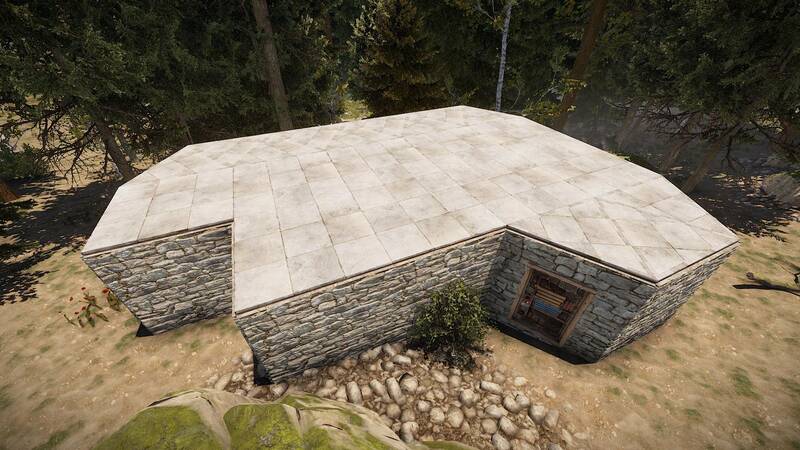 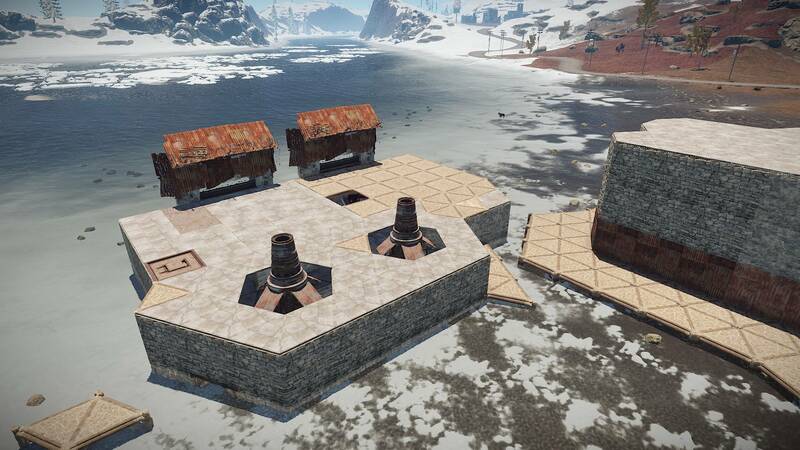 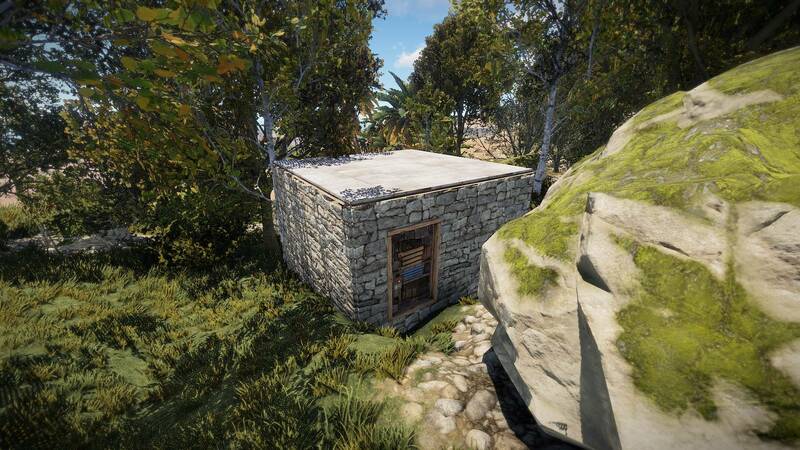 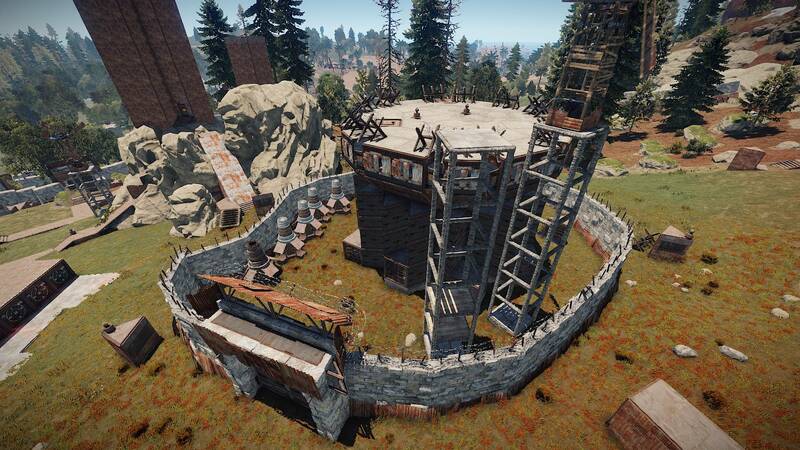 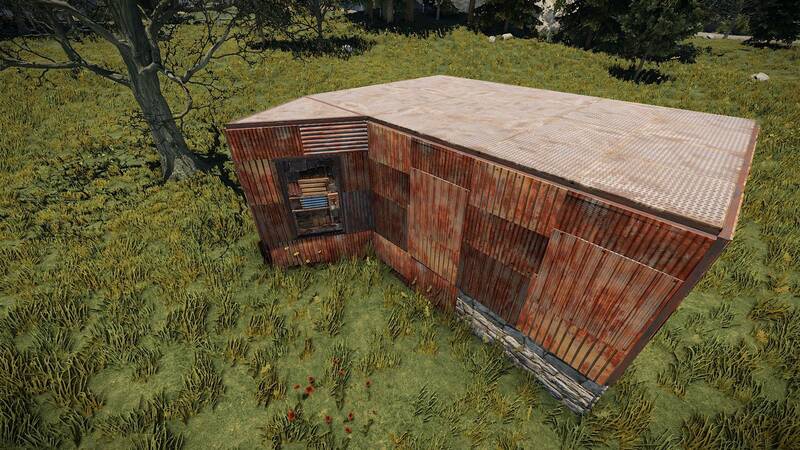 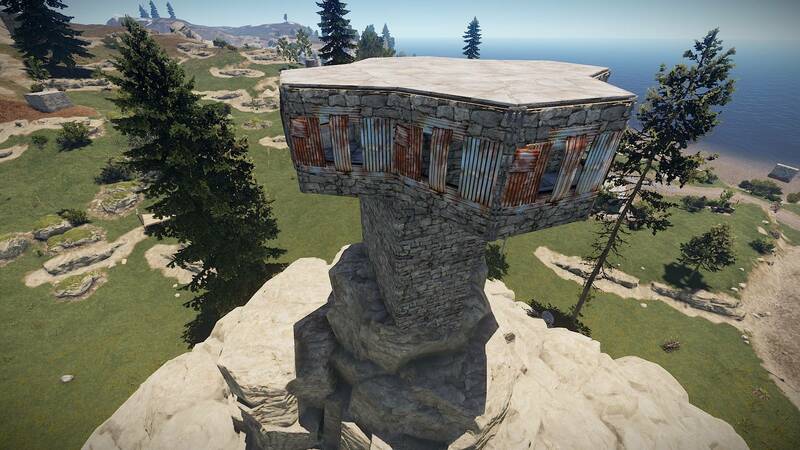 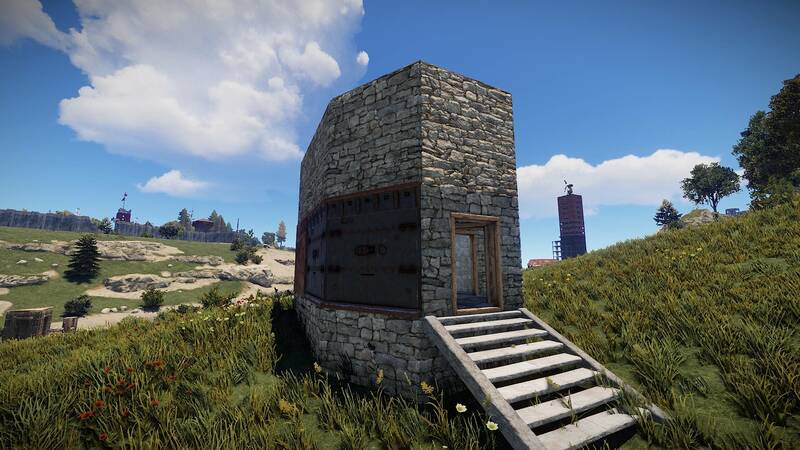 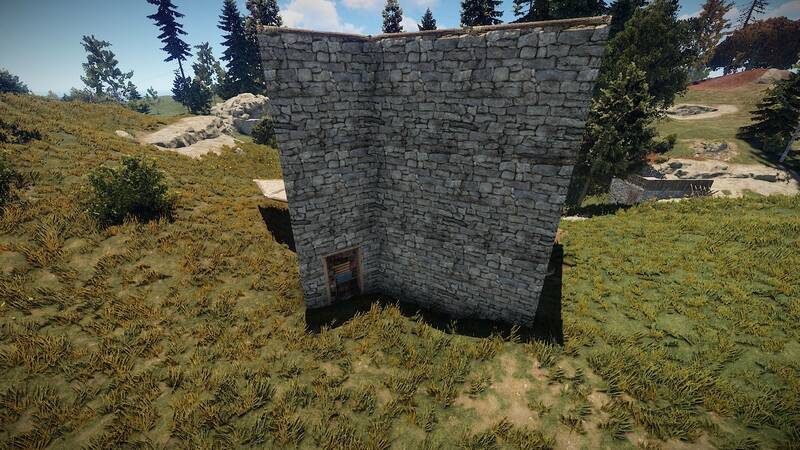 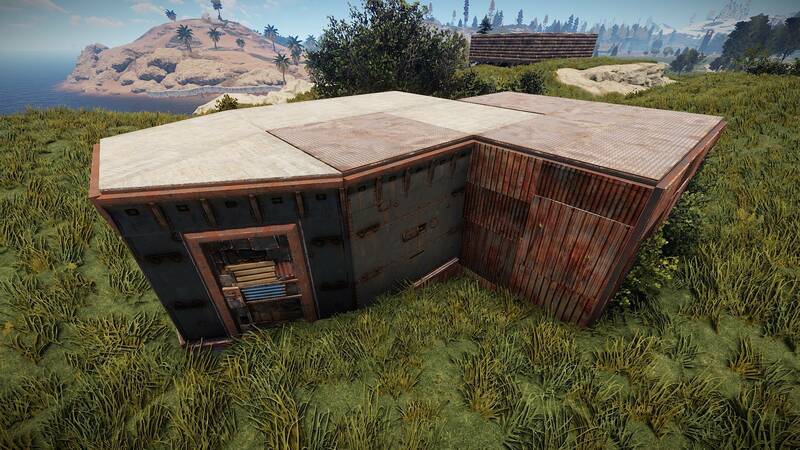 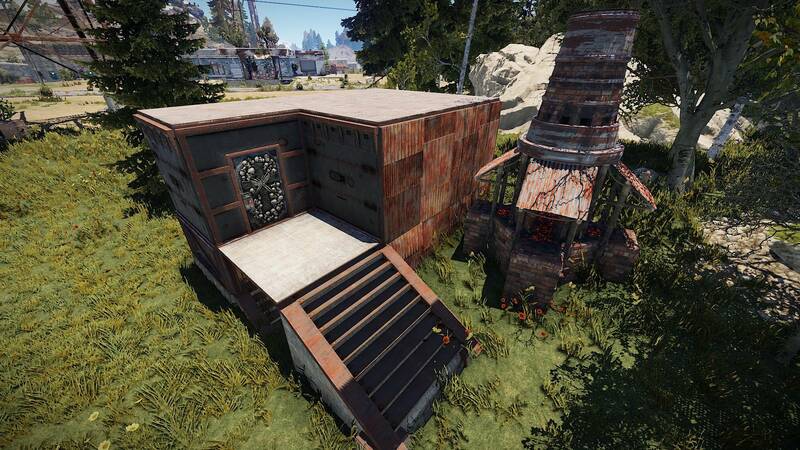 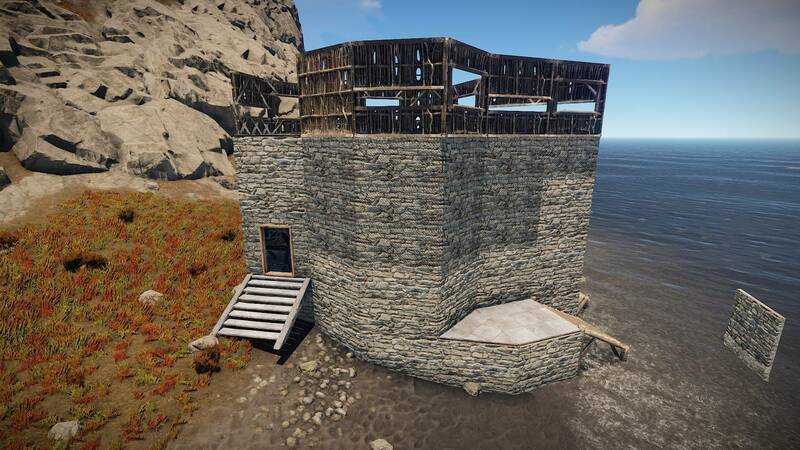 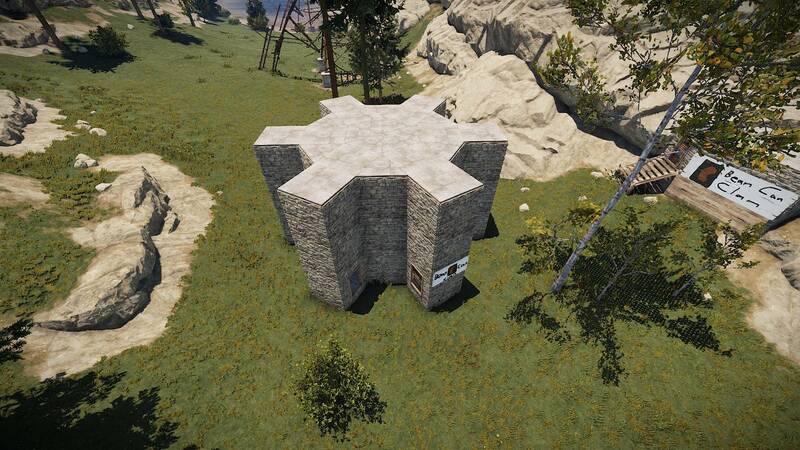 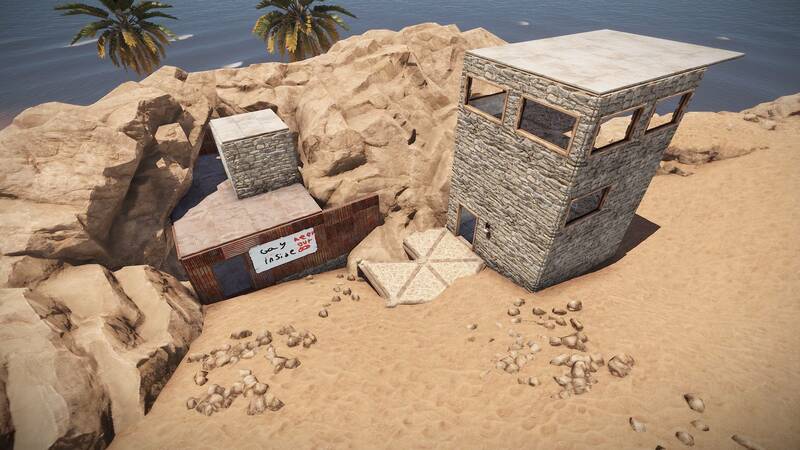 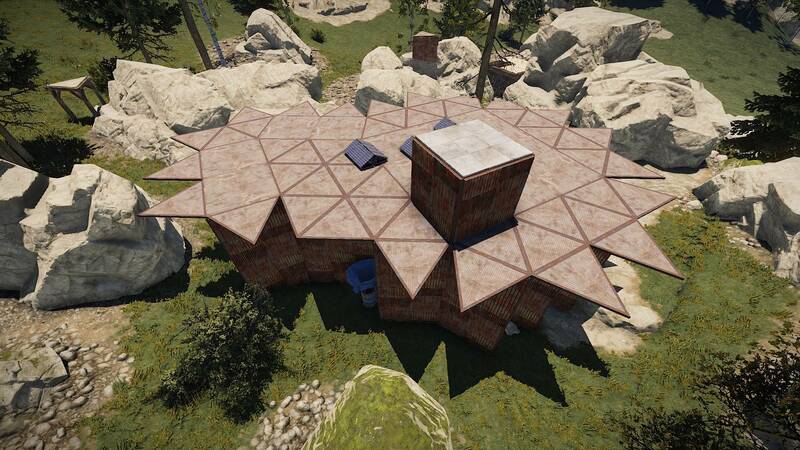 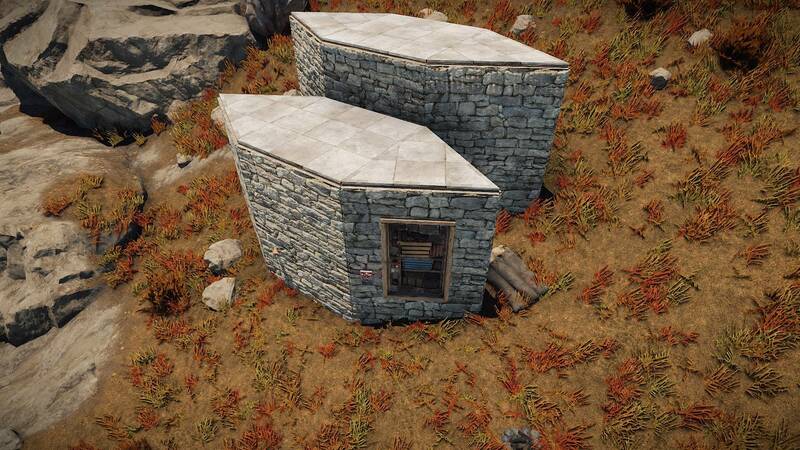 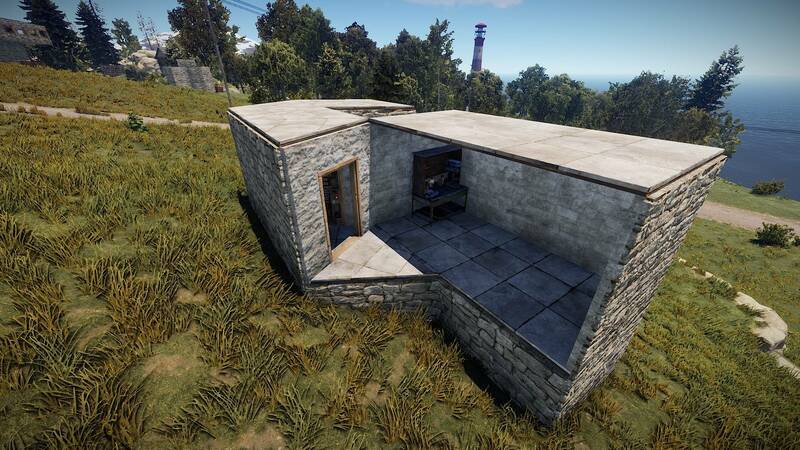 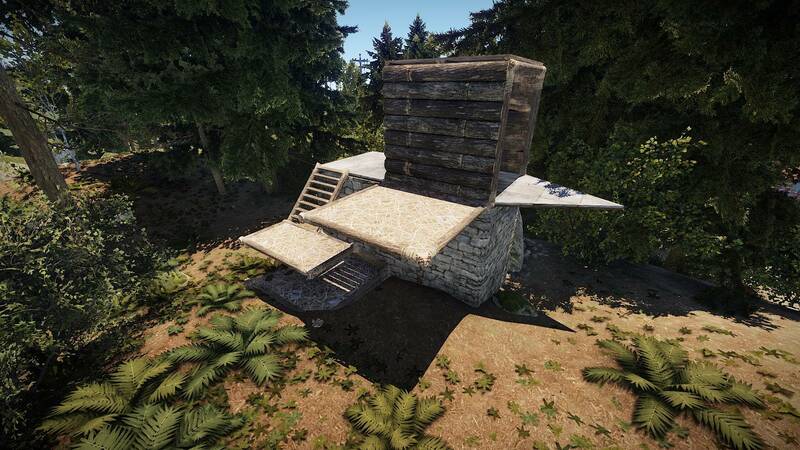 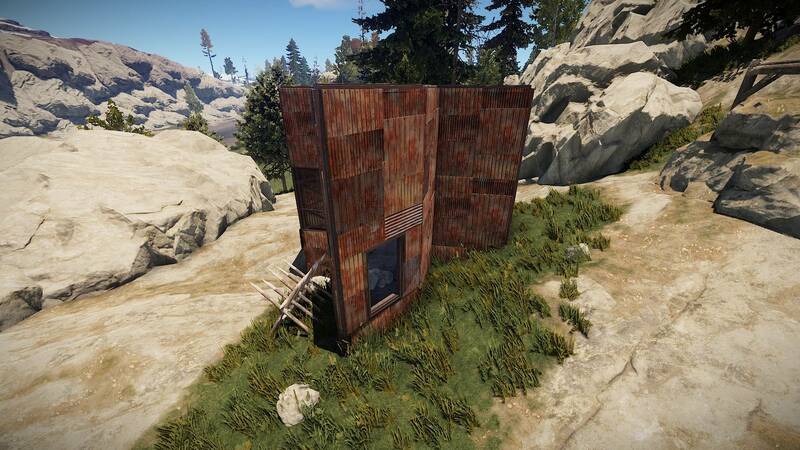 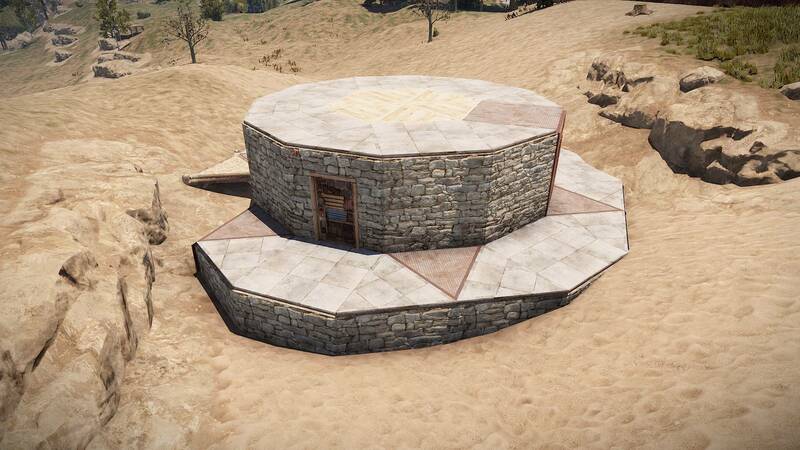 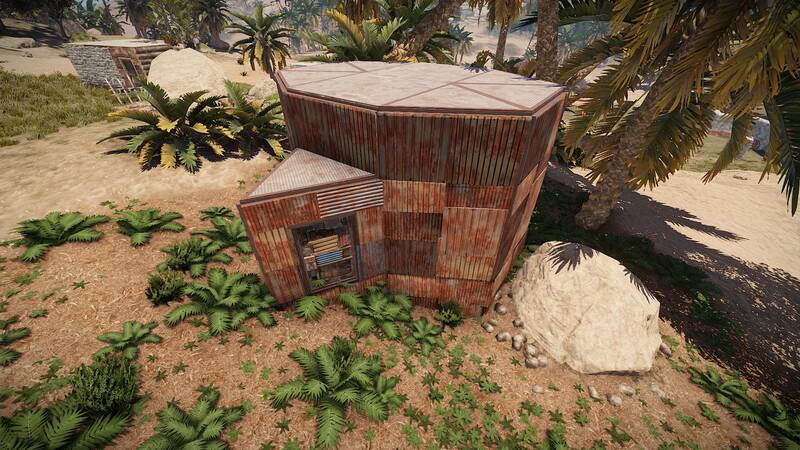 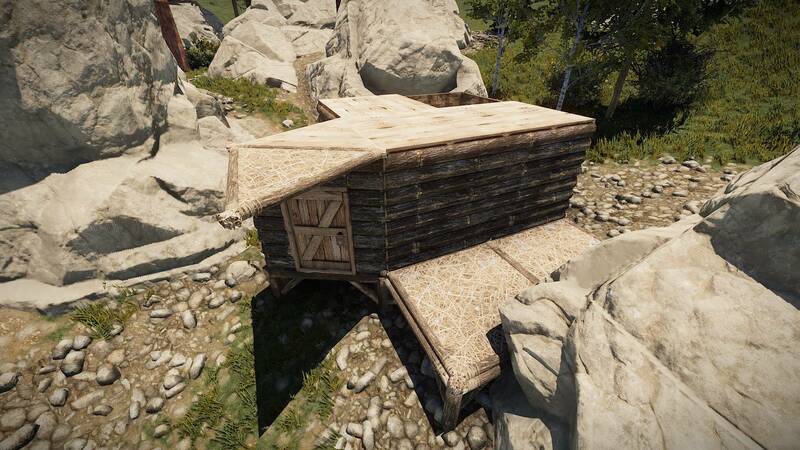 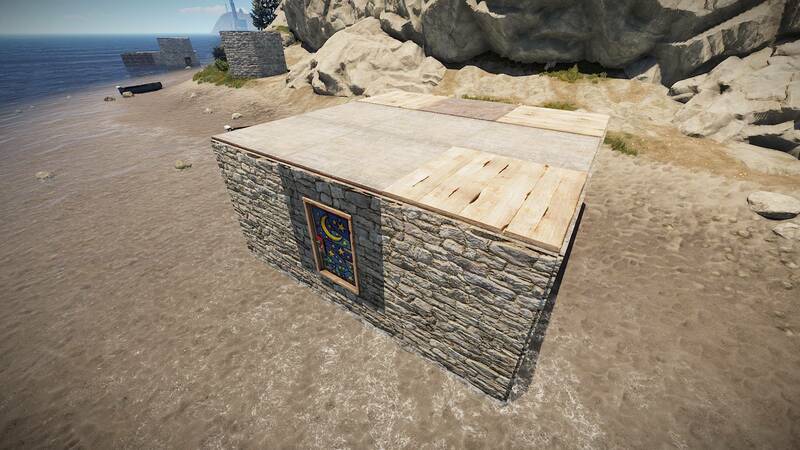 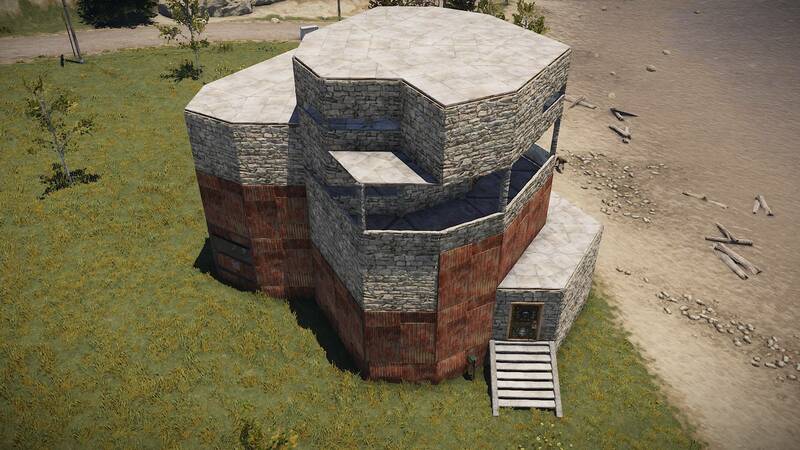 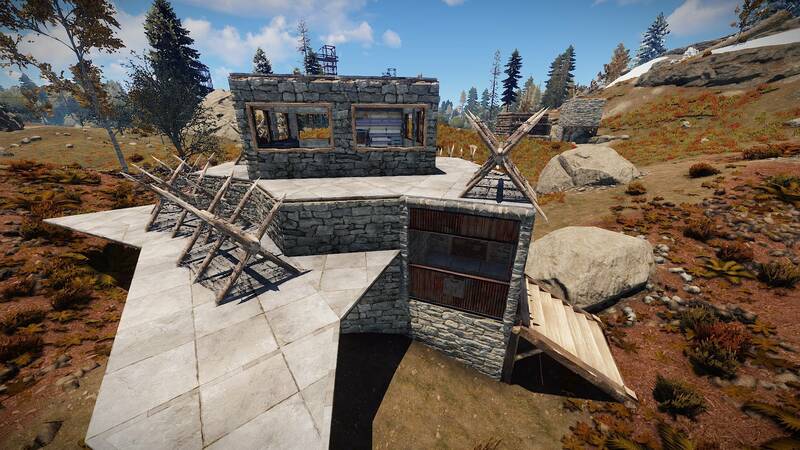 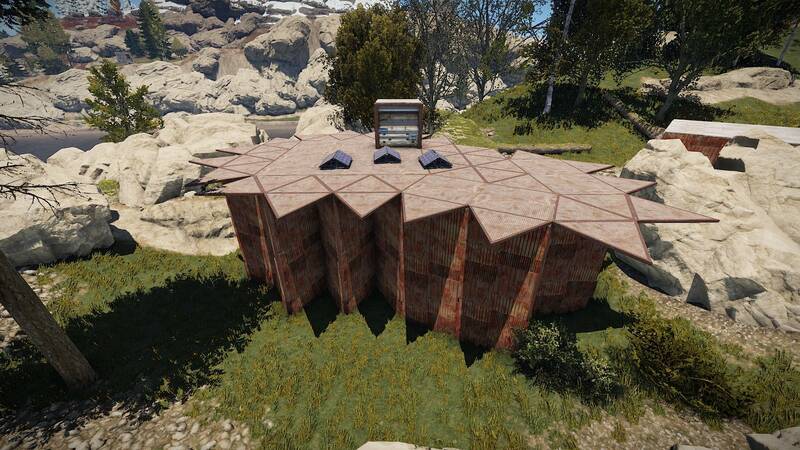 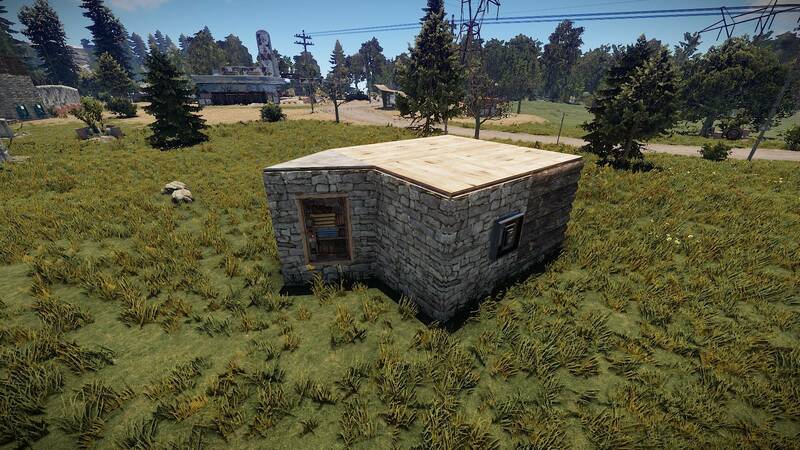 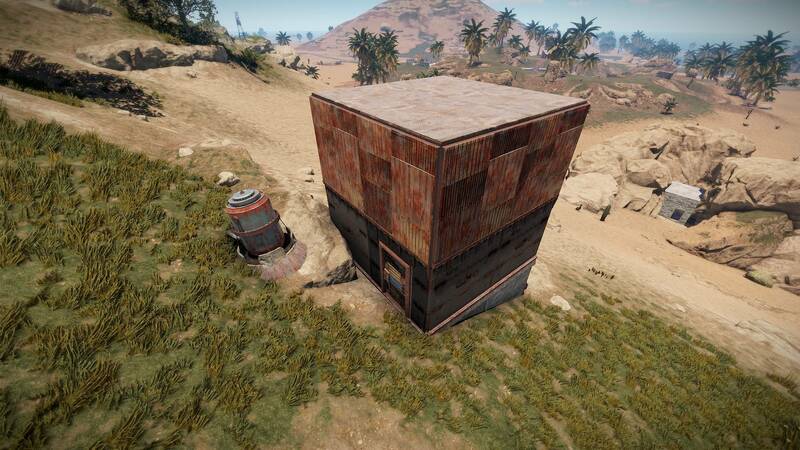 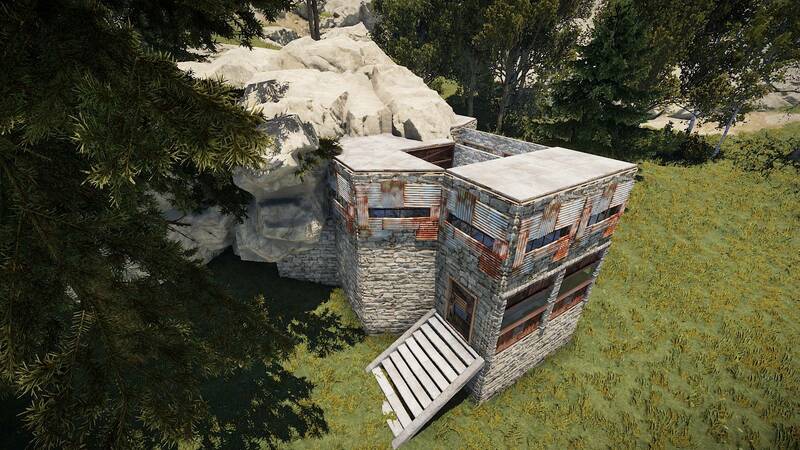 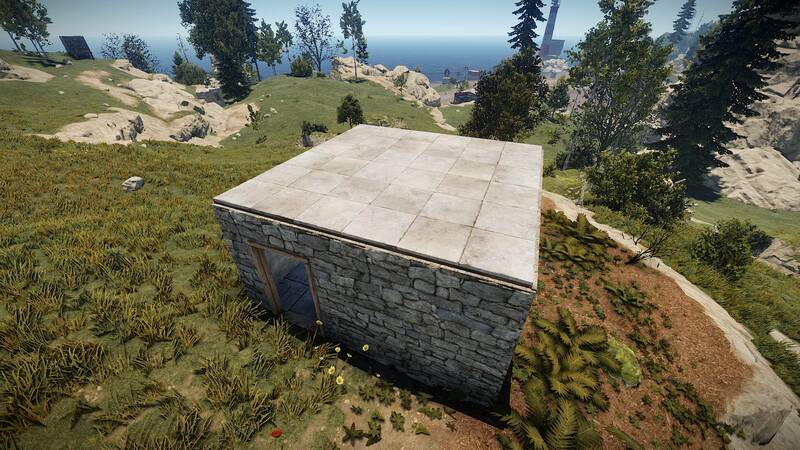 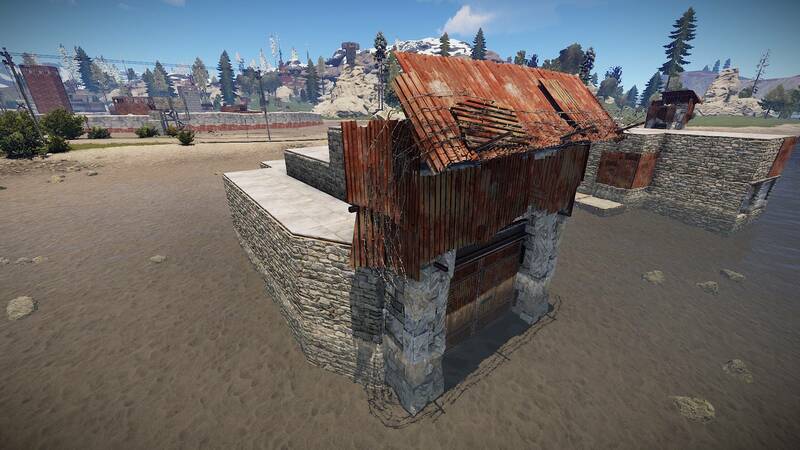 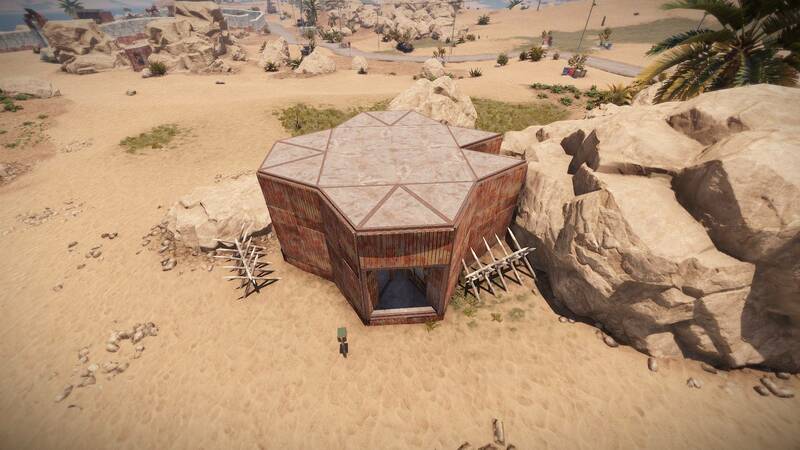 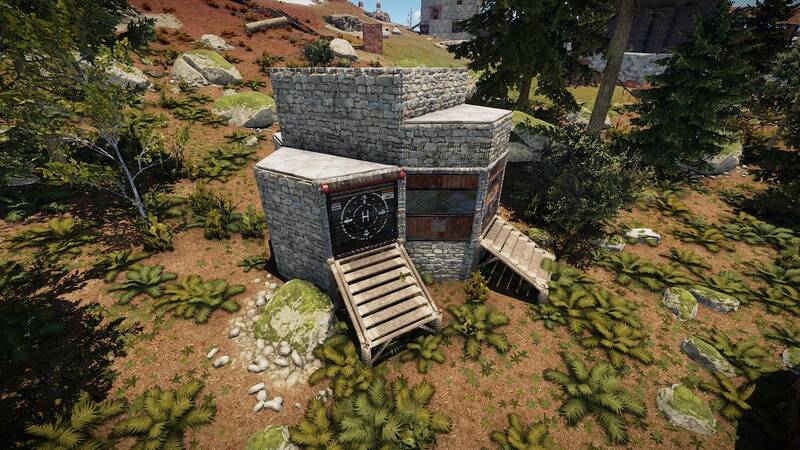 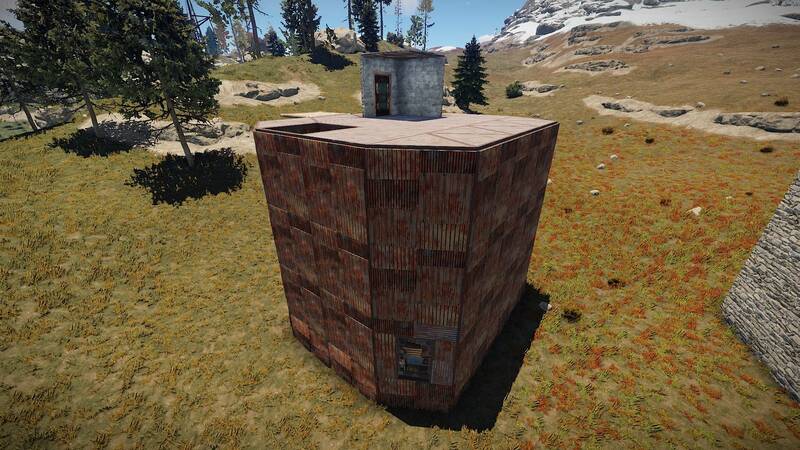 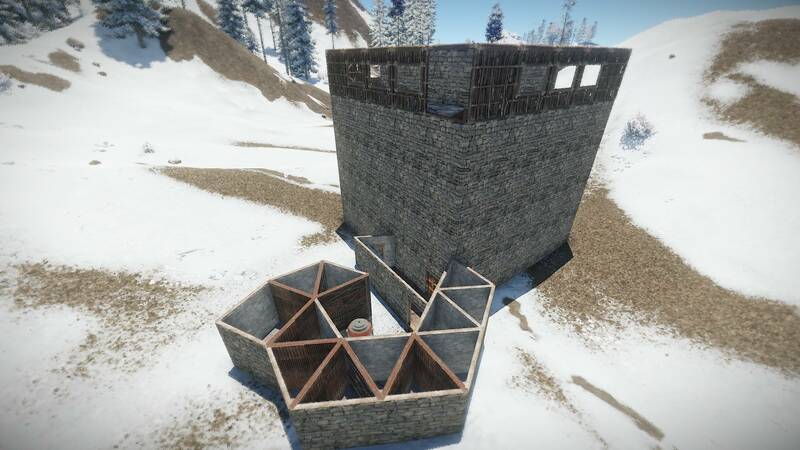 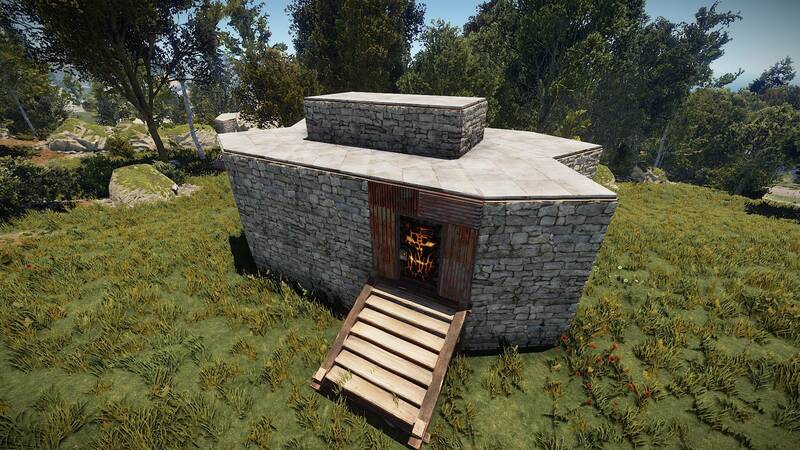 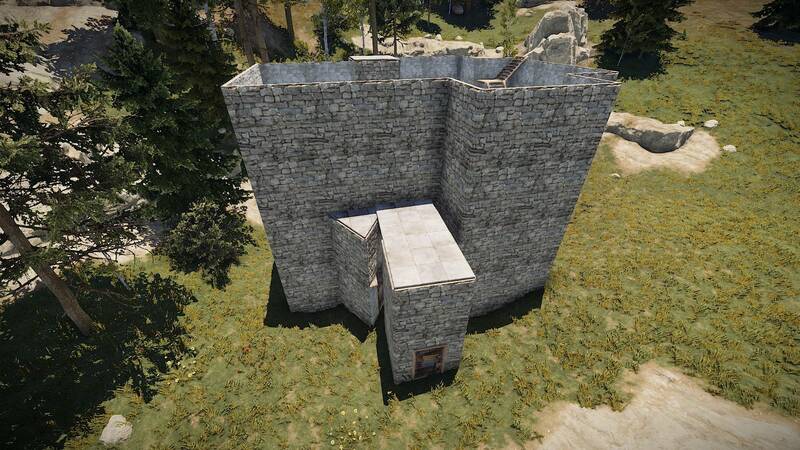 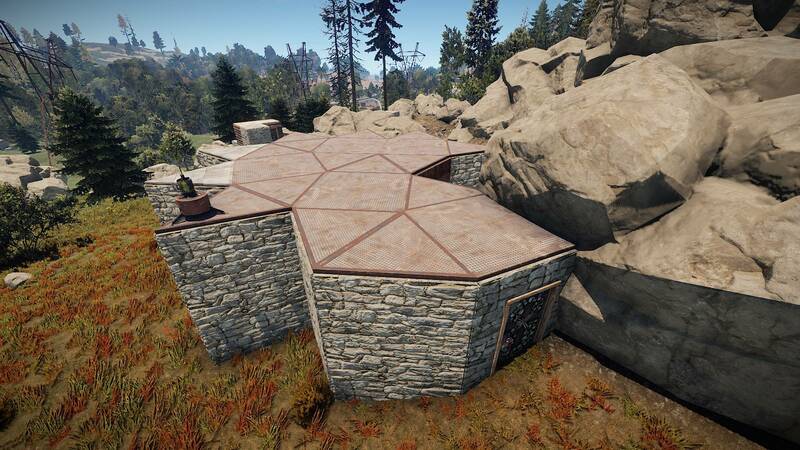 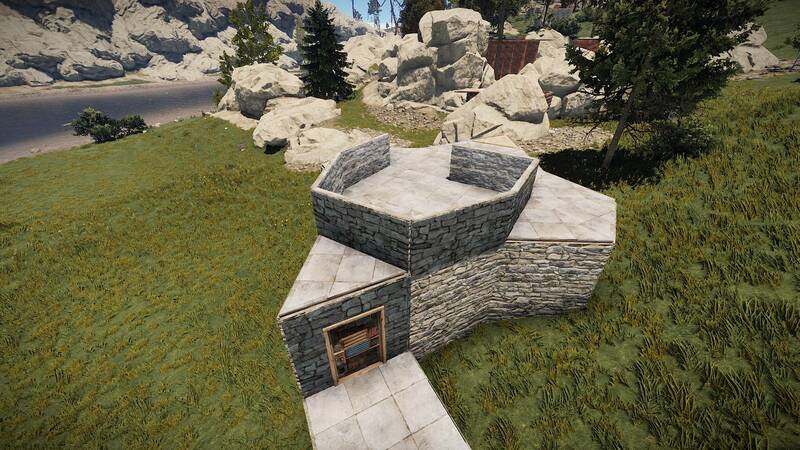 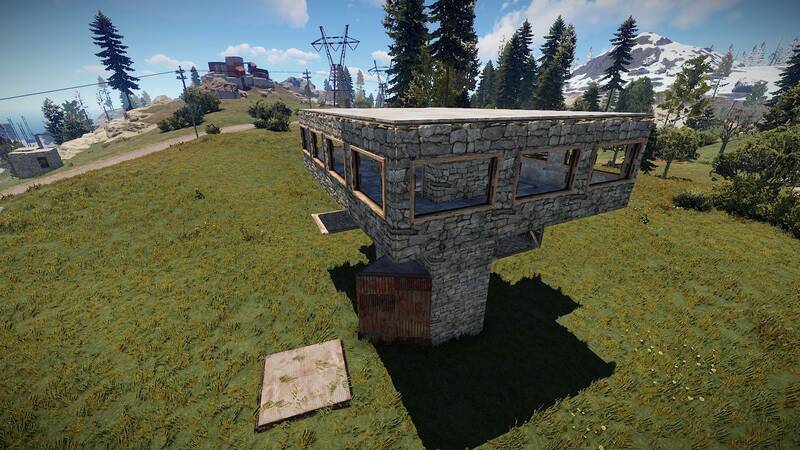 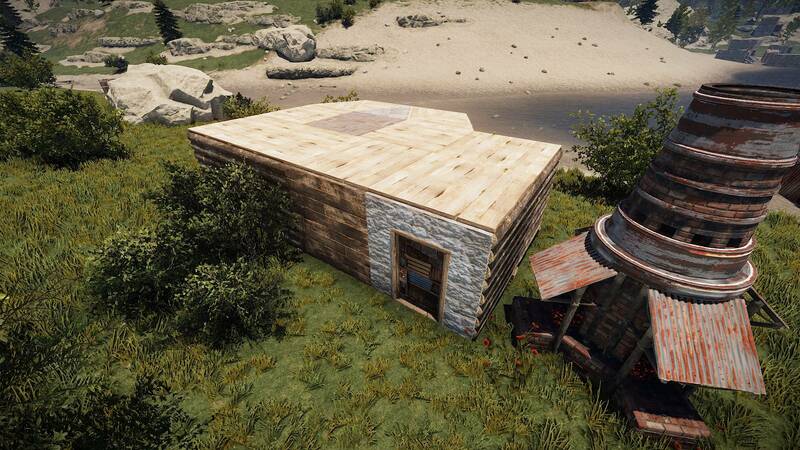 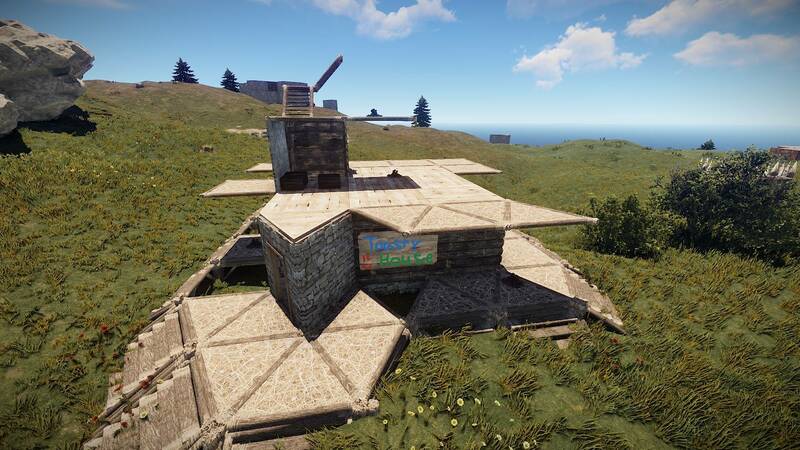 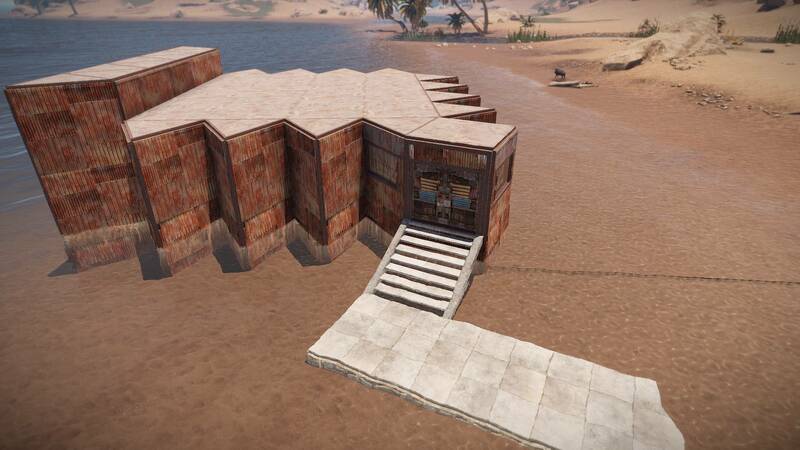 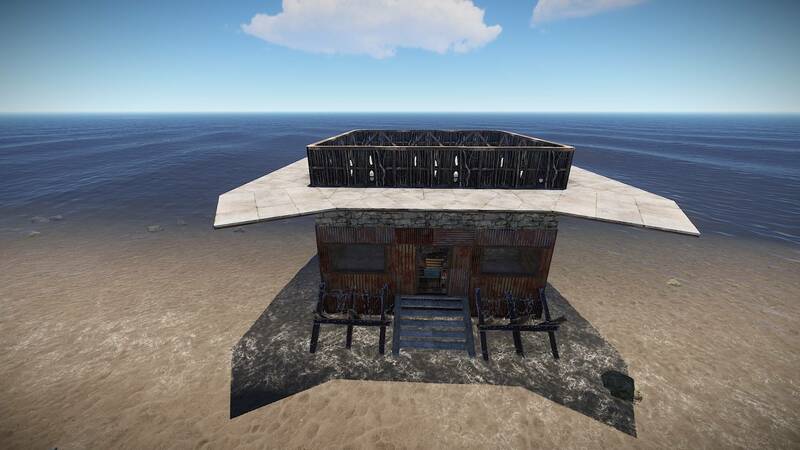 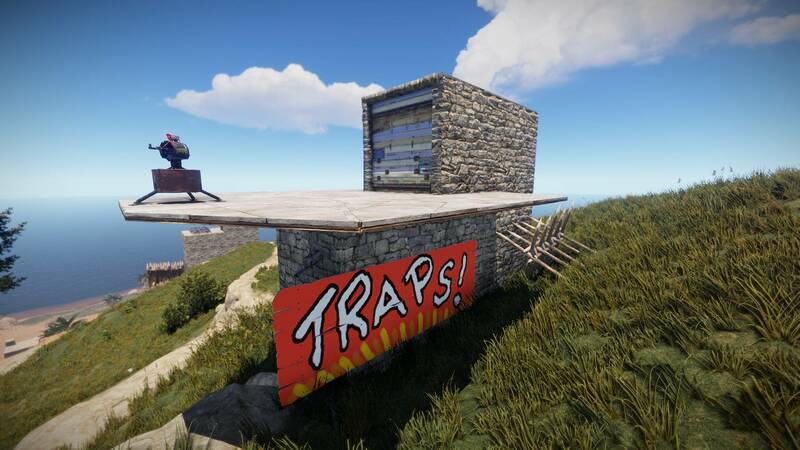 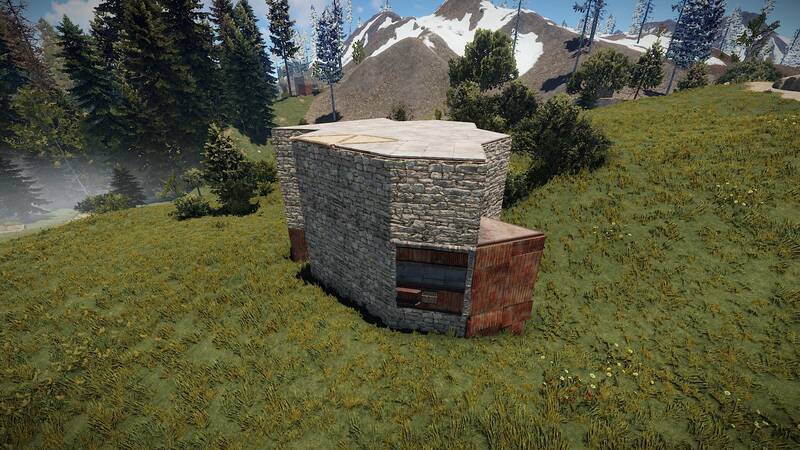 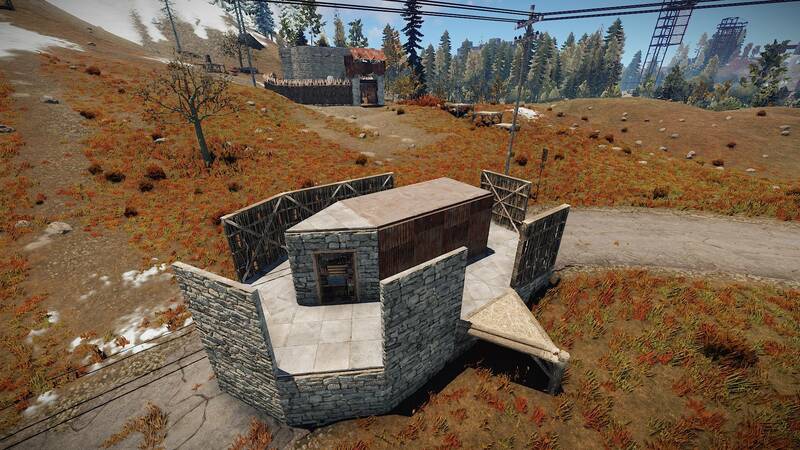 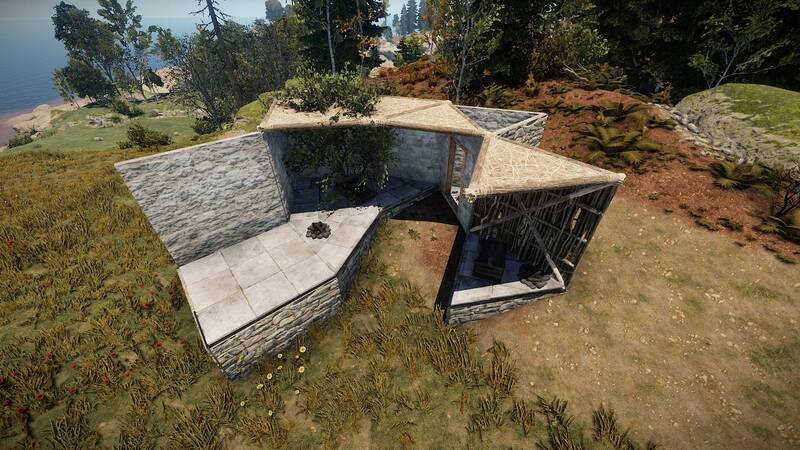 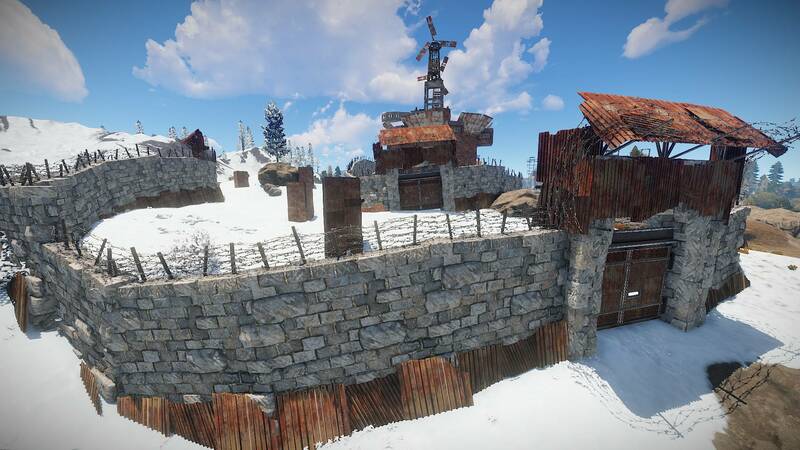 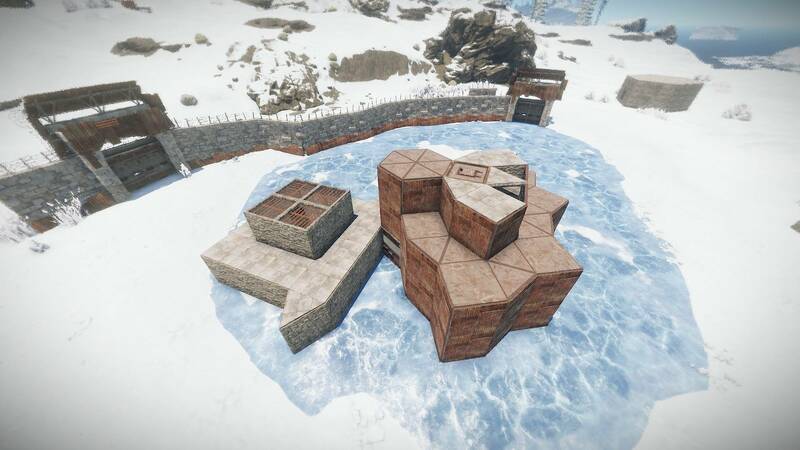 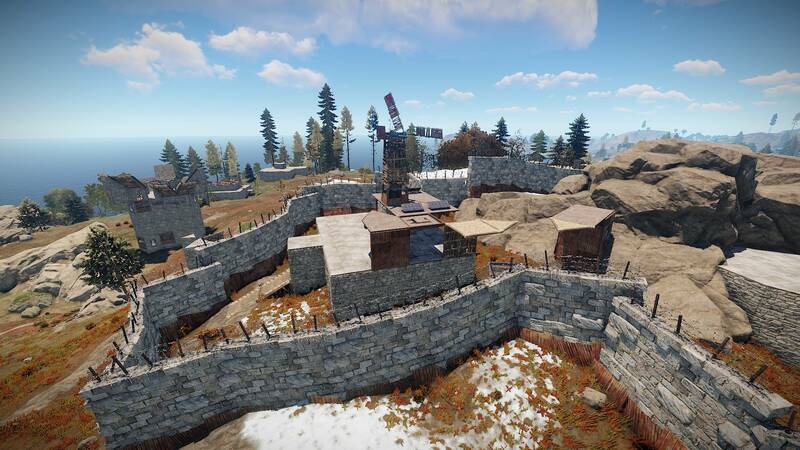 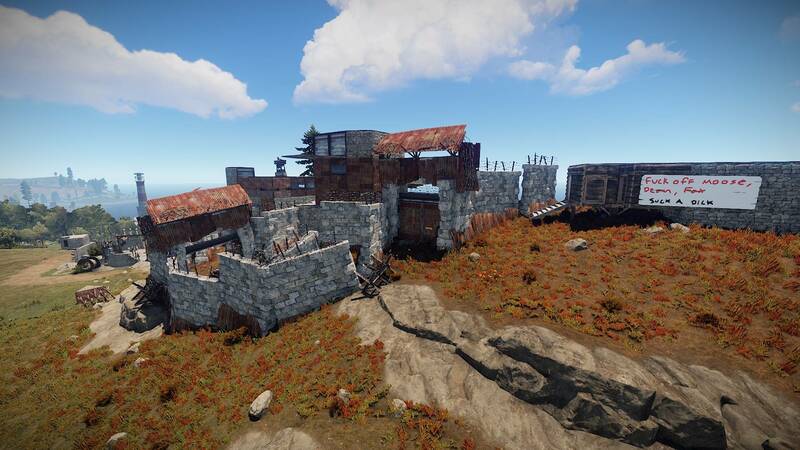 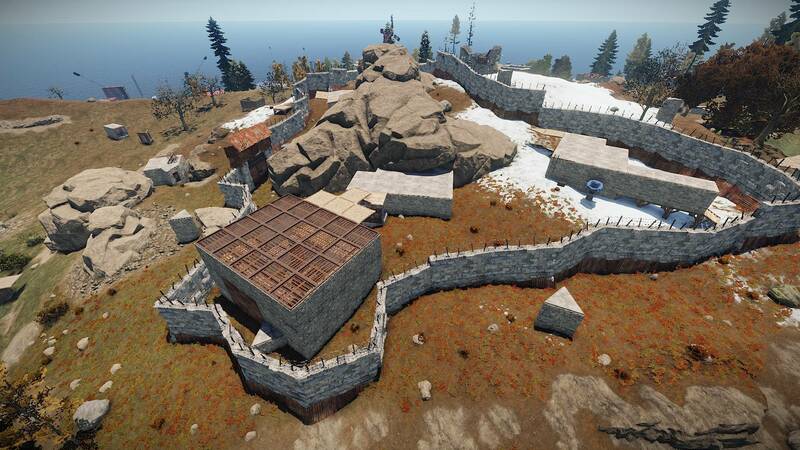 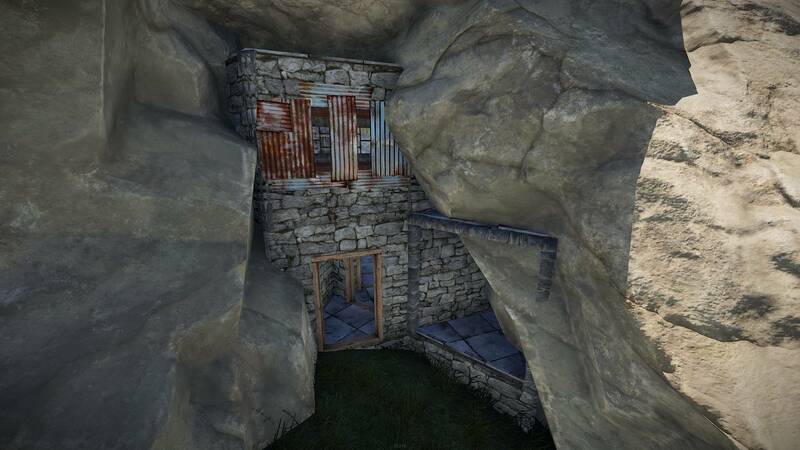 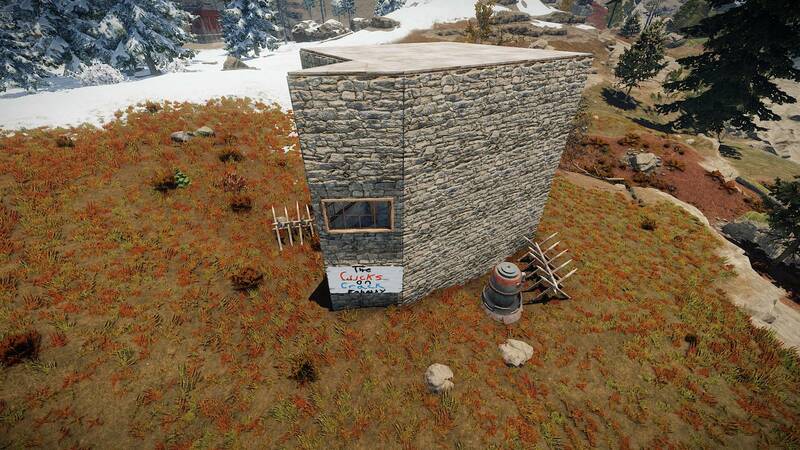 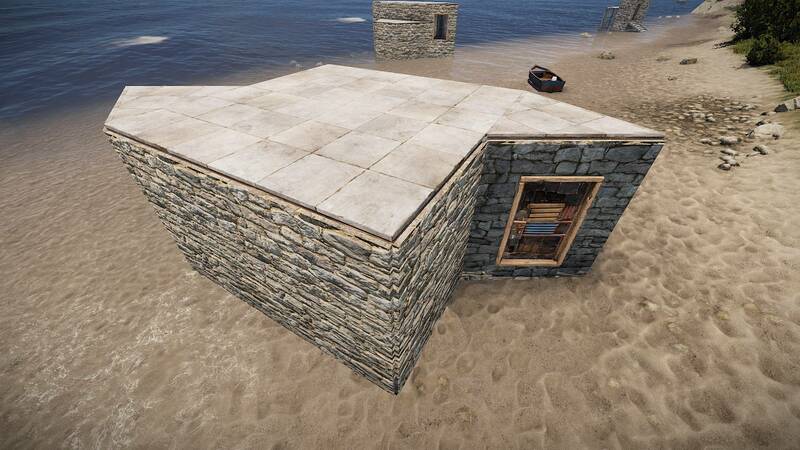 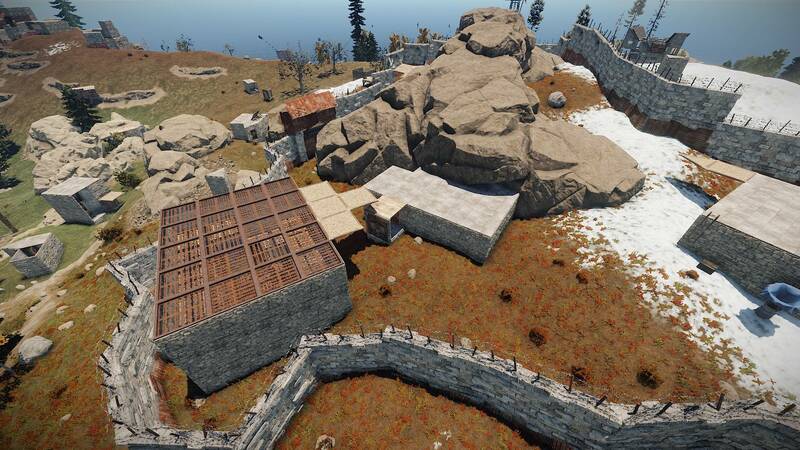 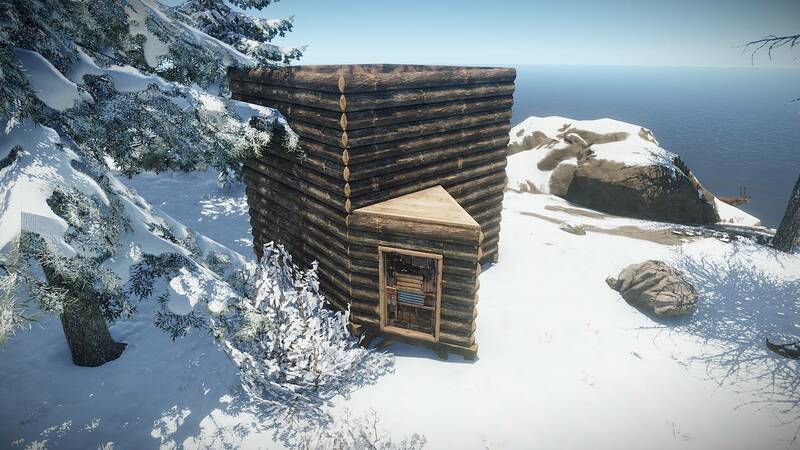 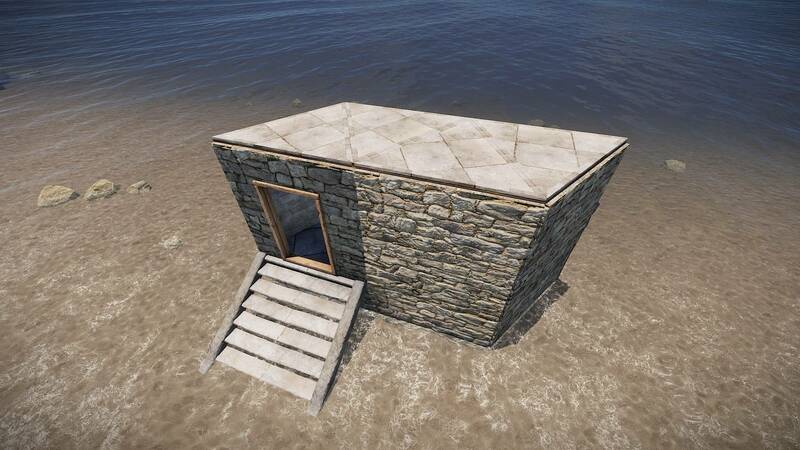 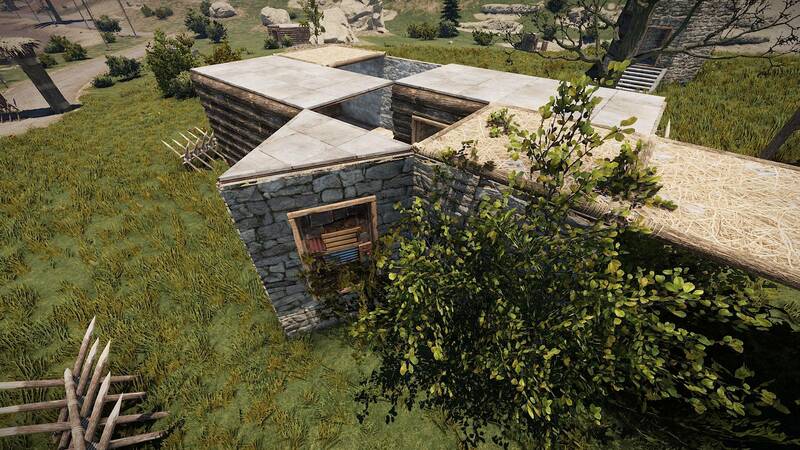 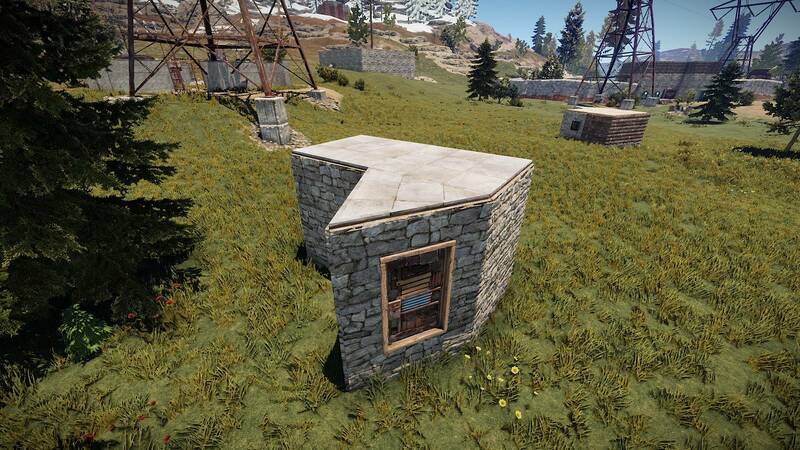 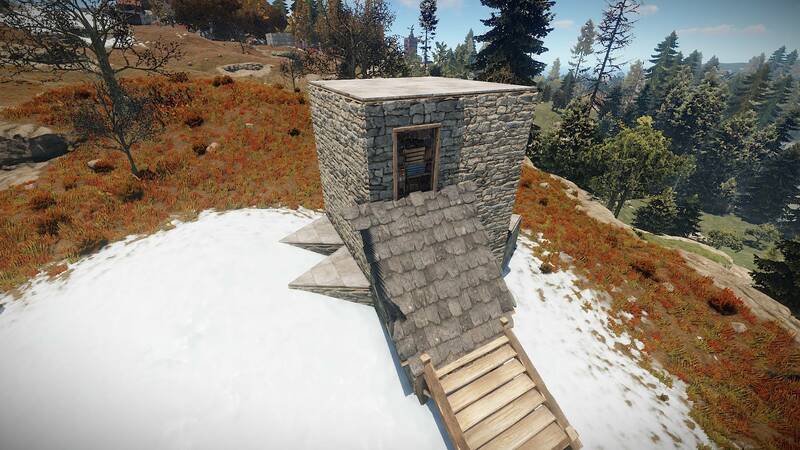 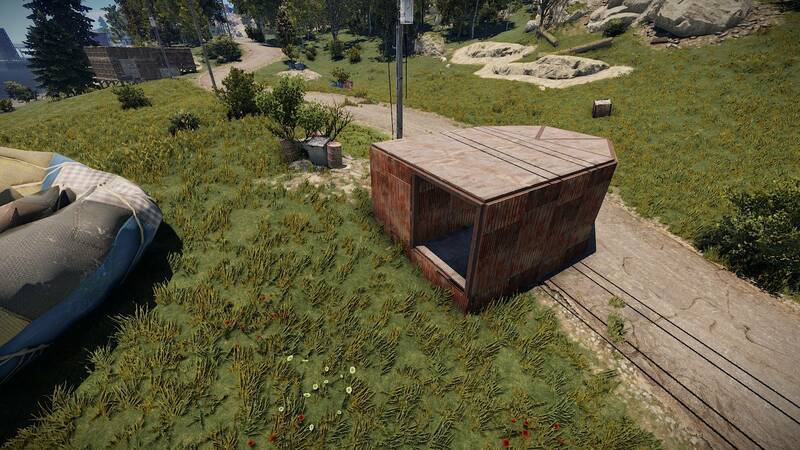 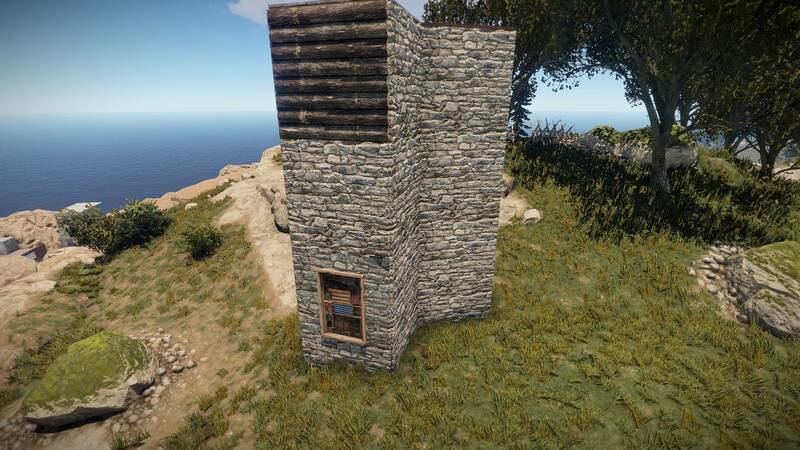 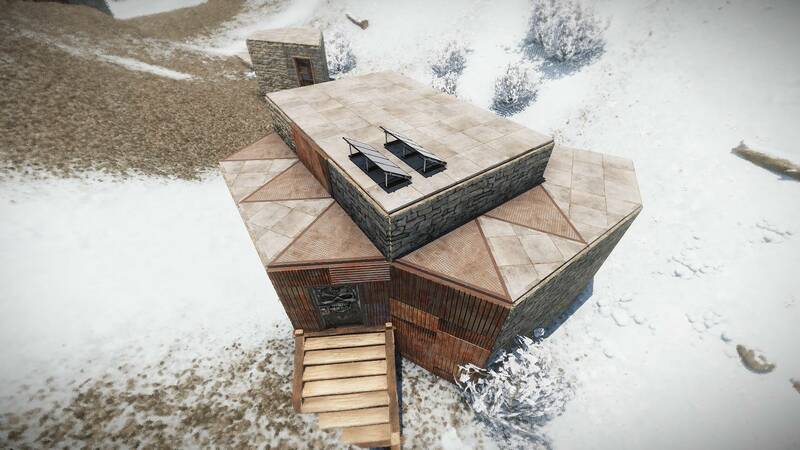 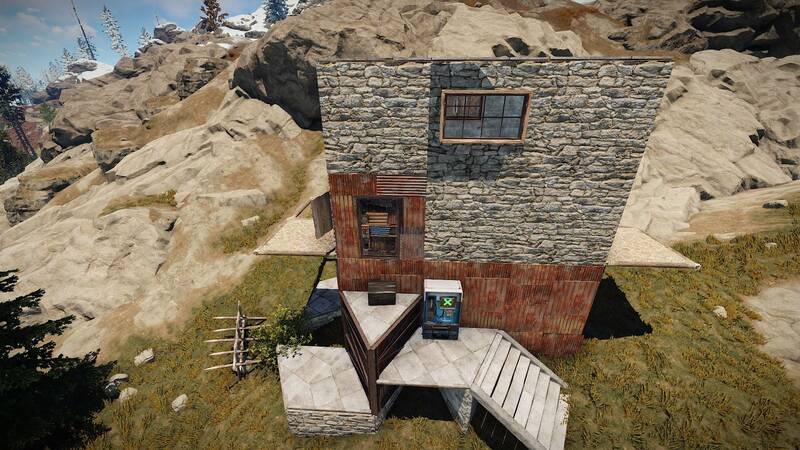 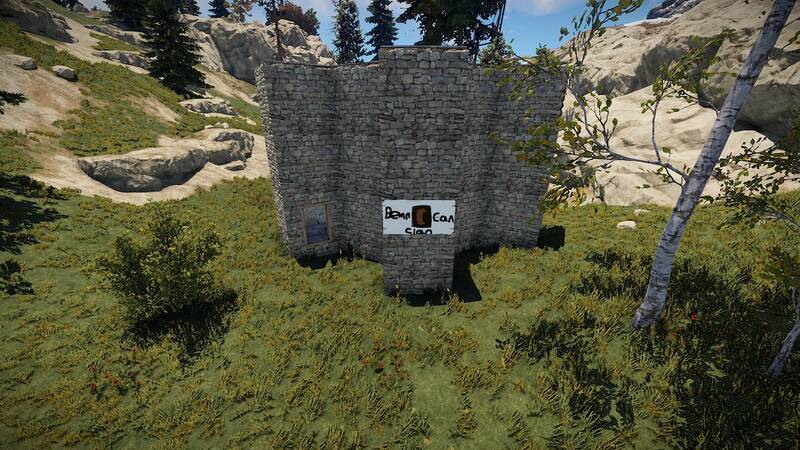 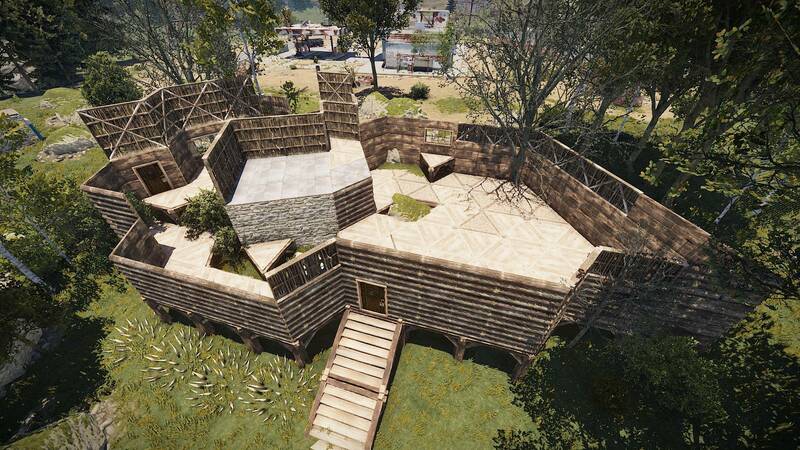 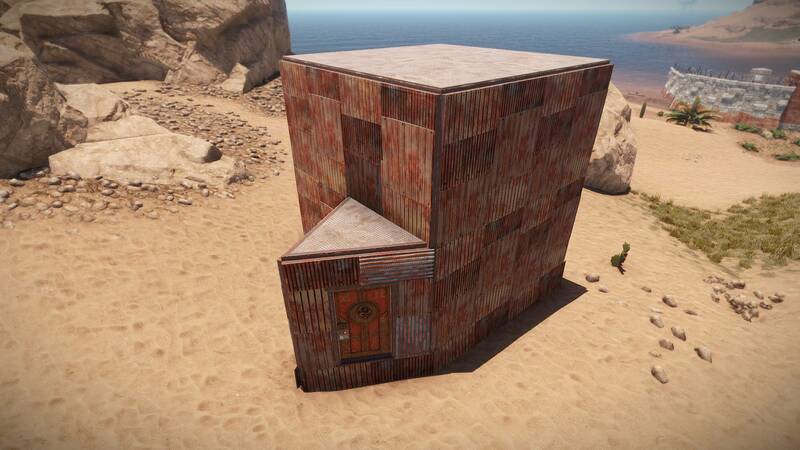 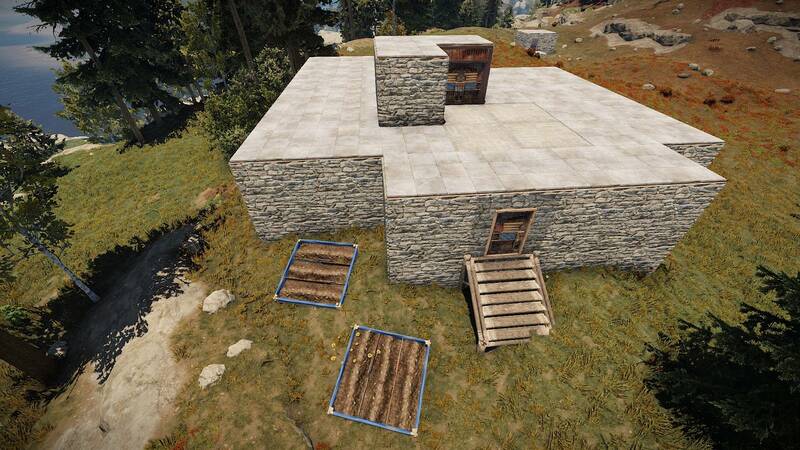 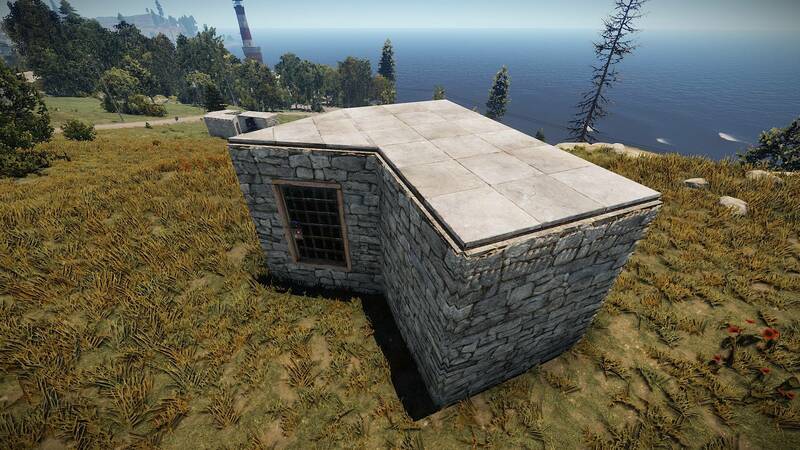 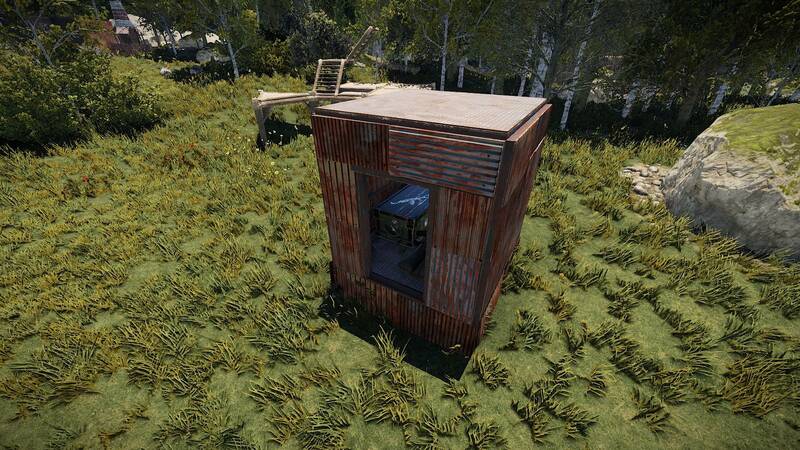 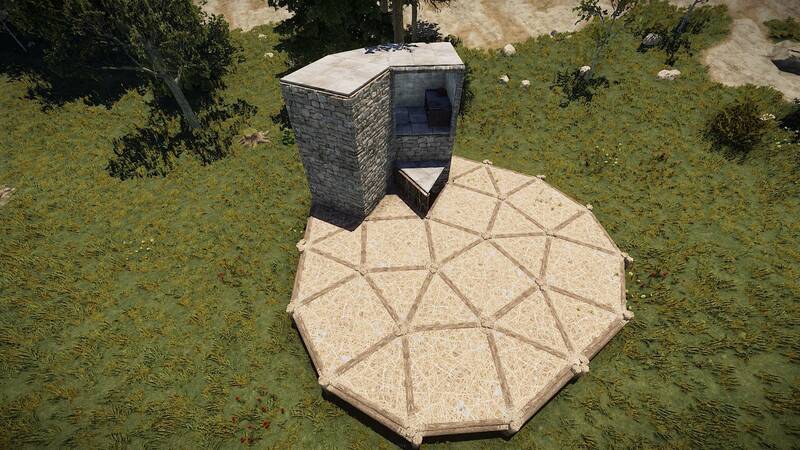 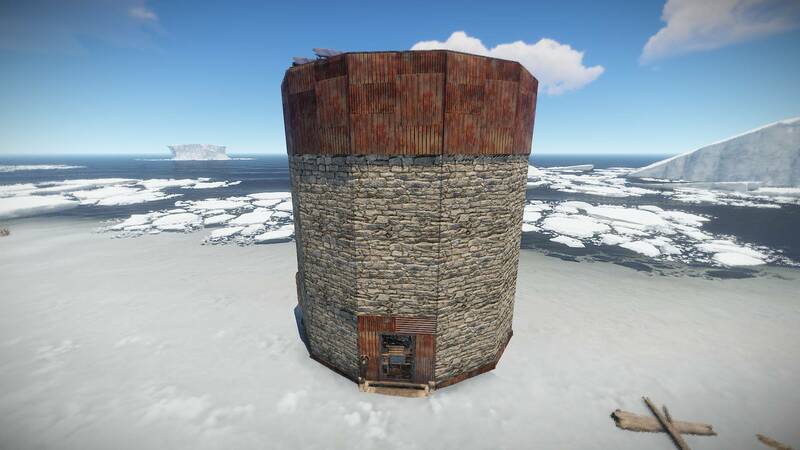 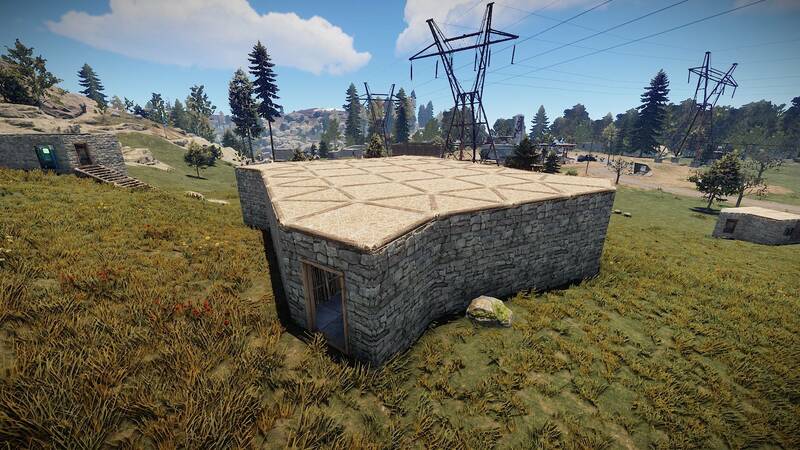 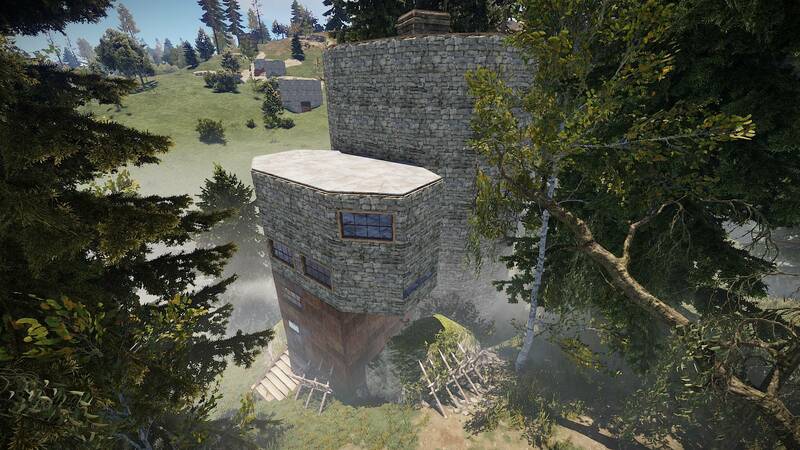 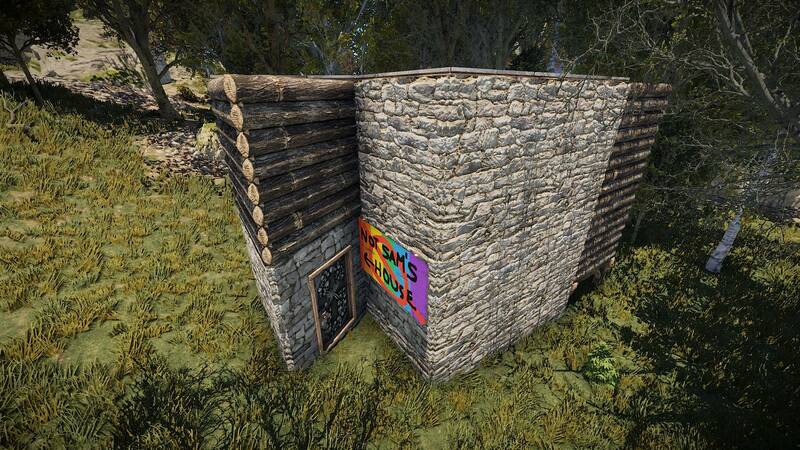 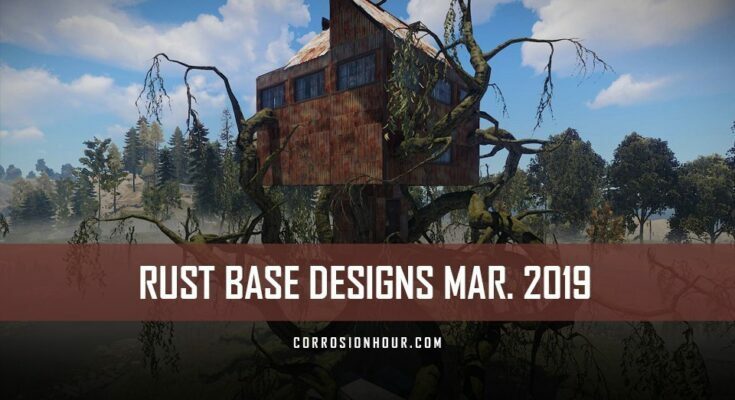 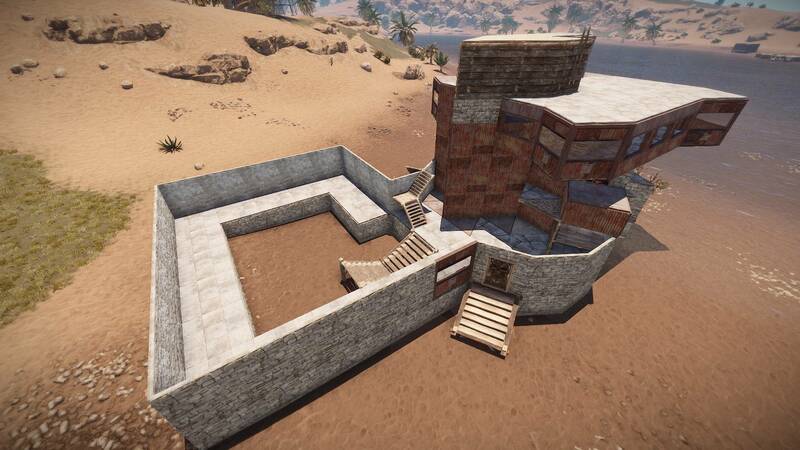 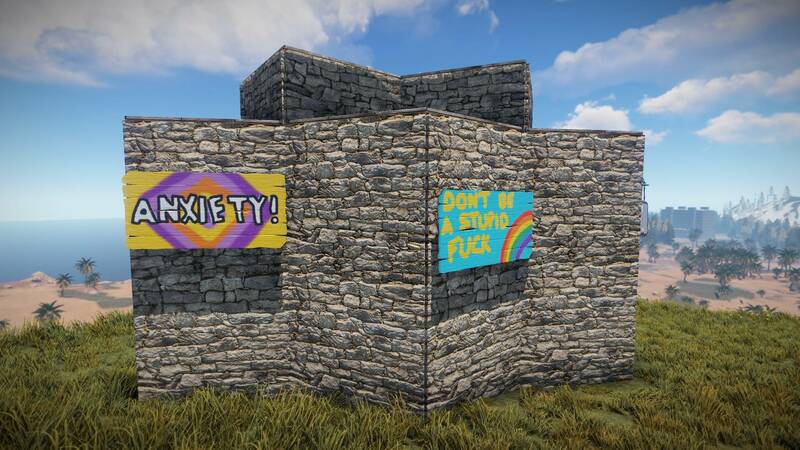 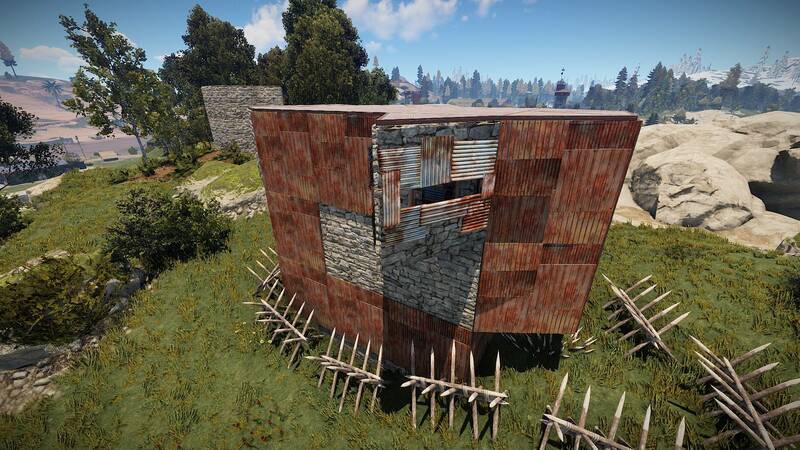 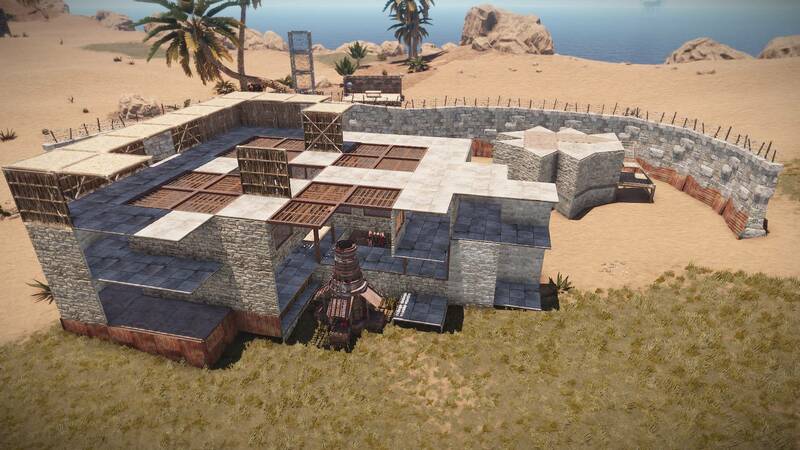 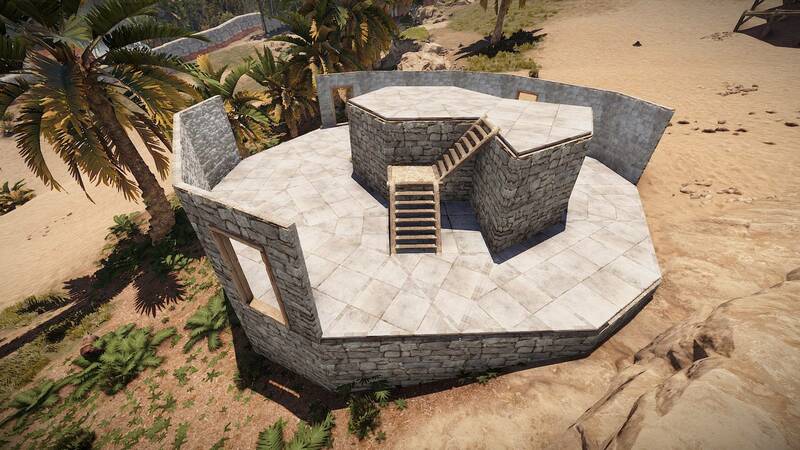 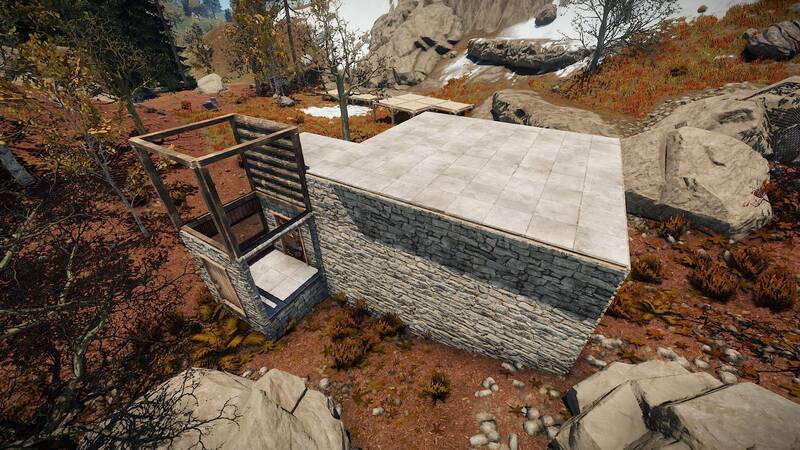 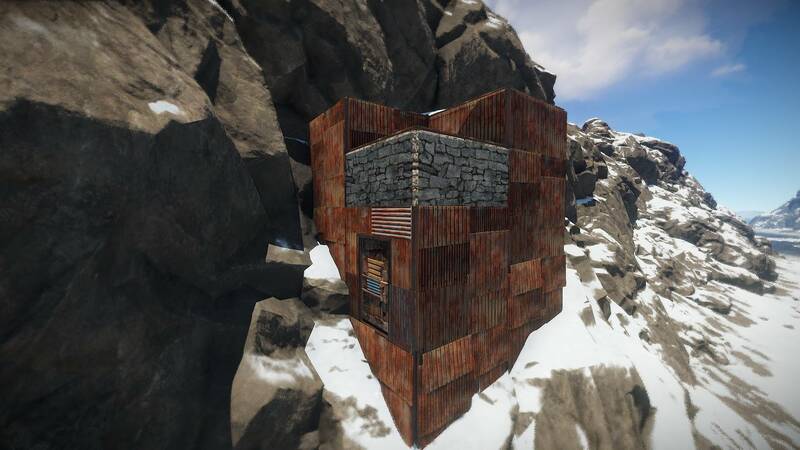 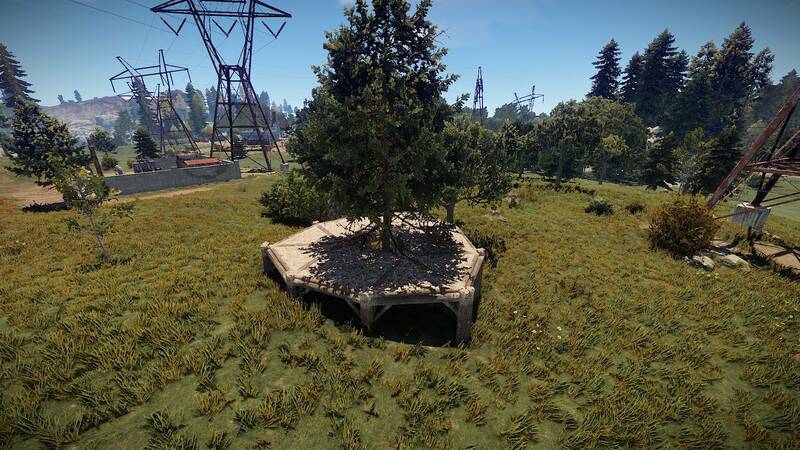 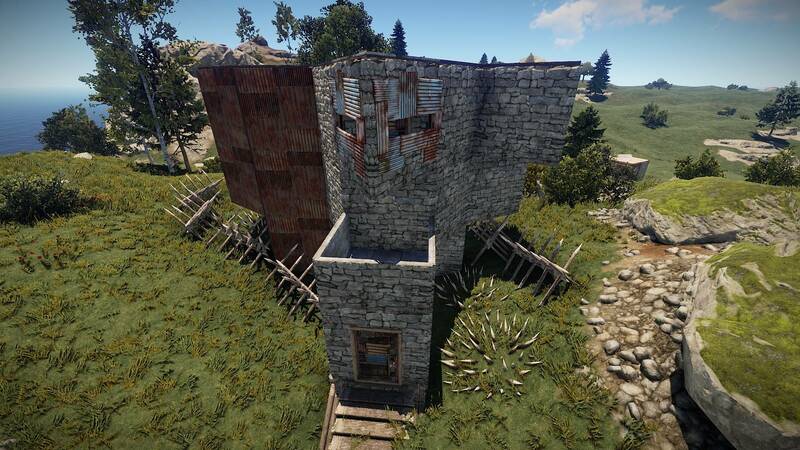 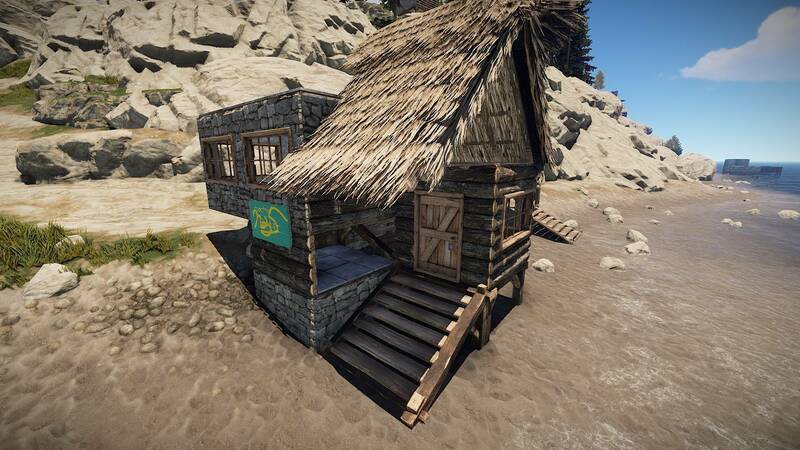 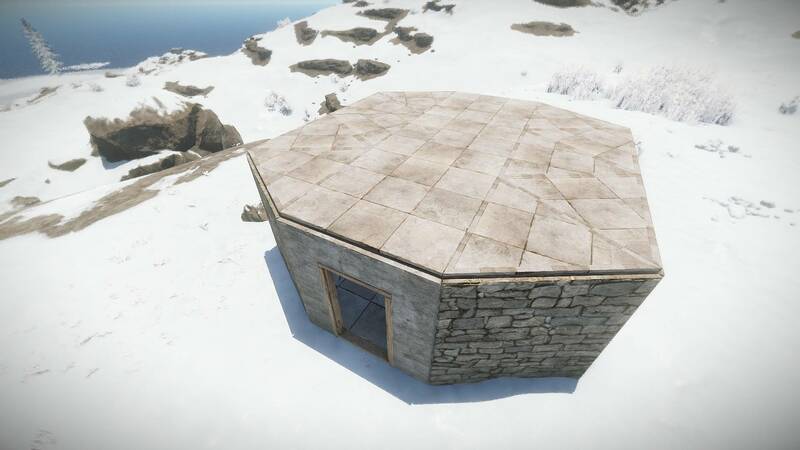 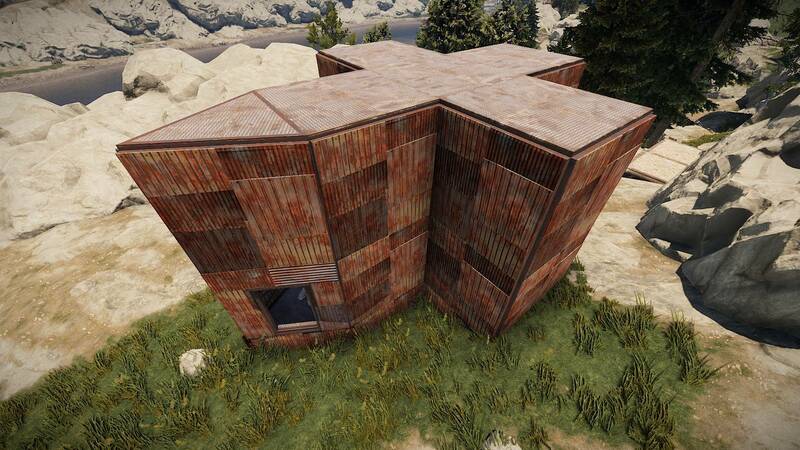 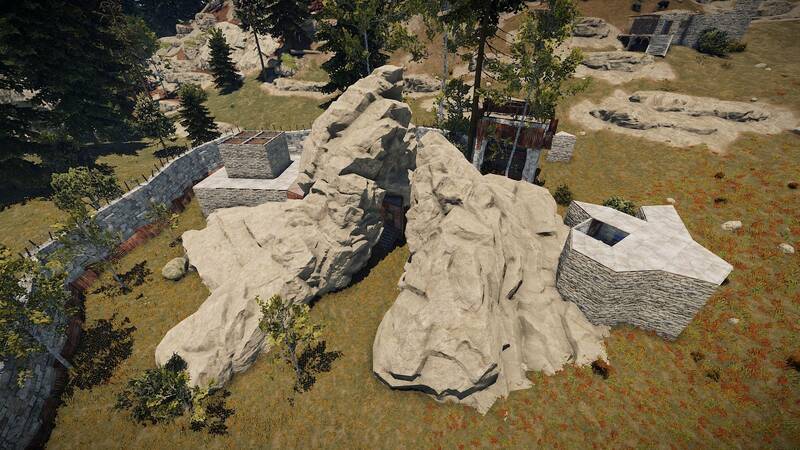 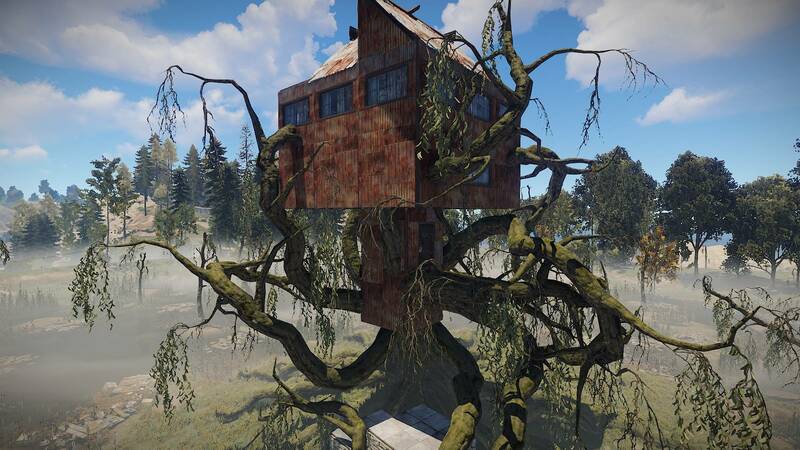 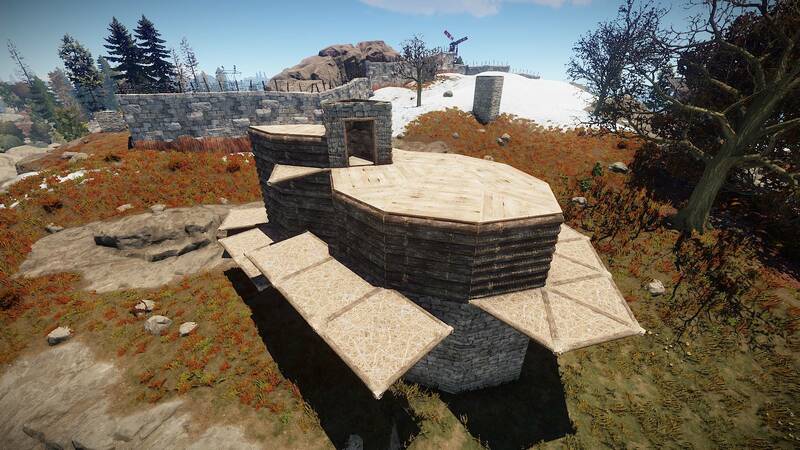 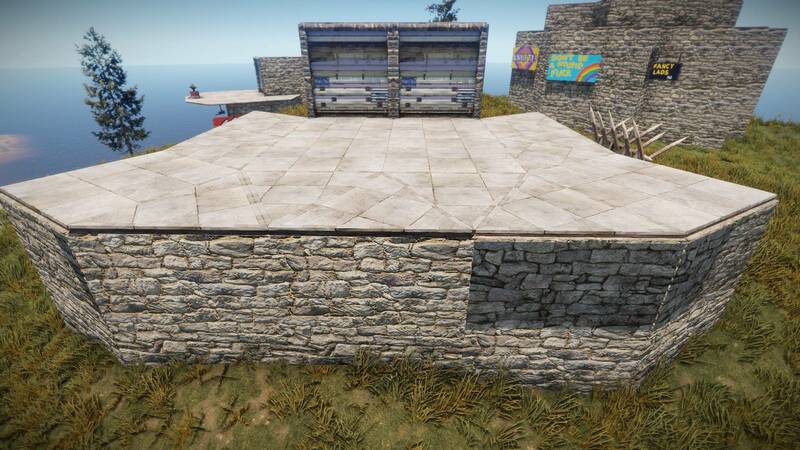 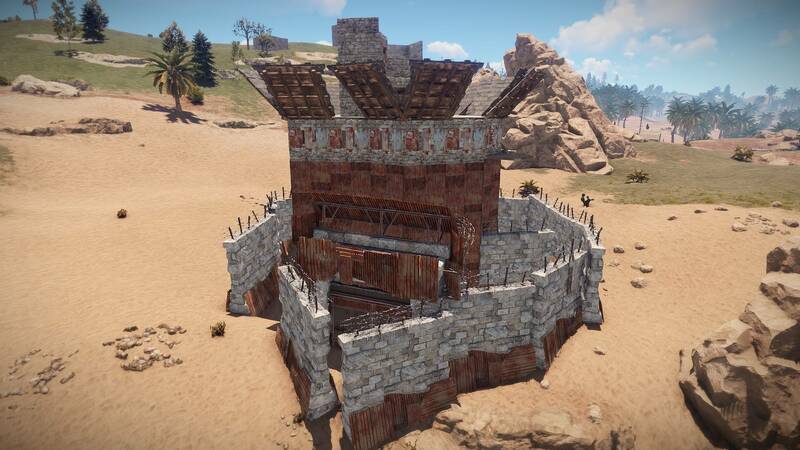 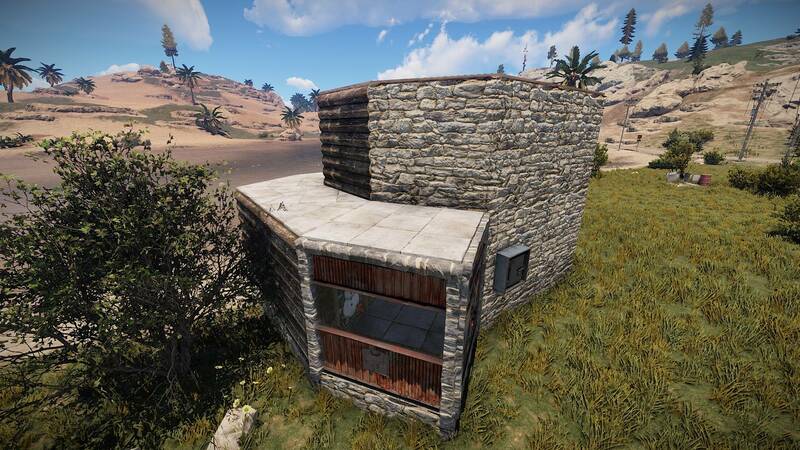 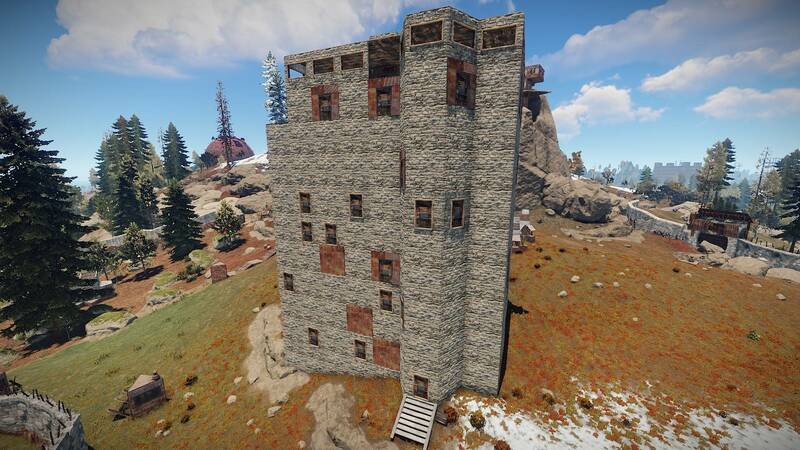 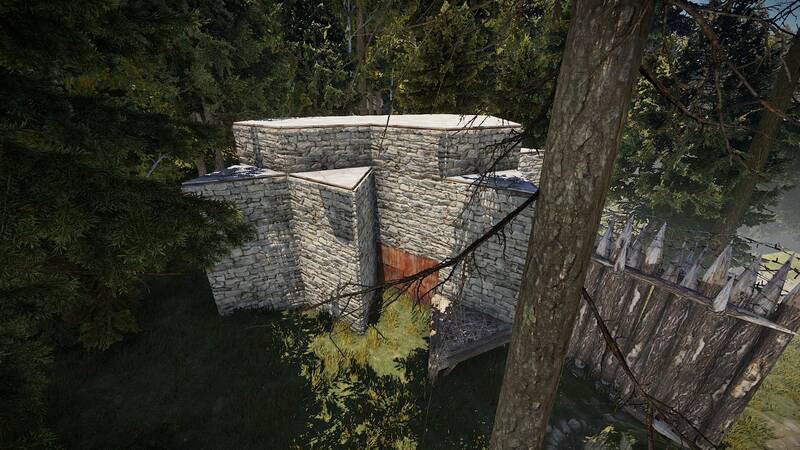 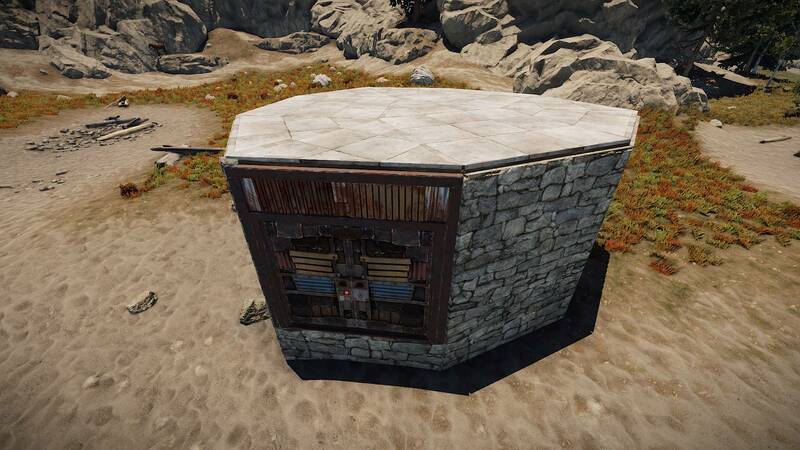 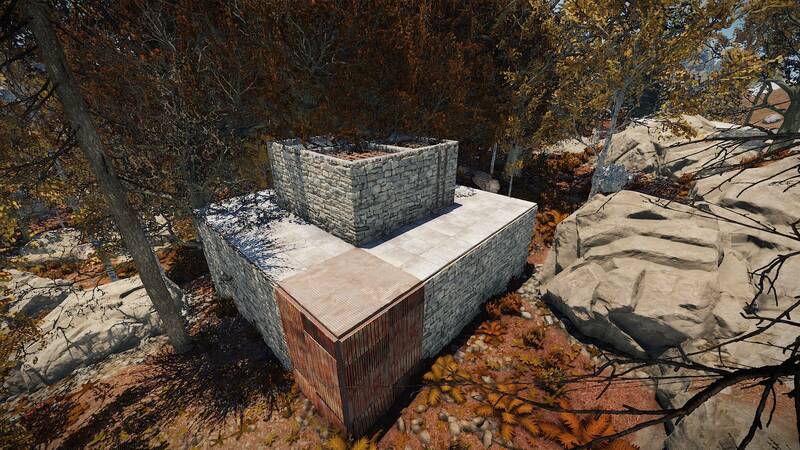 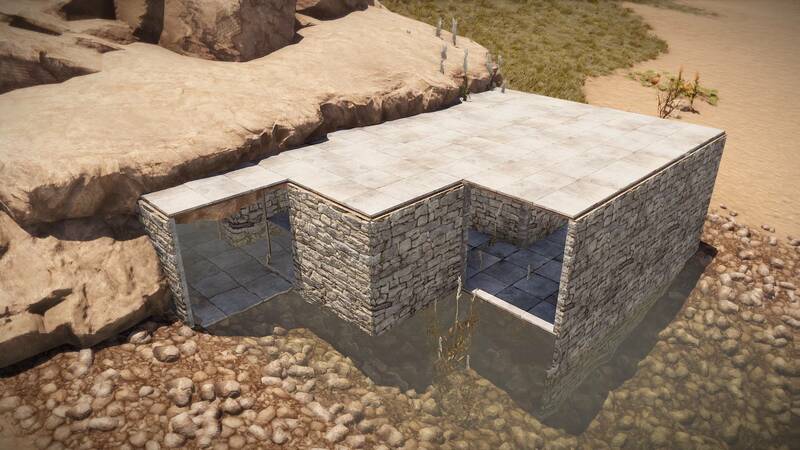 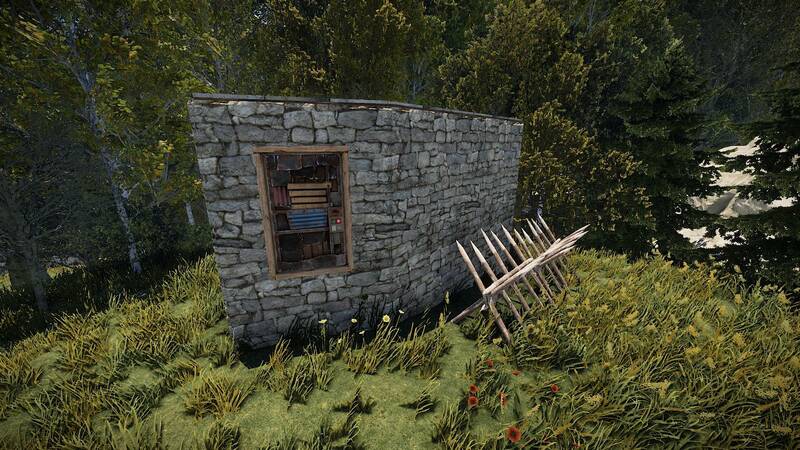 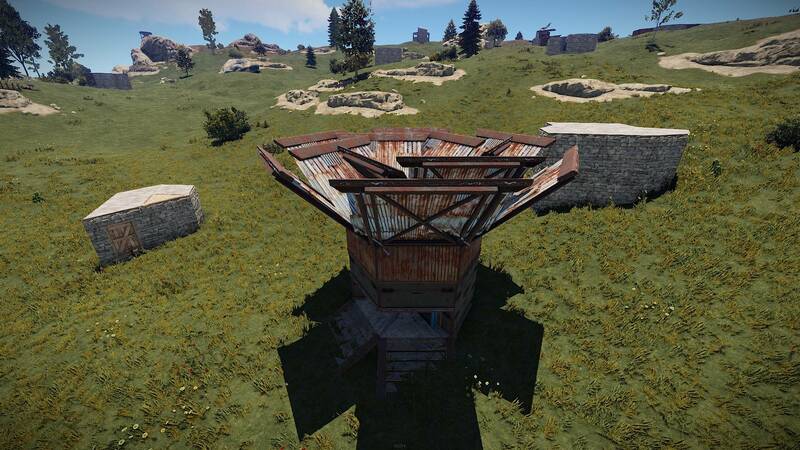 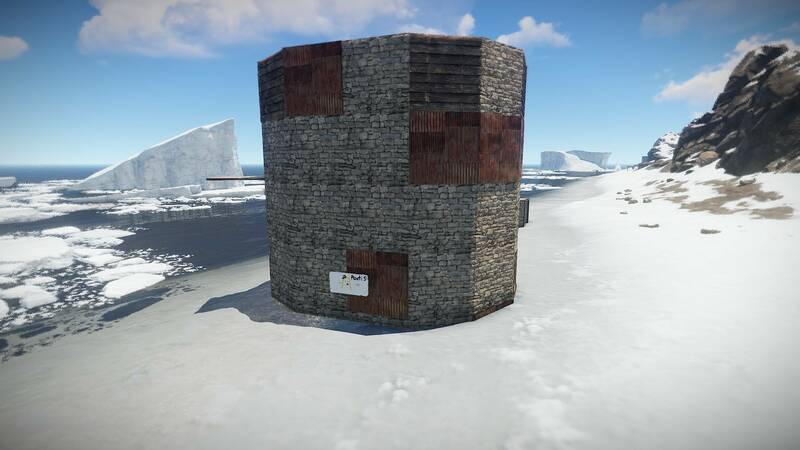 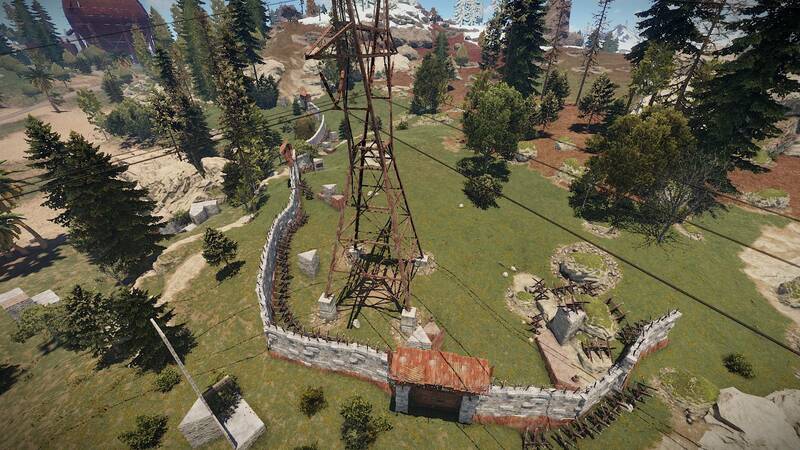 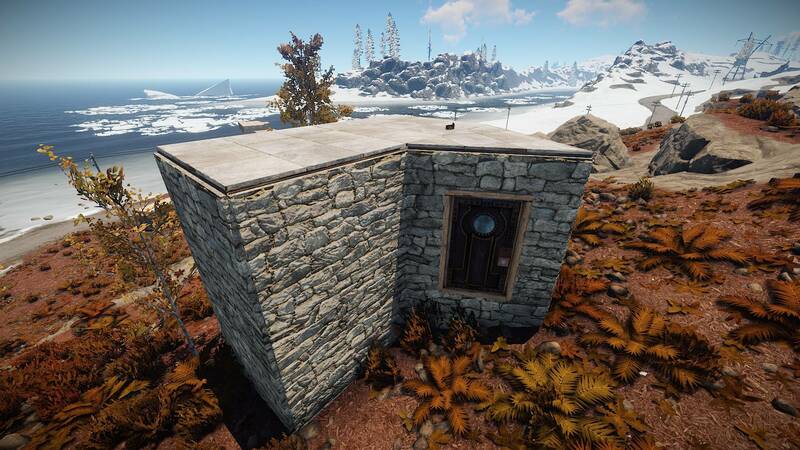 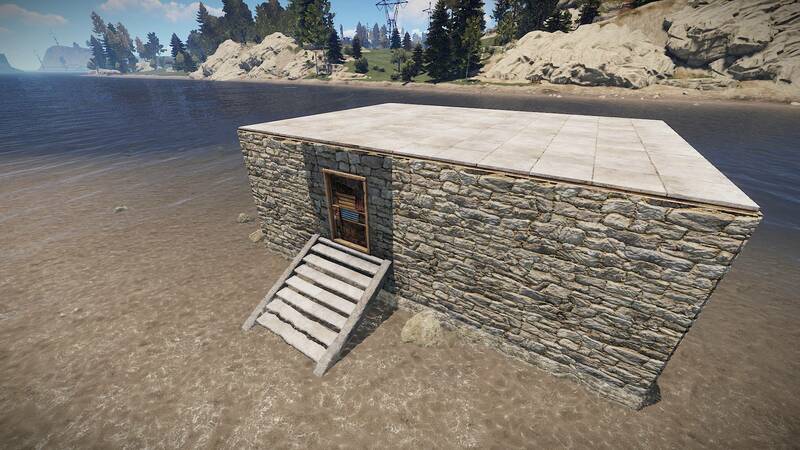 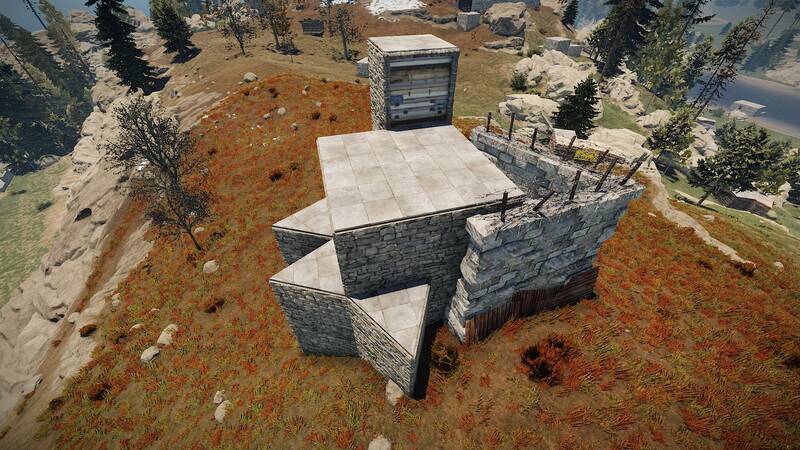 Every month, Corrosion Hour collects base designs from across our various RUST game servers. 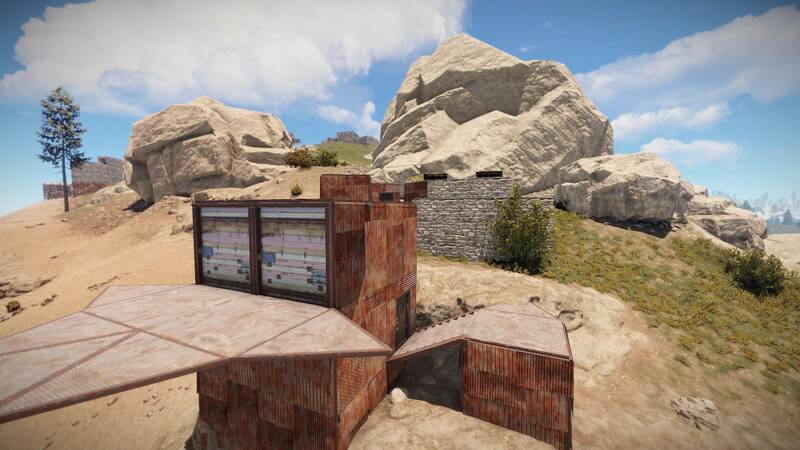 We do this so that we can capture and share previous wipe cycles and monitor base design trends. 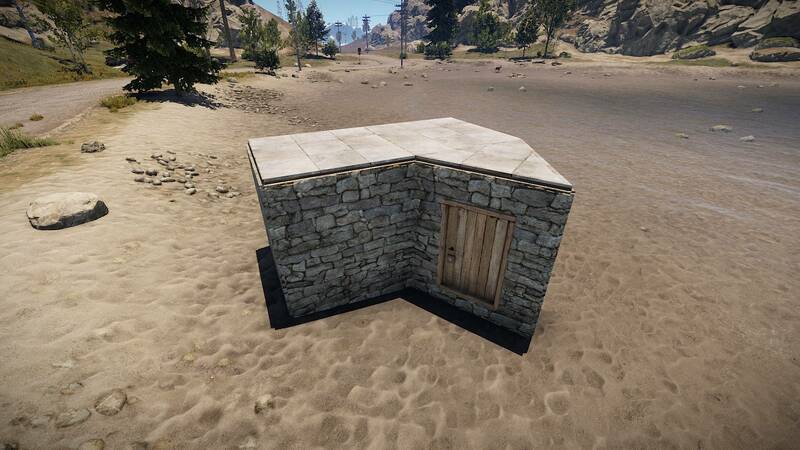 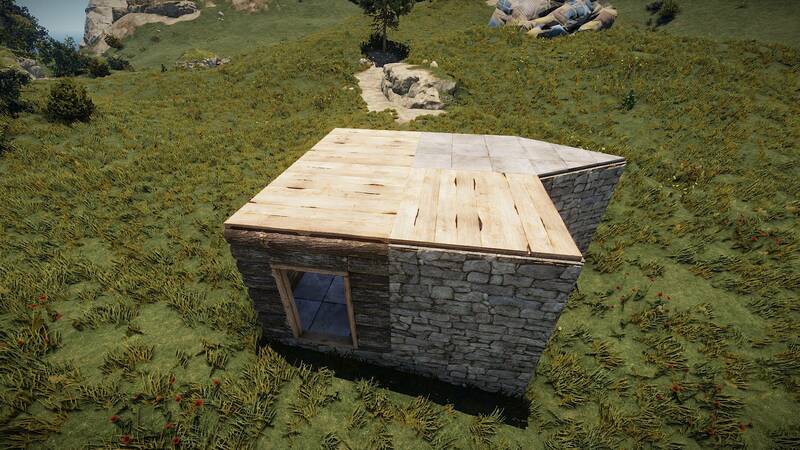 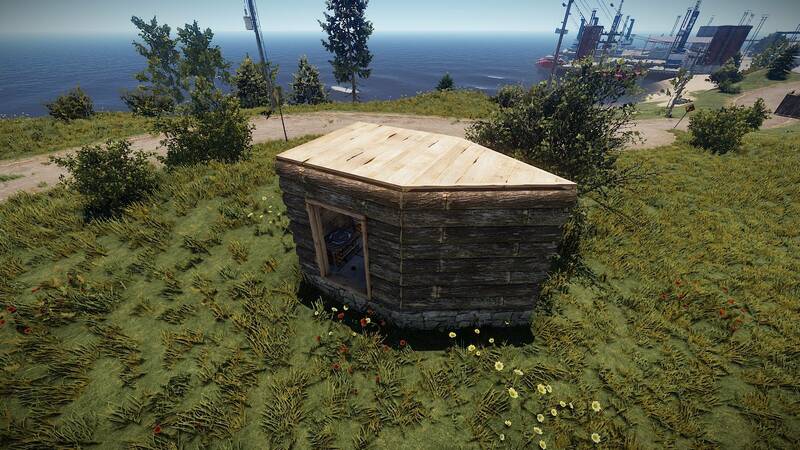 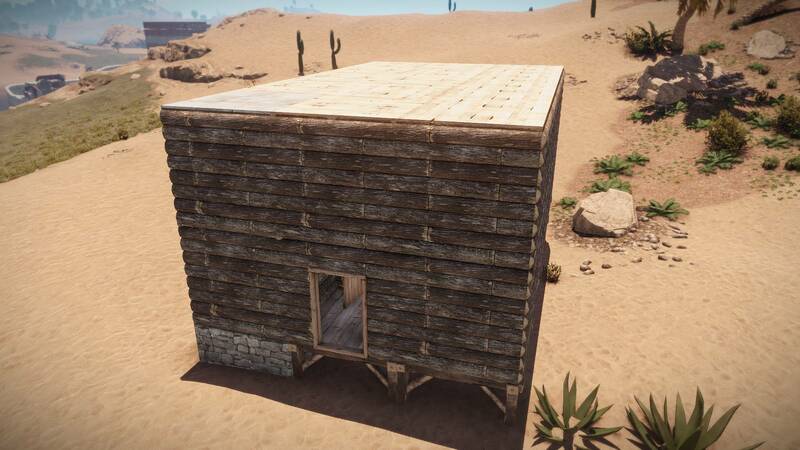 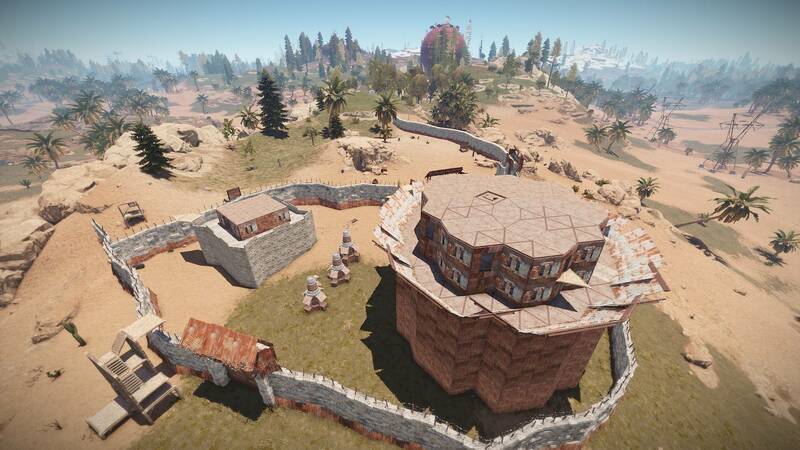 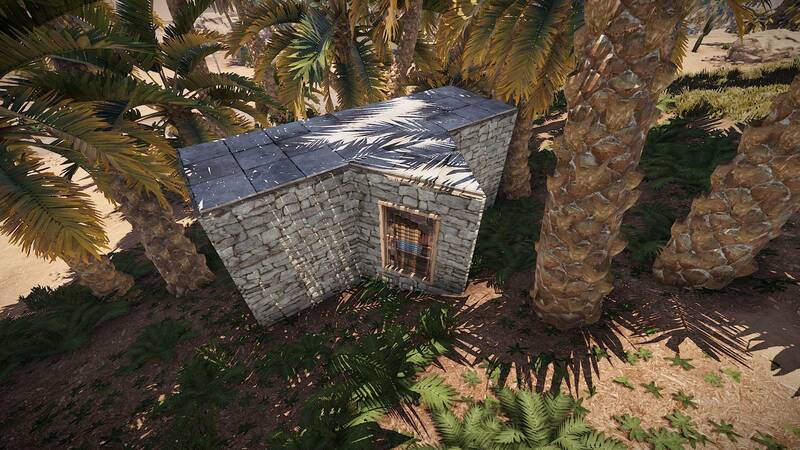 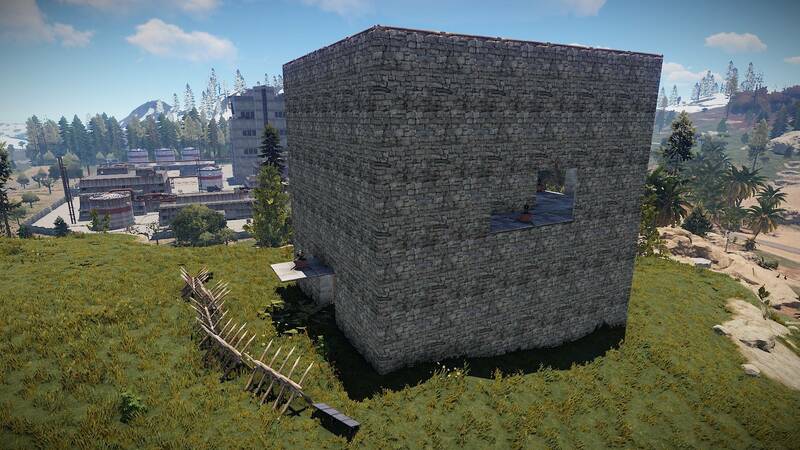 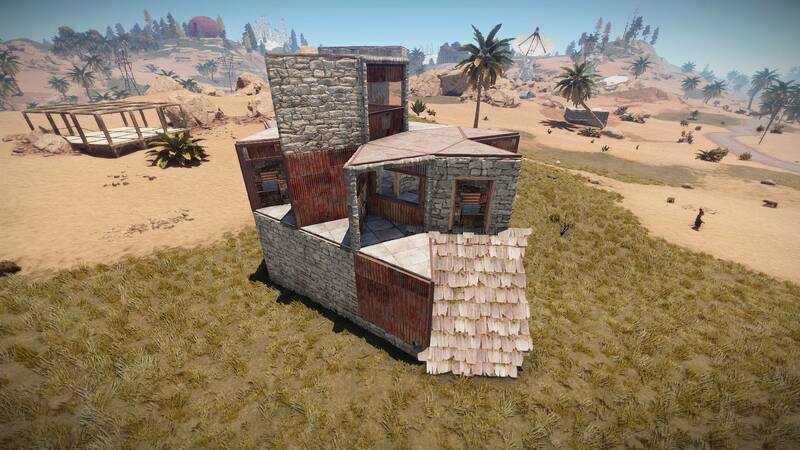 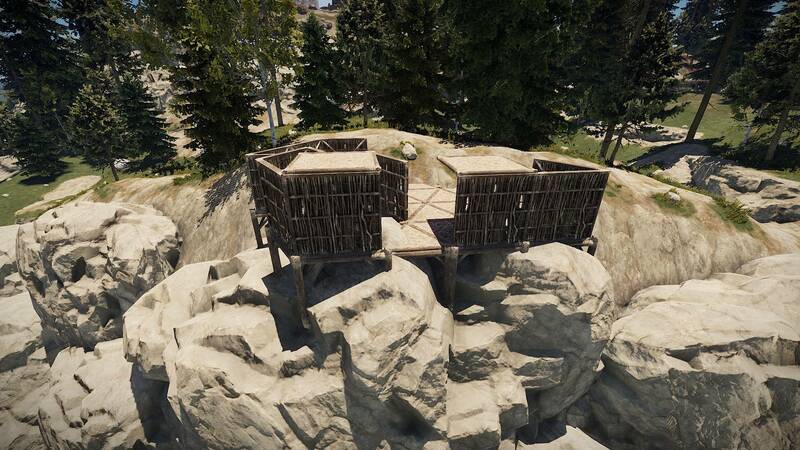 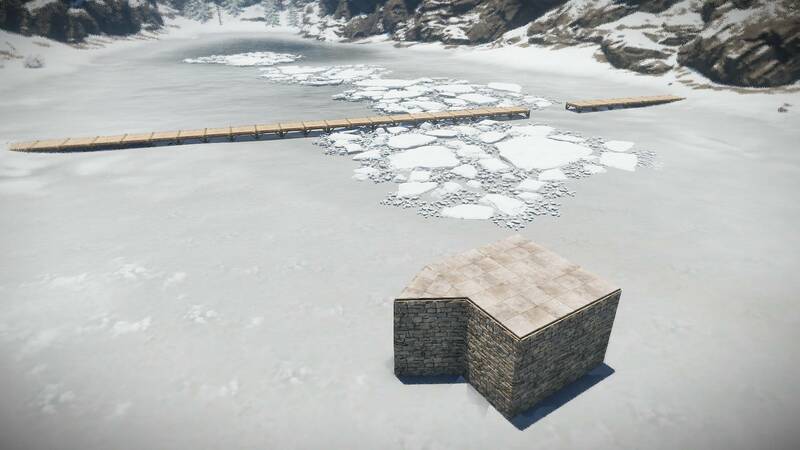 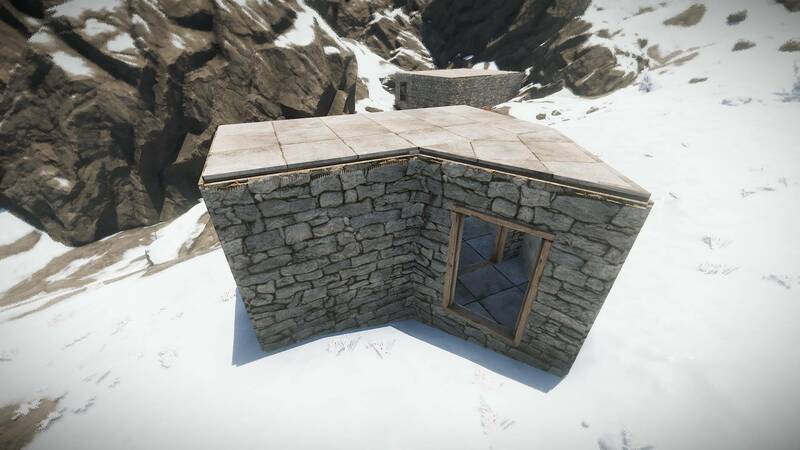 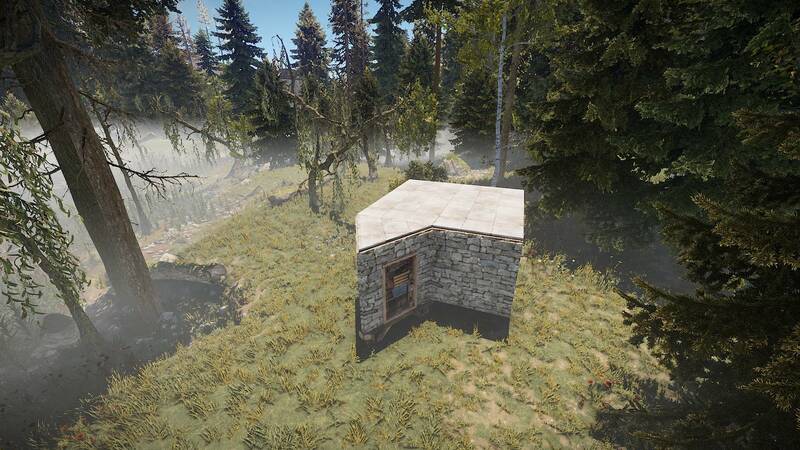 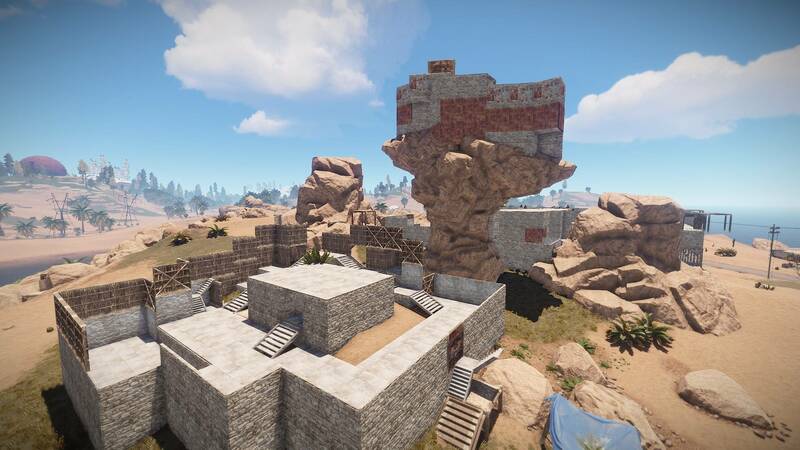 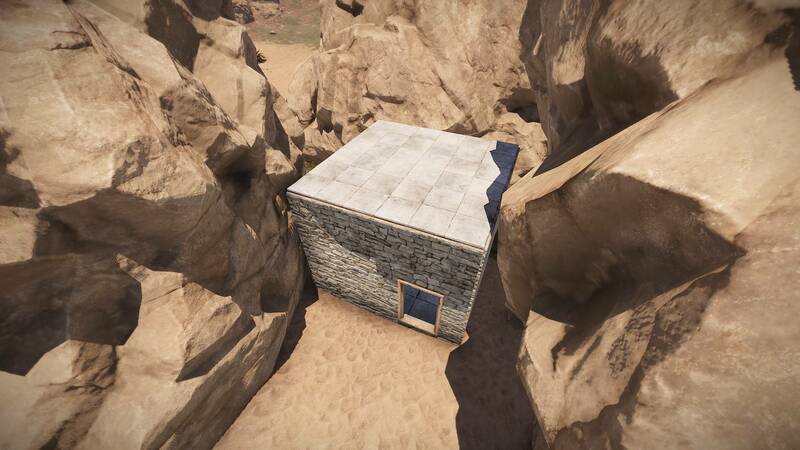 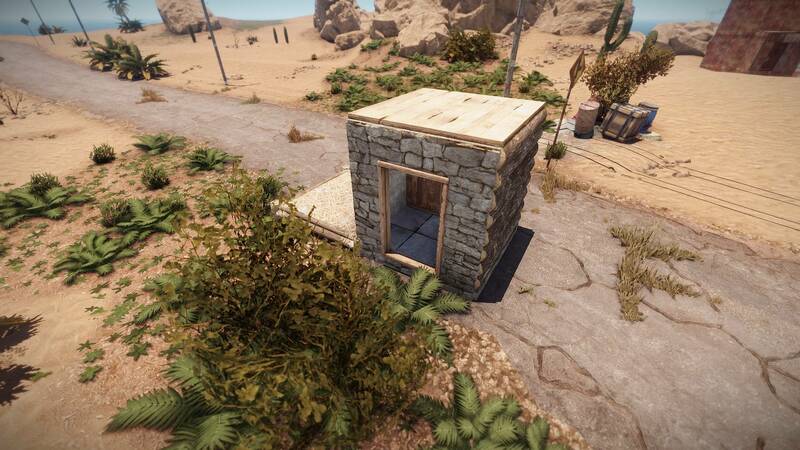 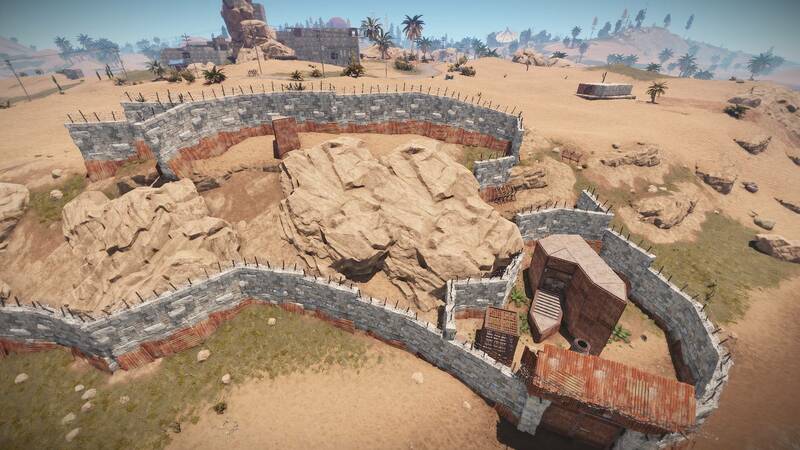 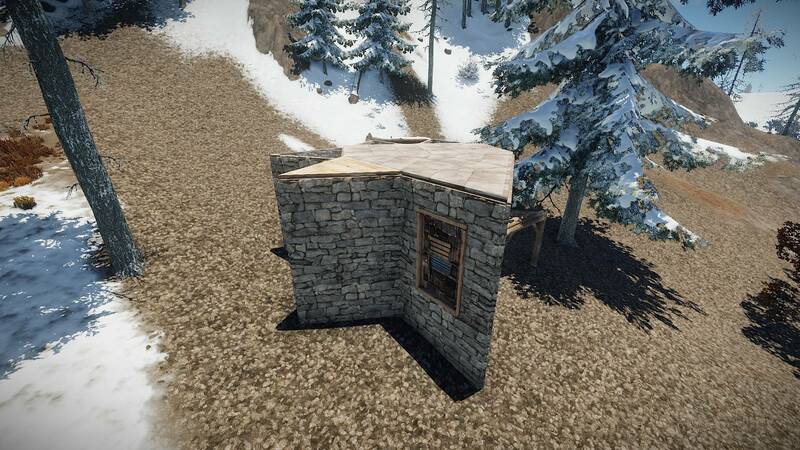 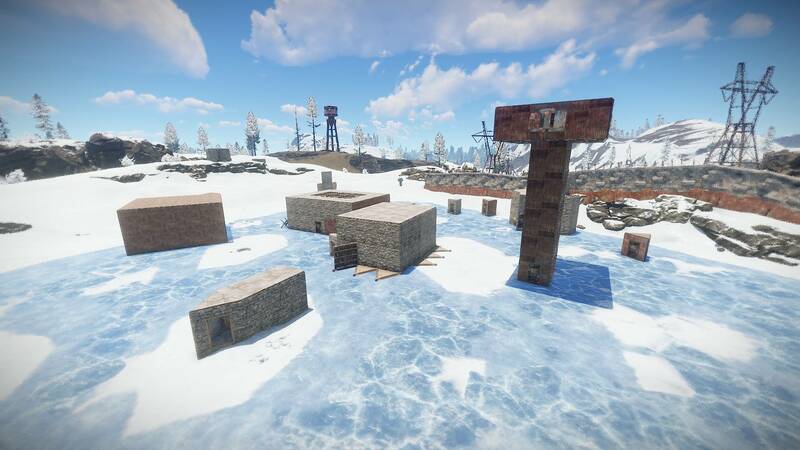 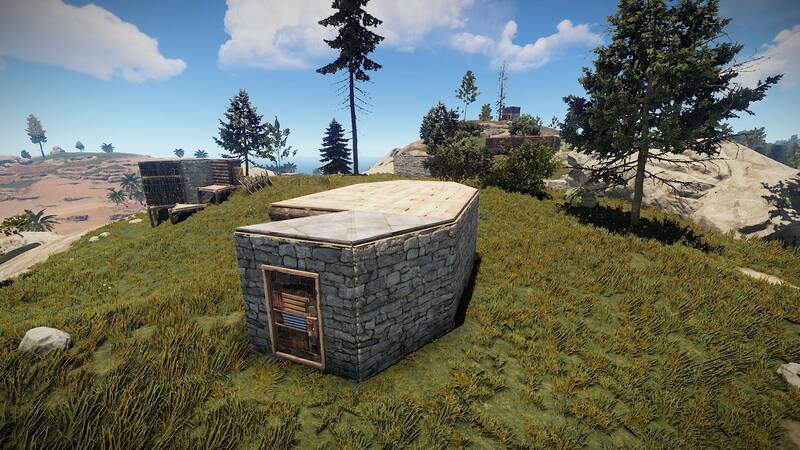 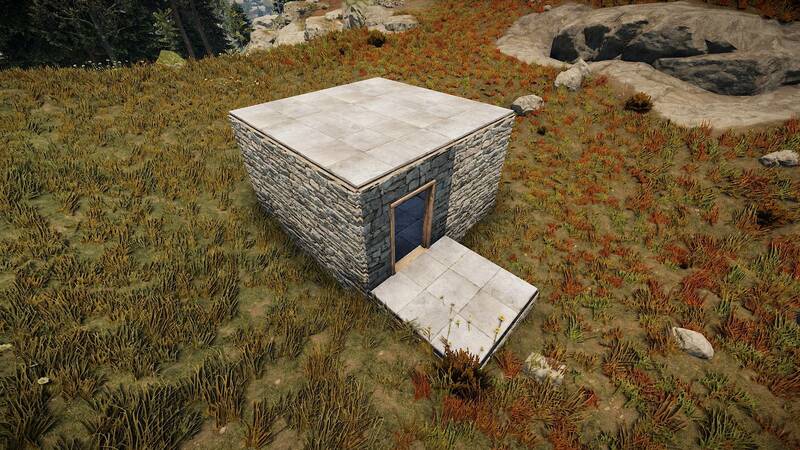 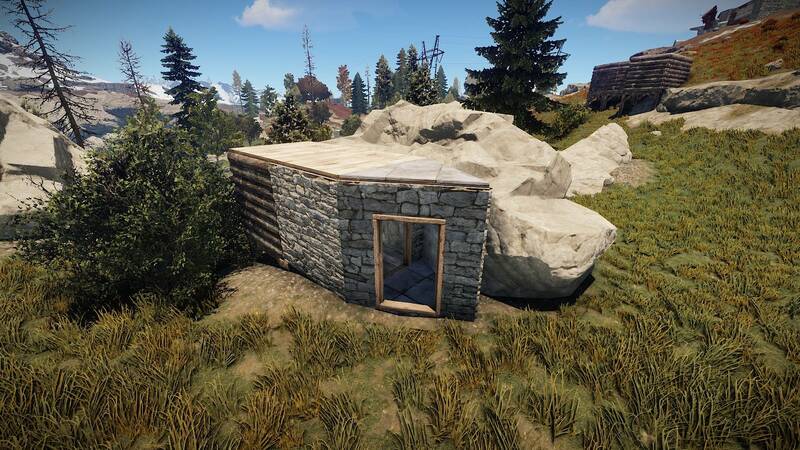 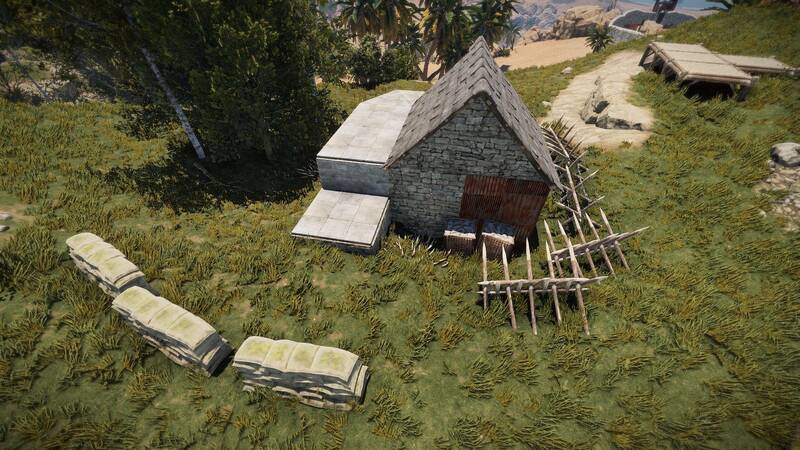 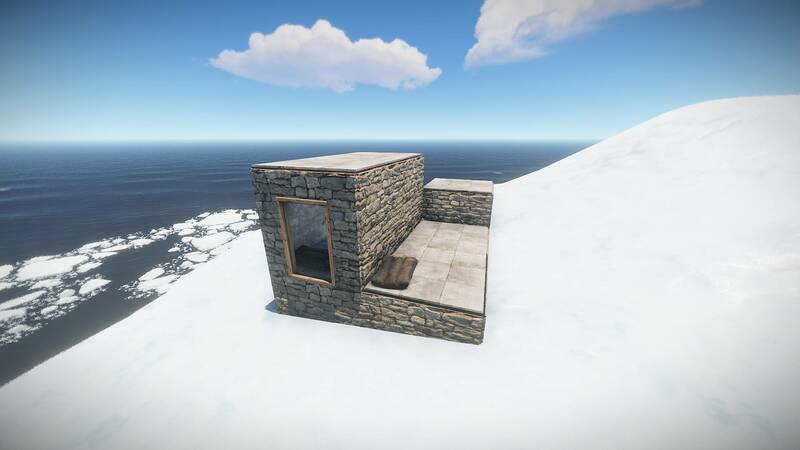 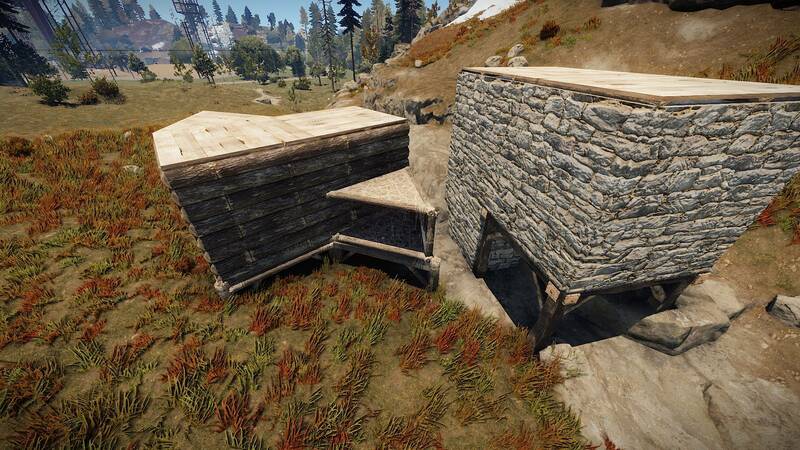 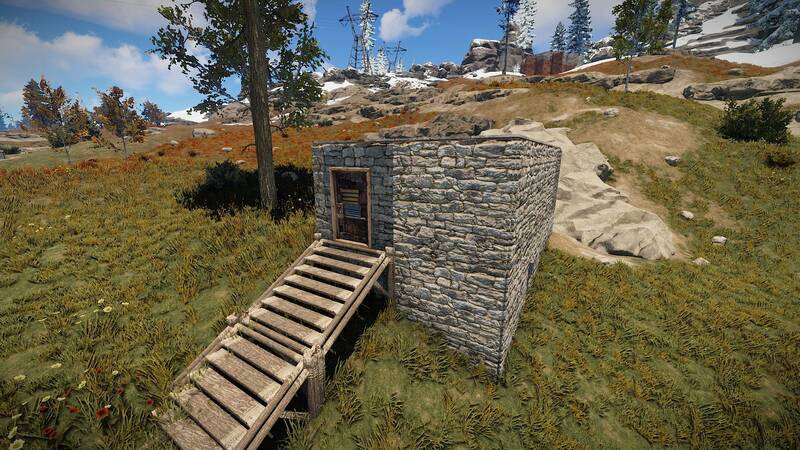 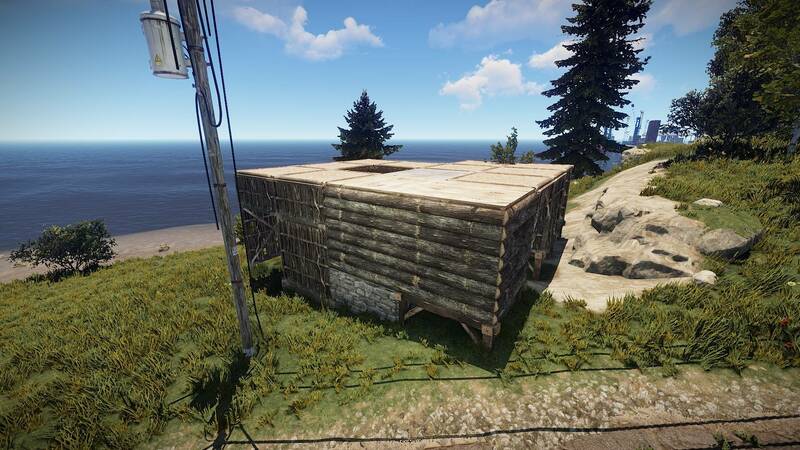 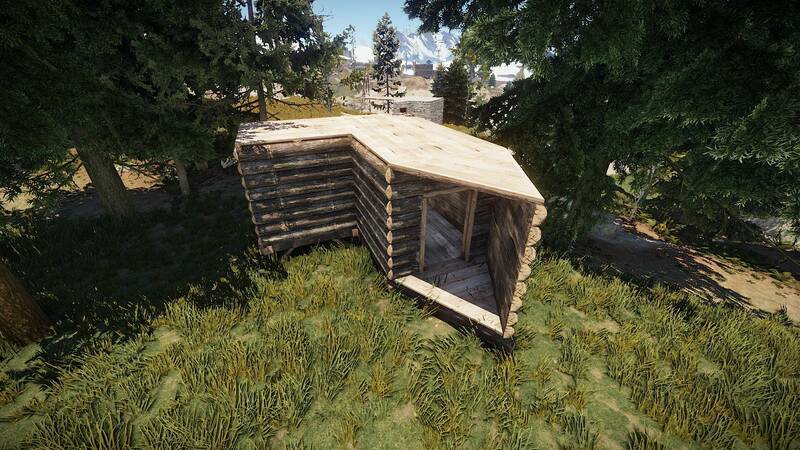 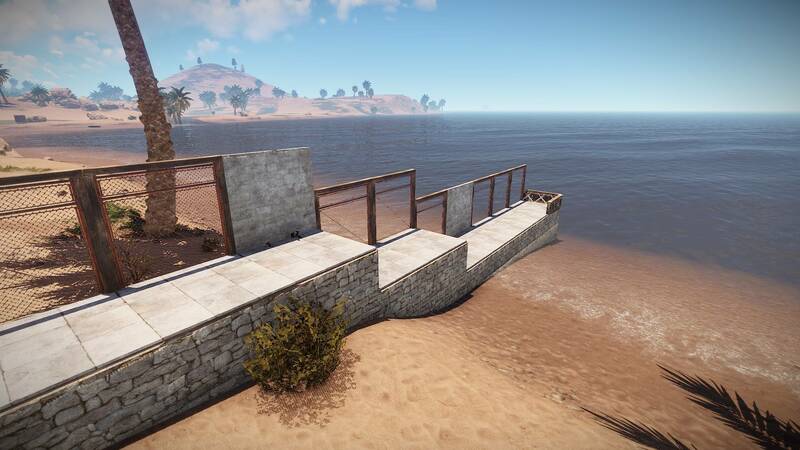 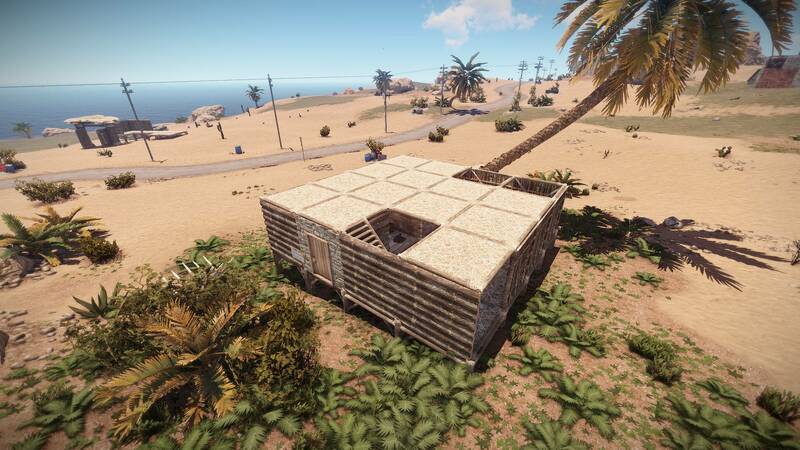 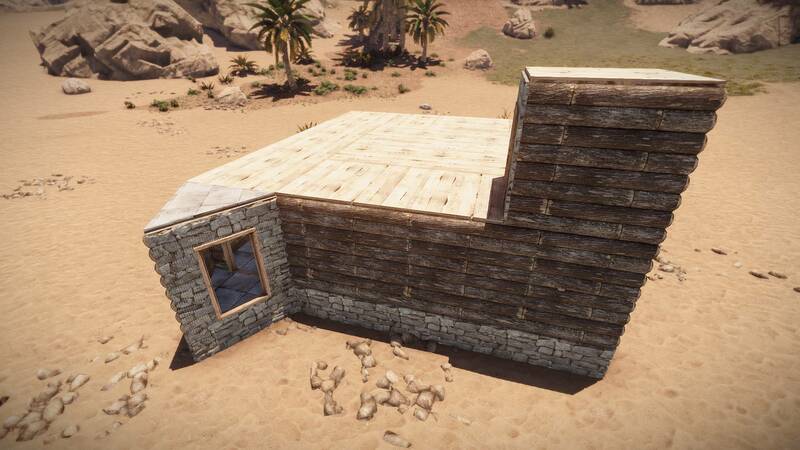 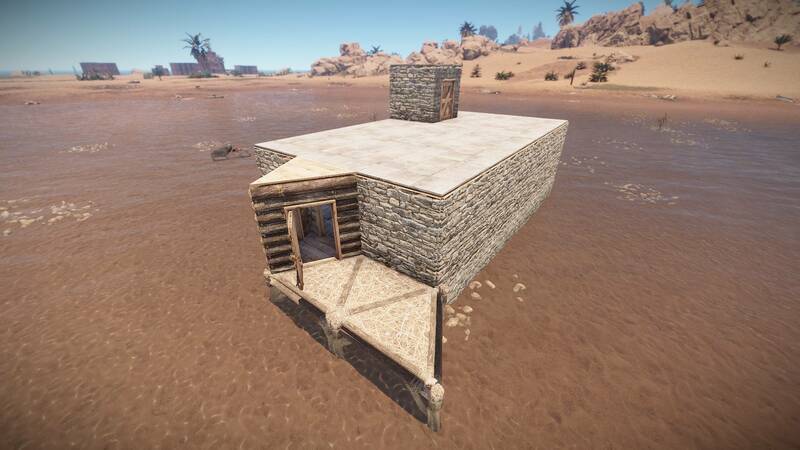 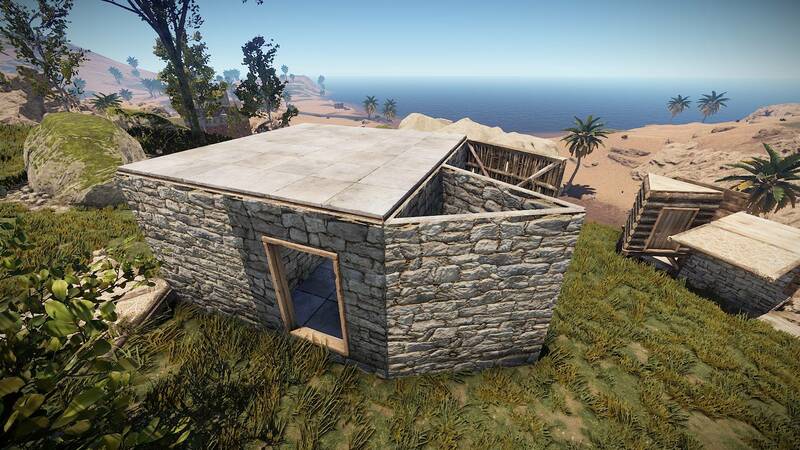 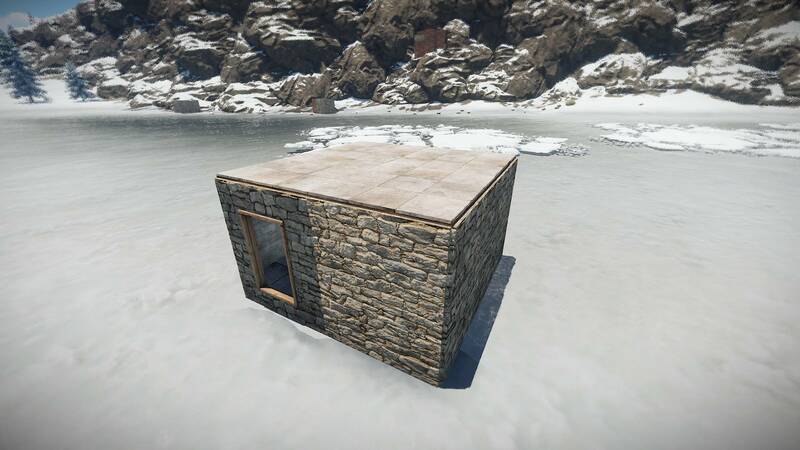 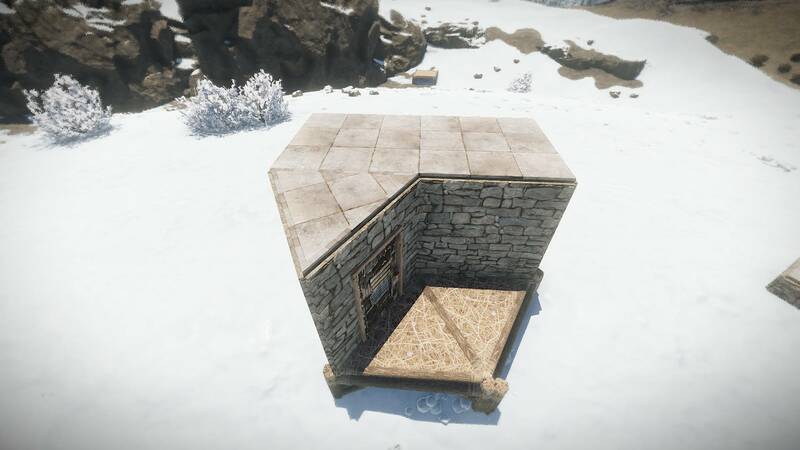 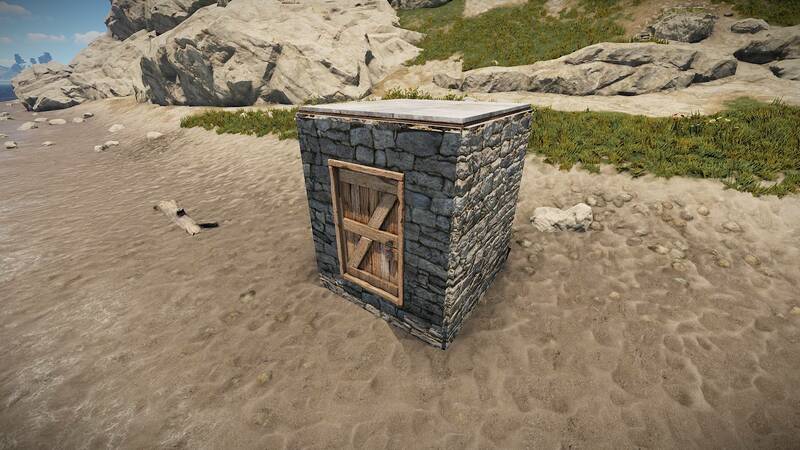 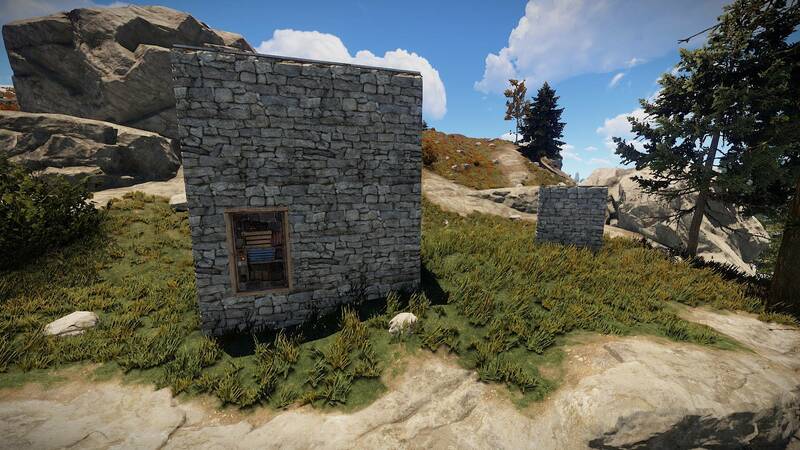 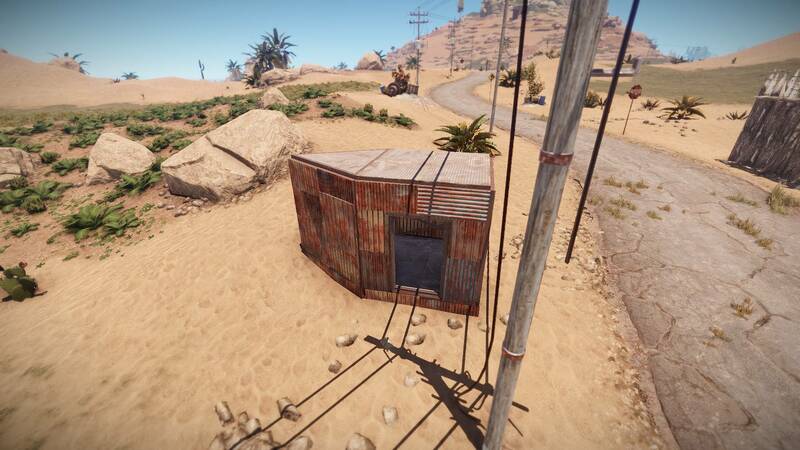 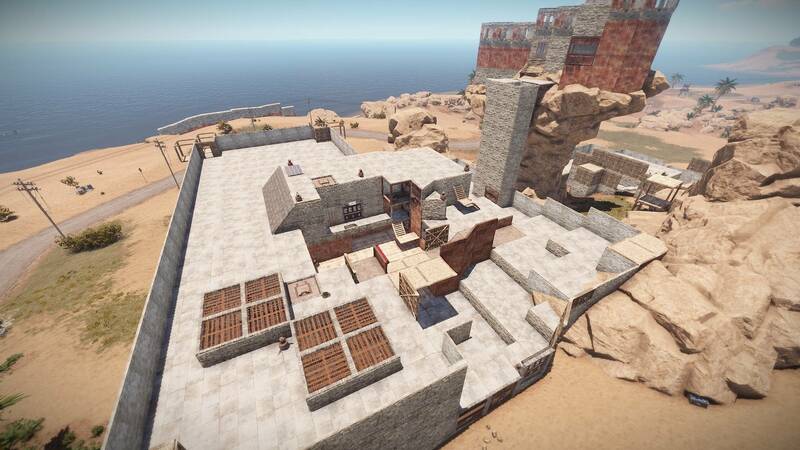 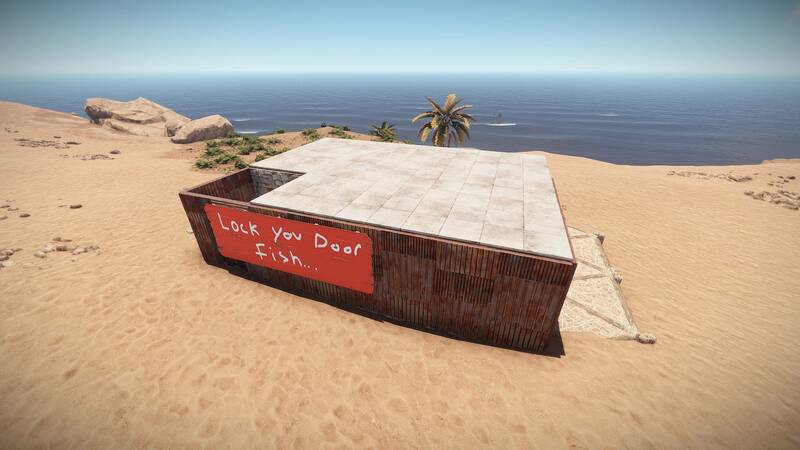 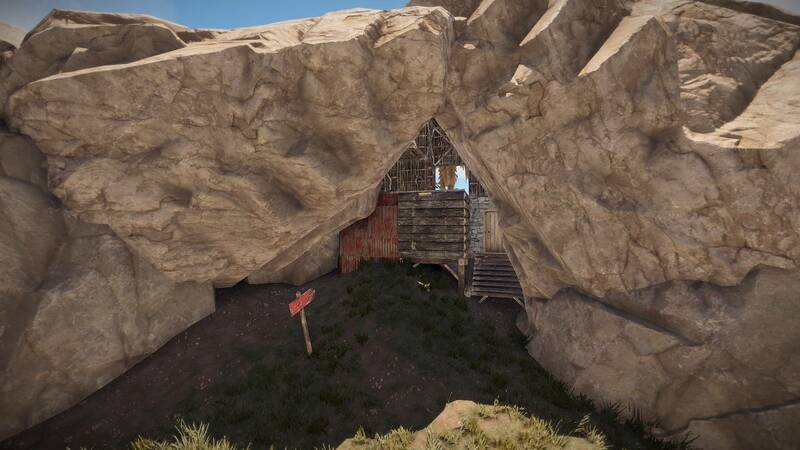 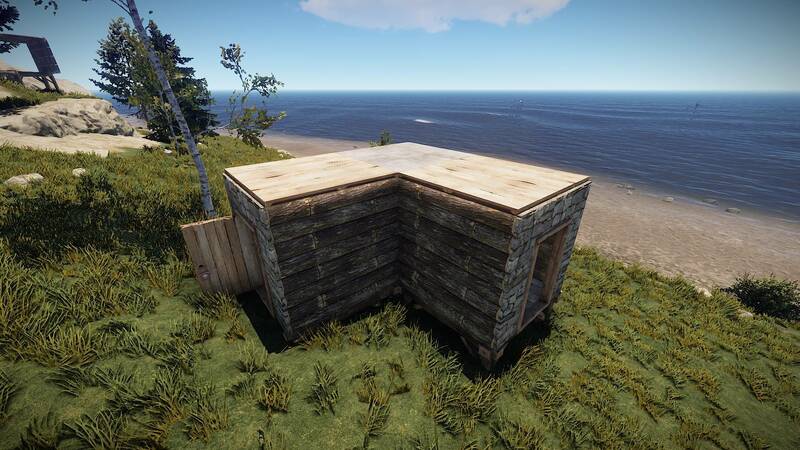 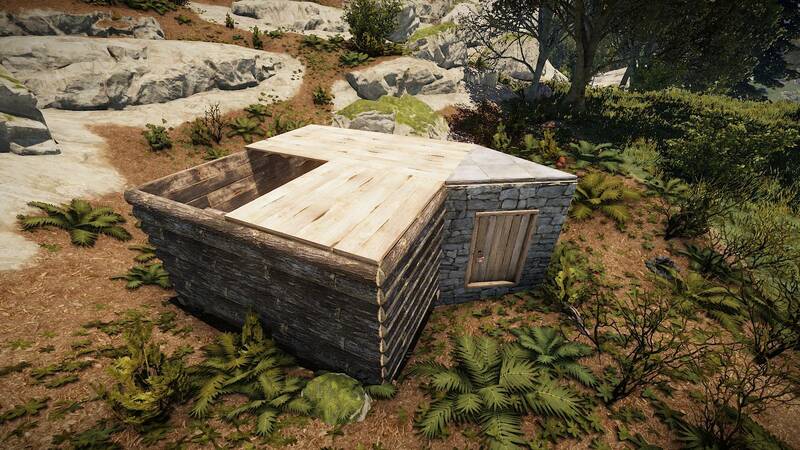 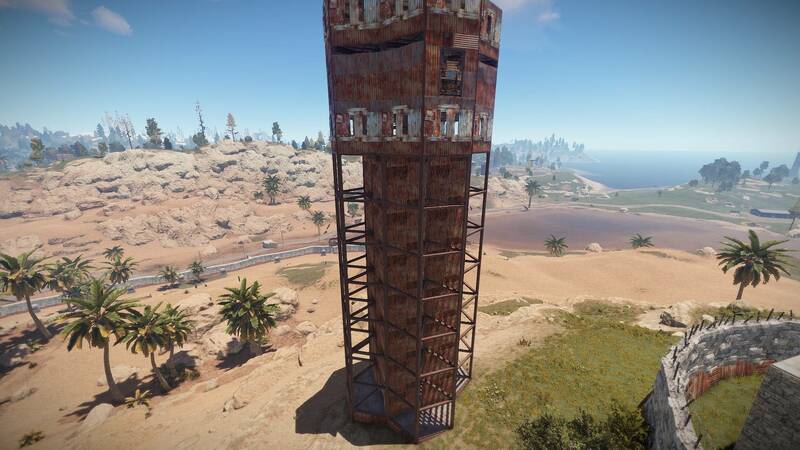 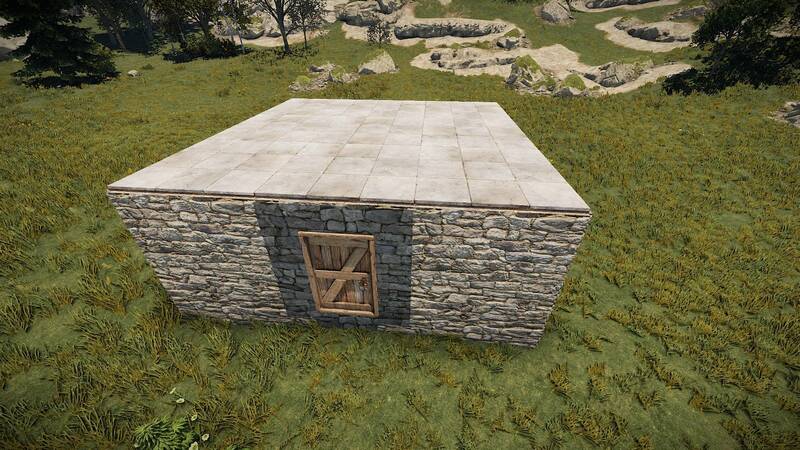 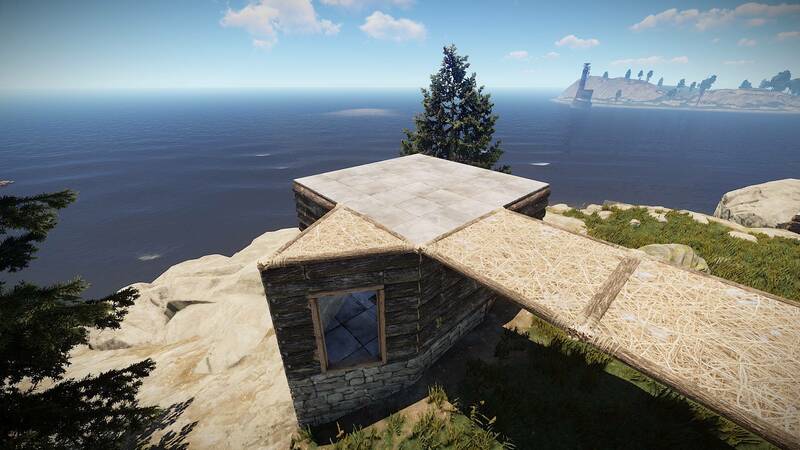 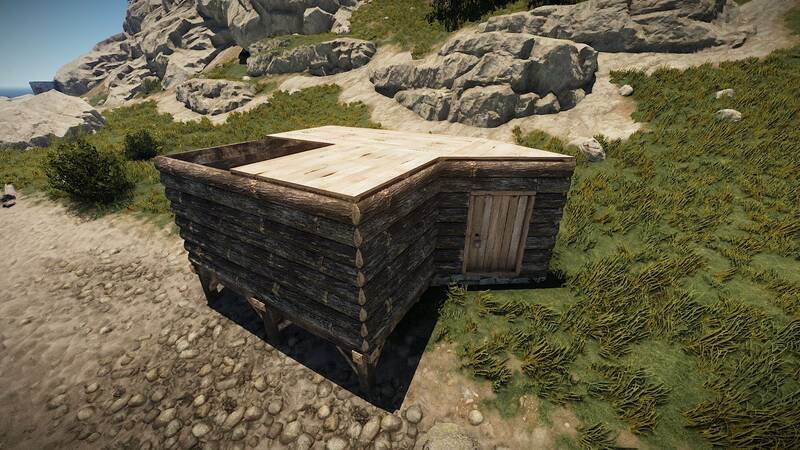 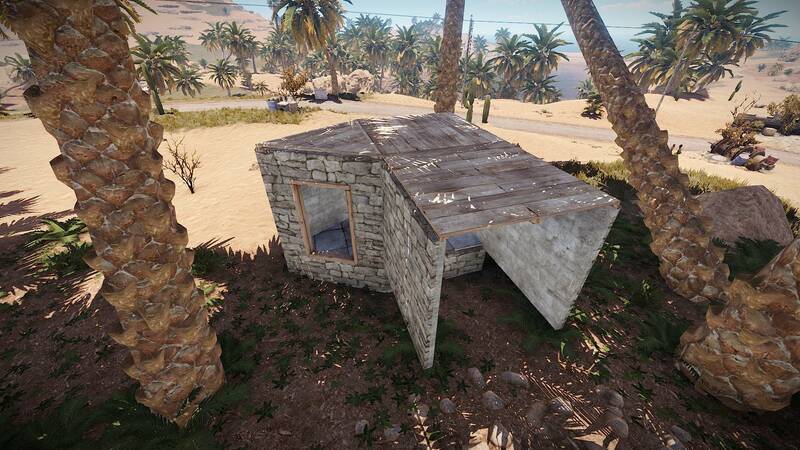 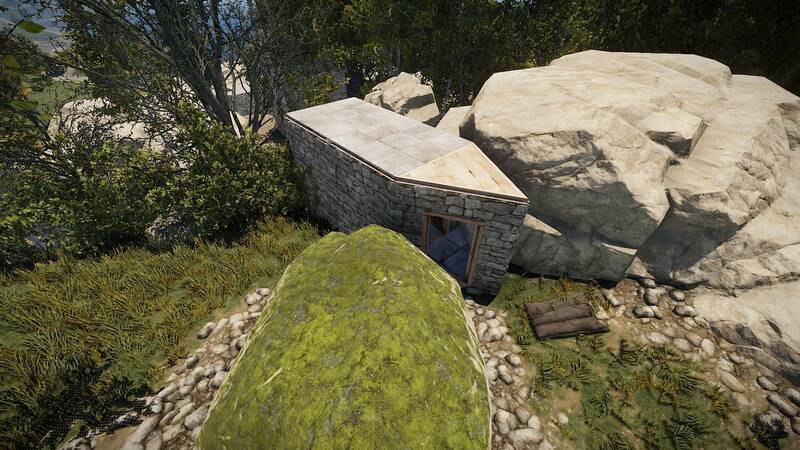 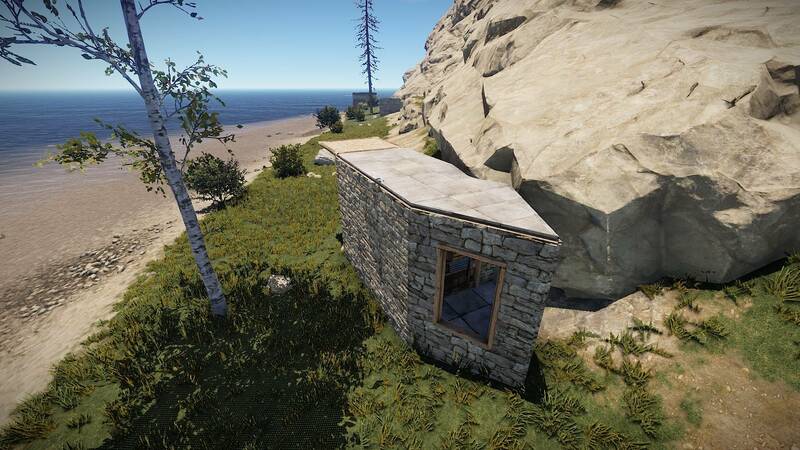 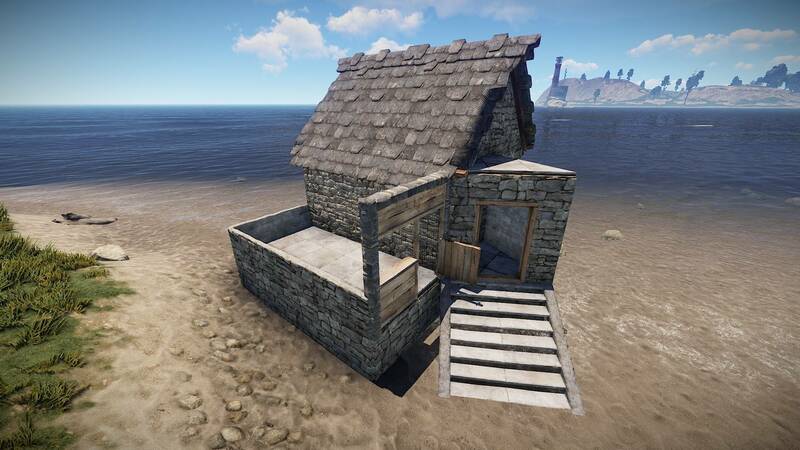 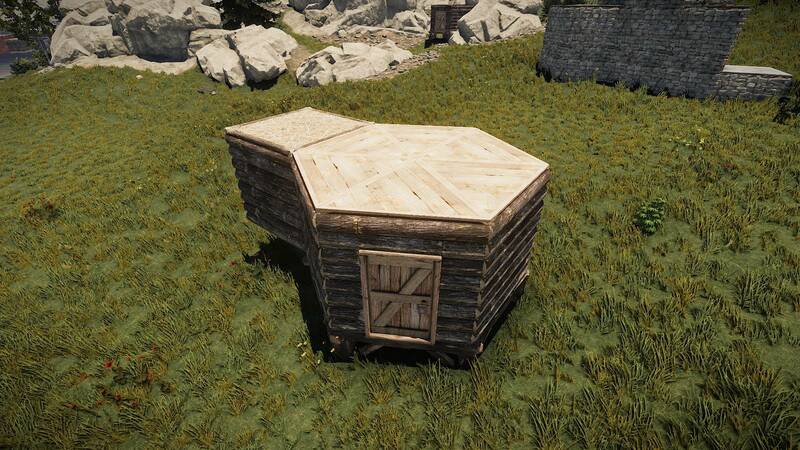 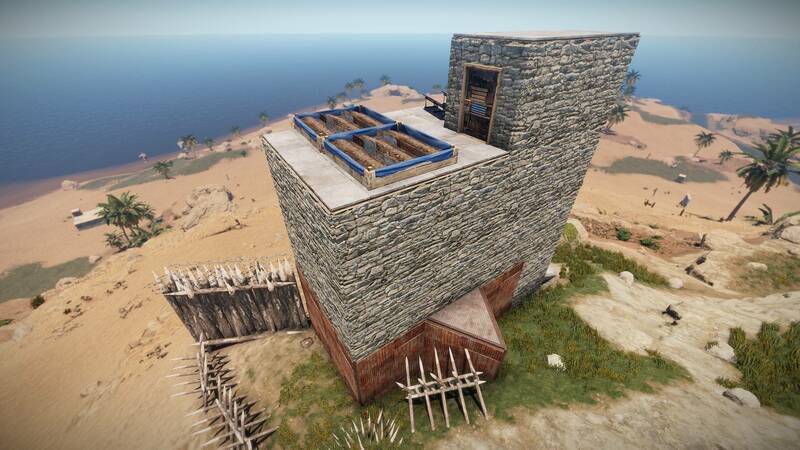 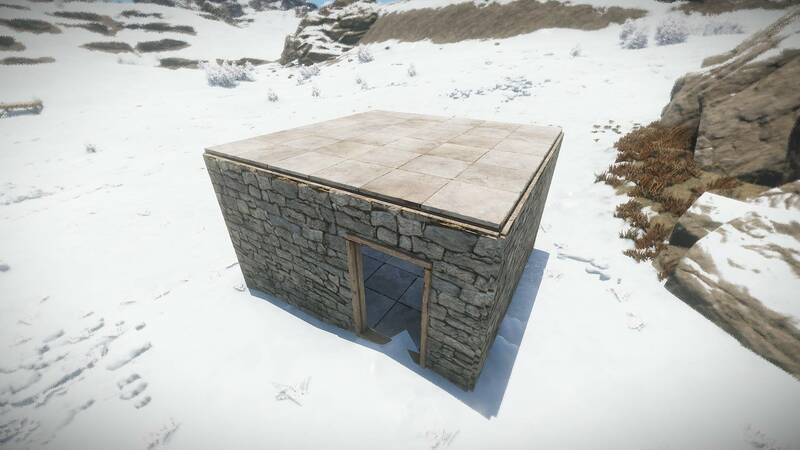 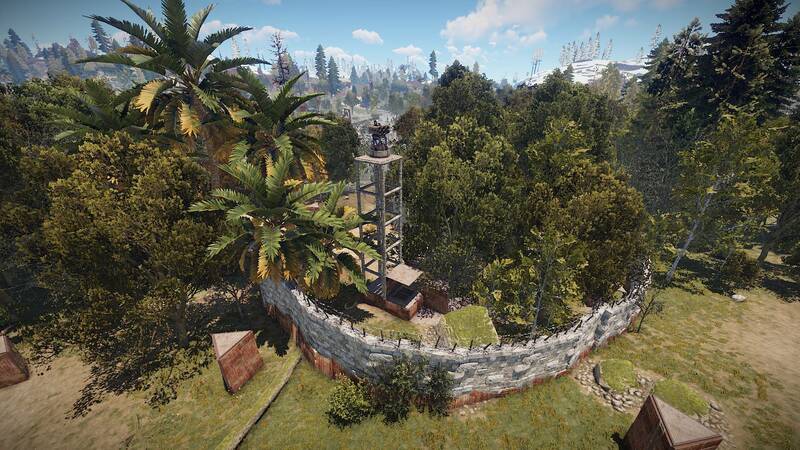 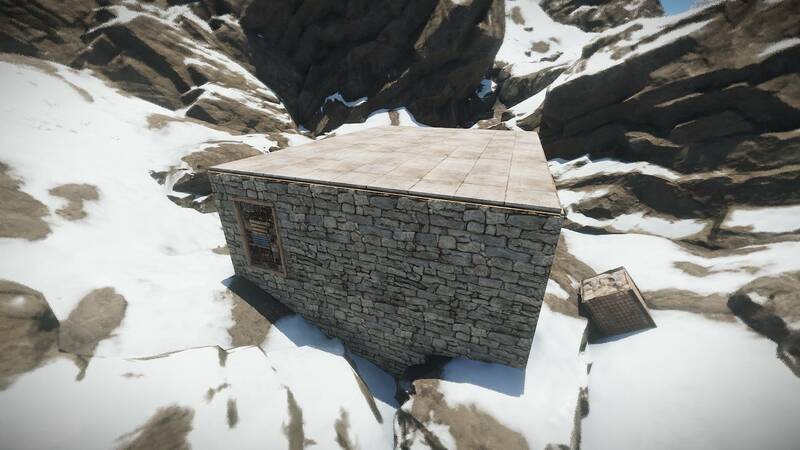 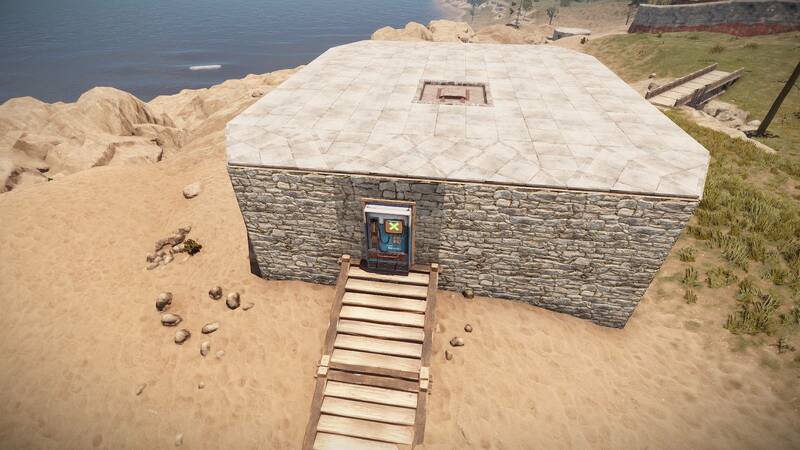 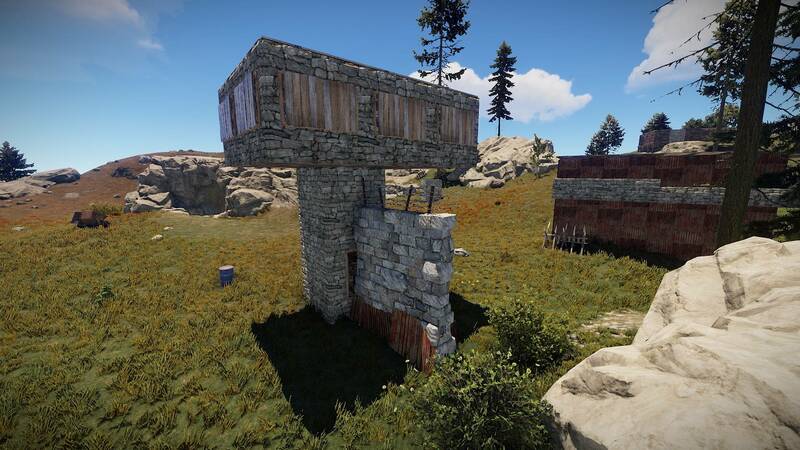 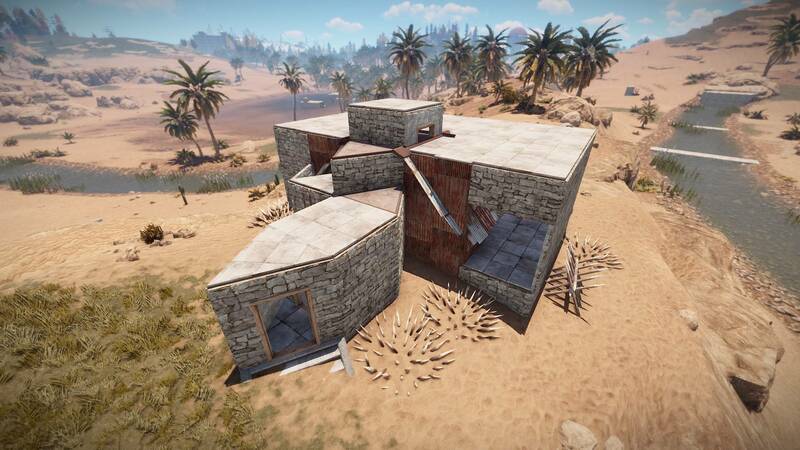 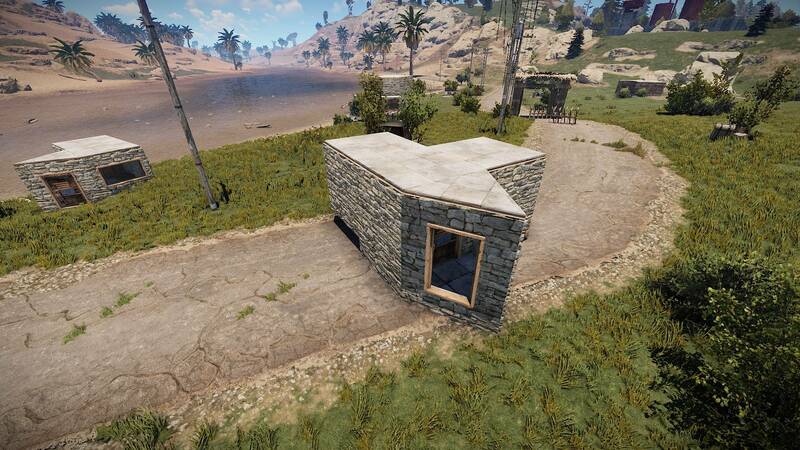 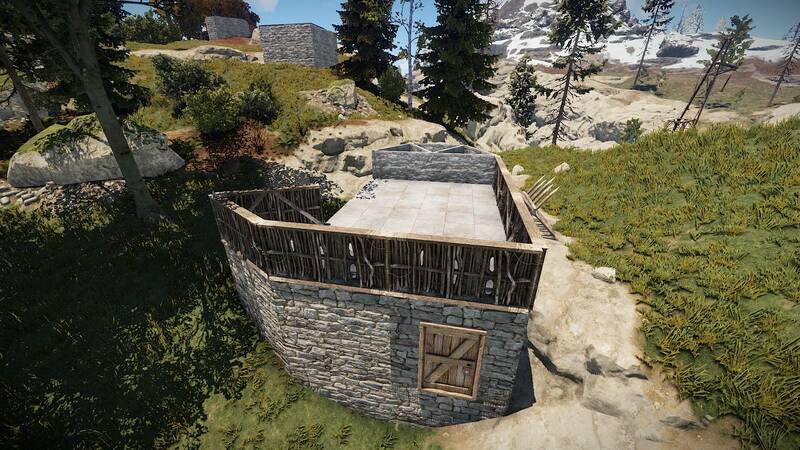 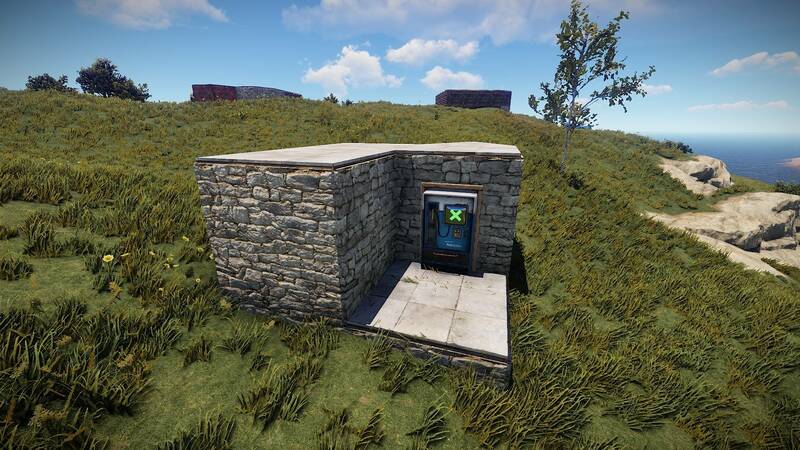 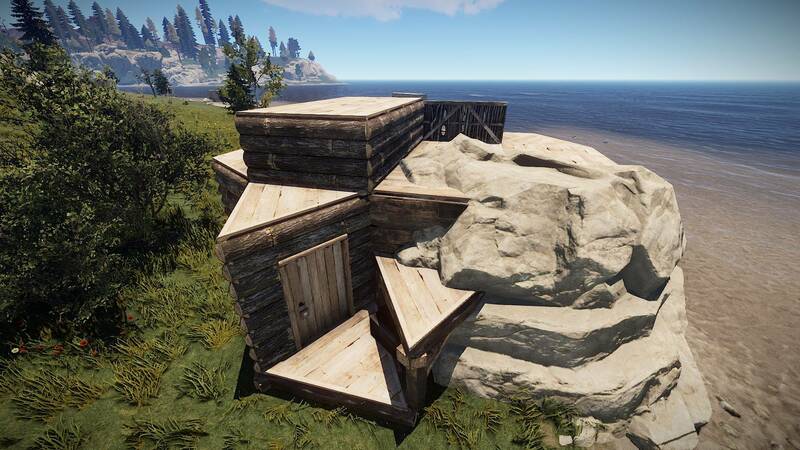 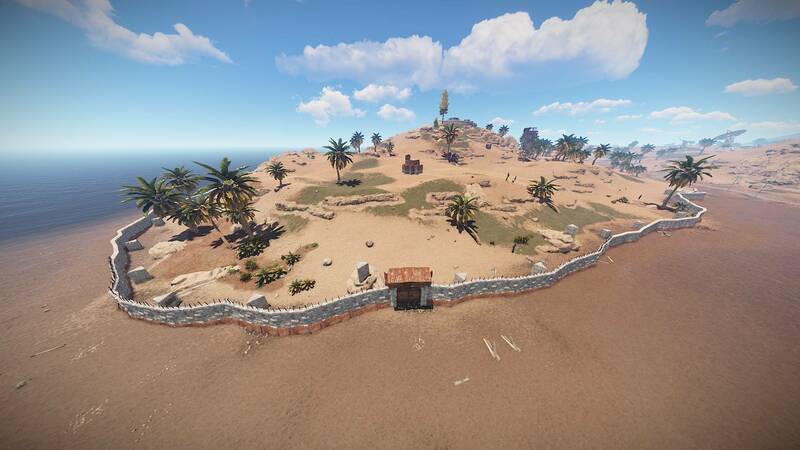 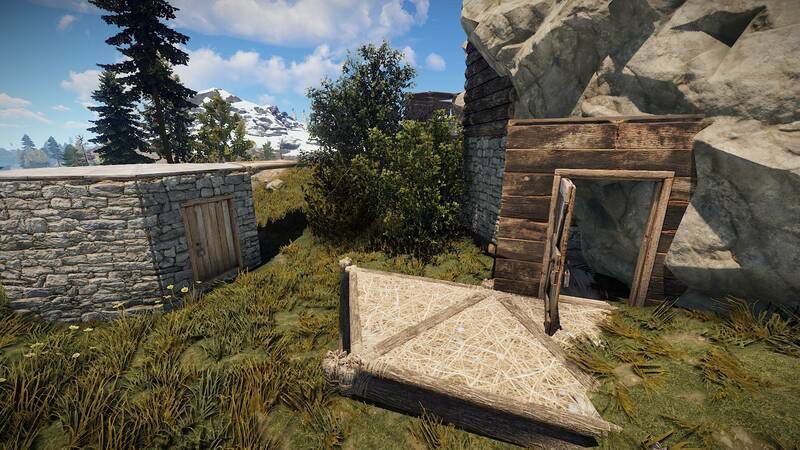 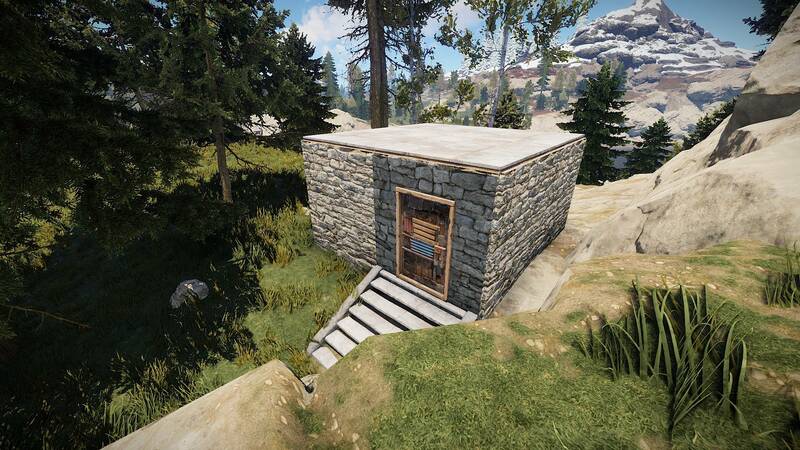 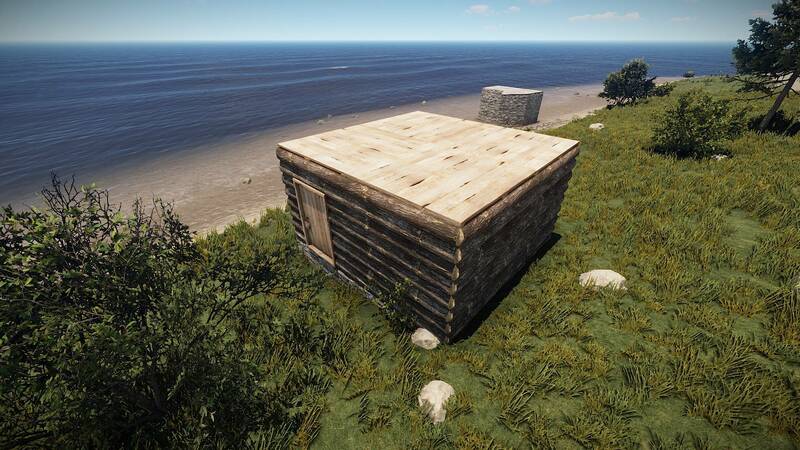 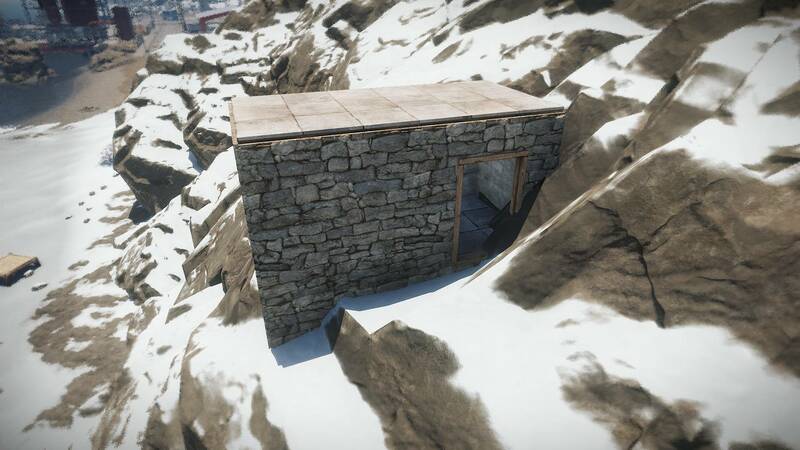 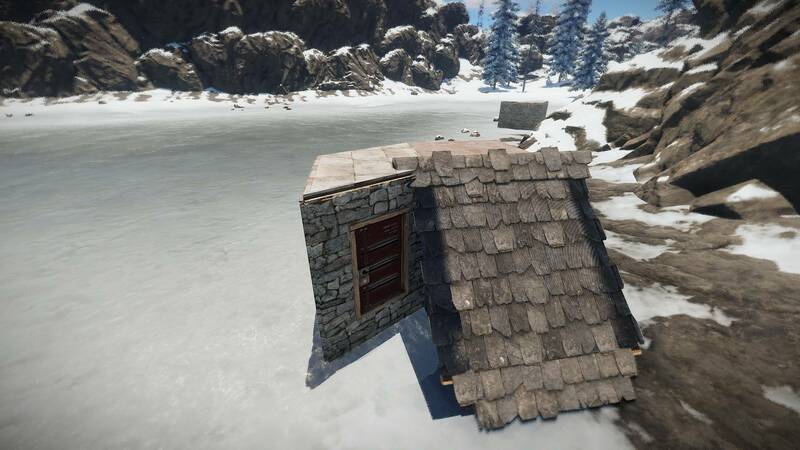 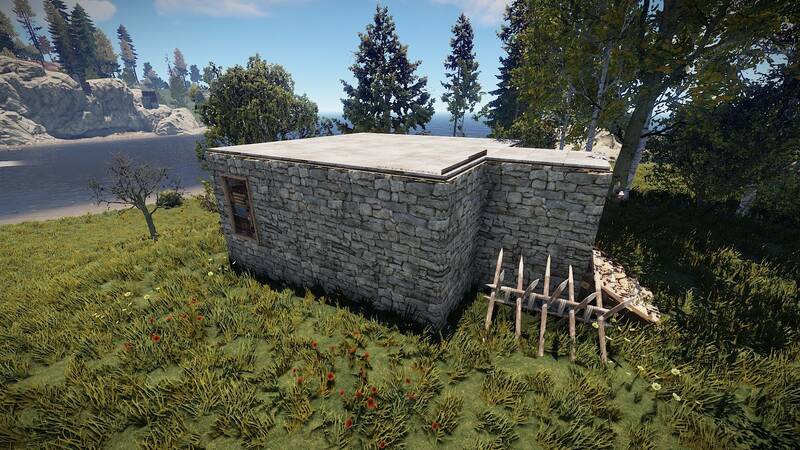 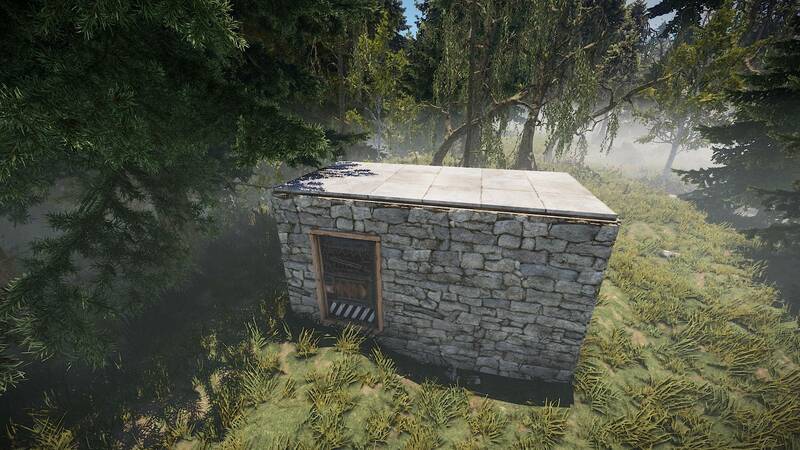 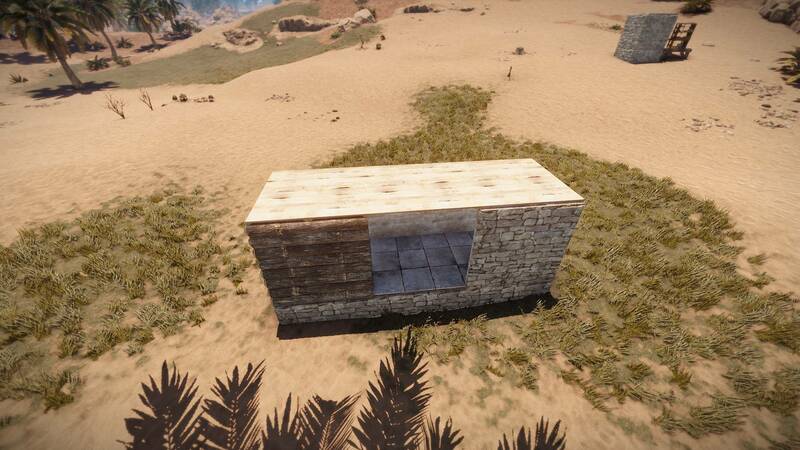 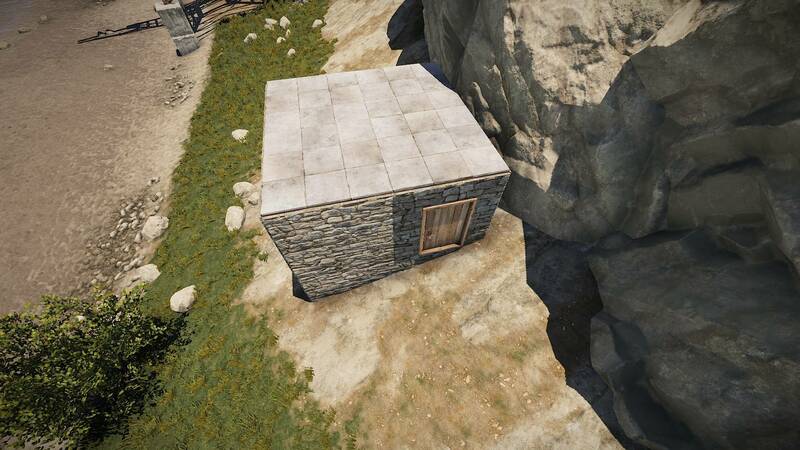 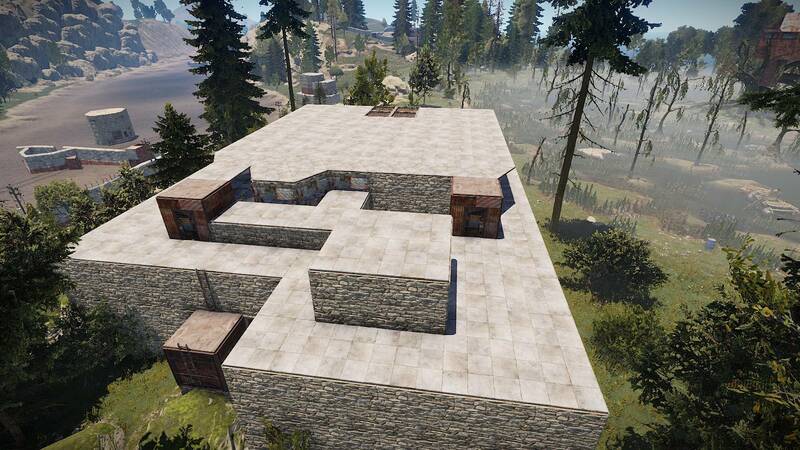 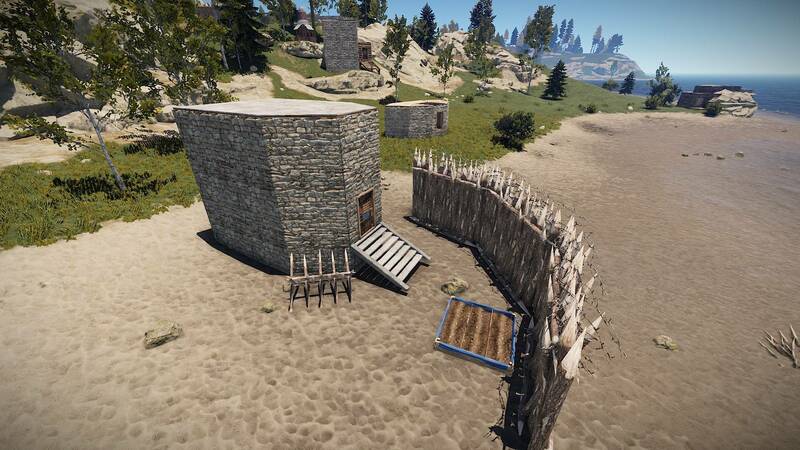 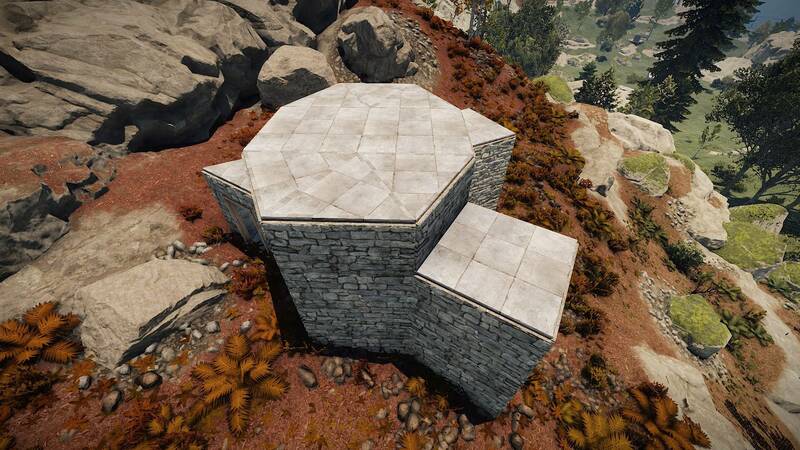 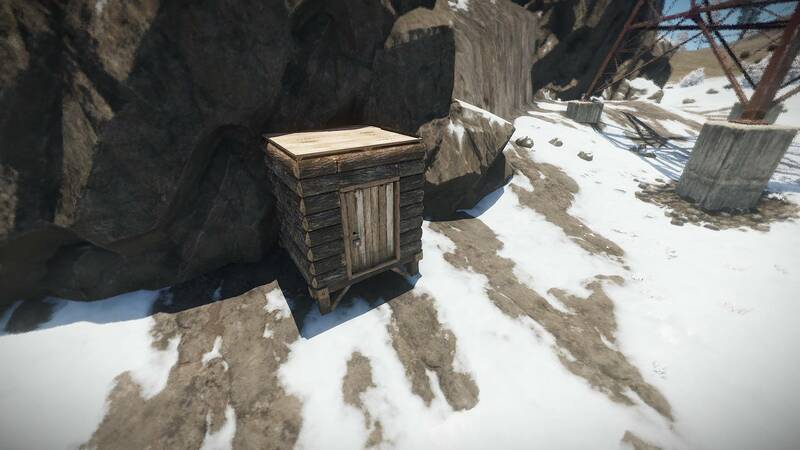 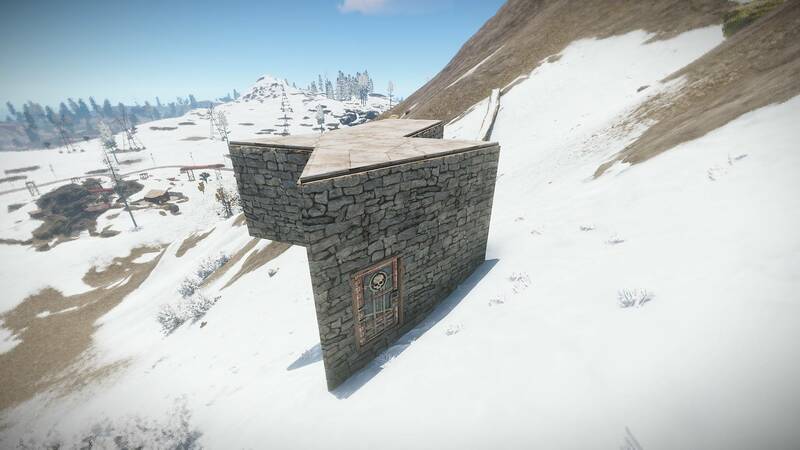 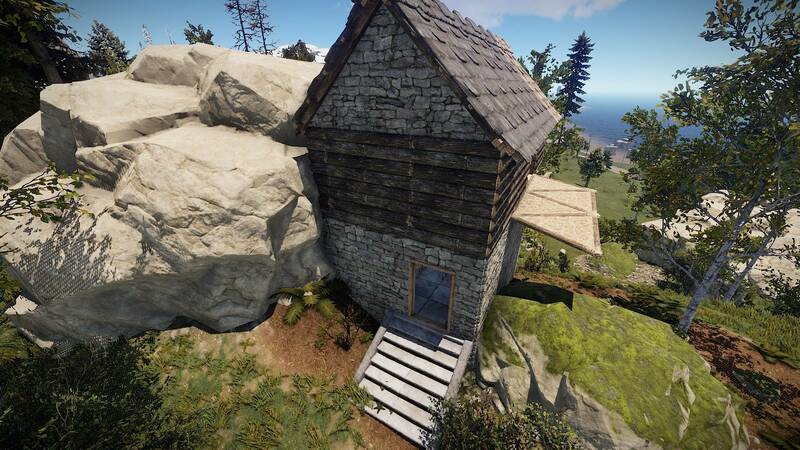 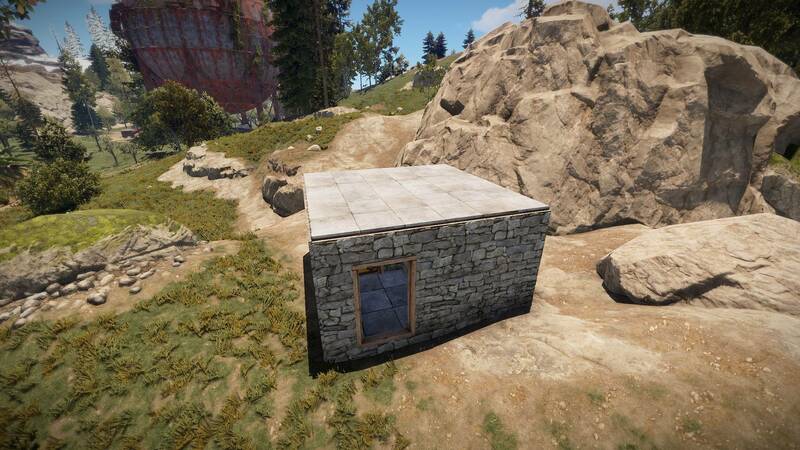 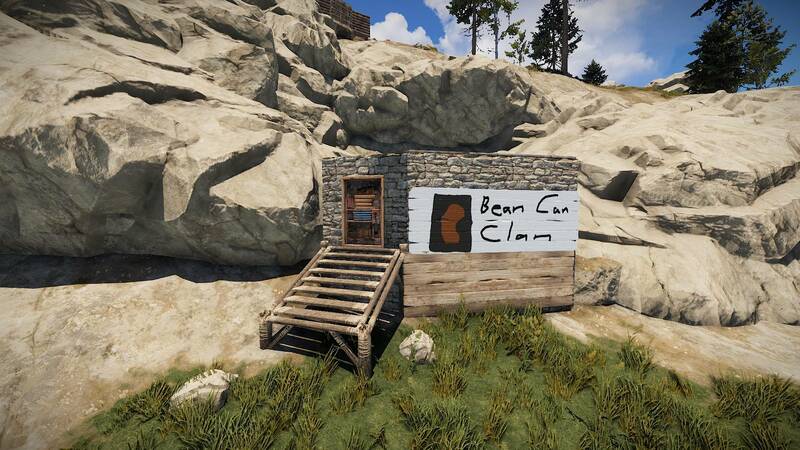 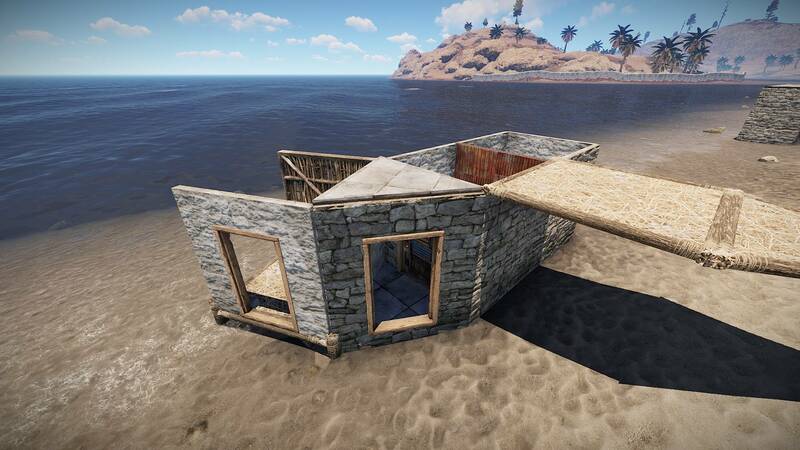 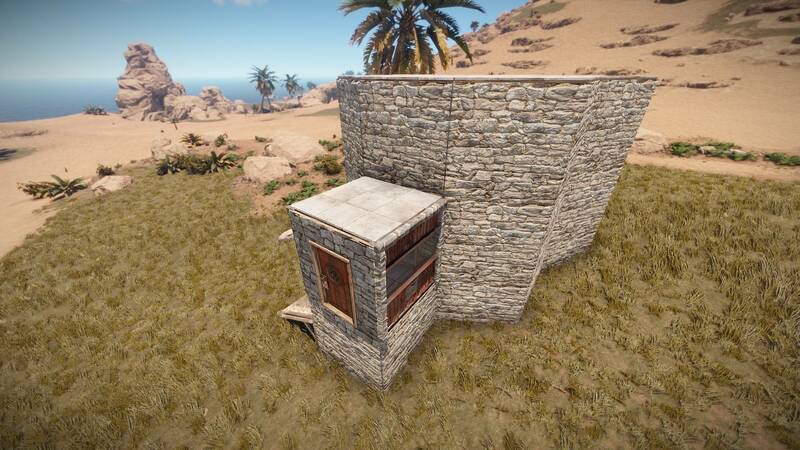 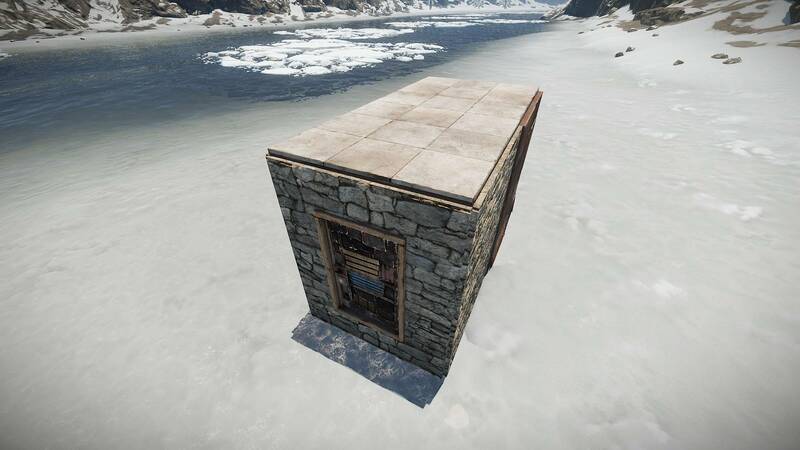 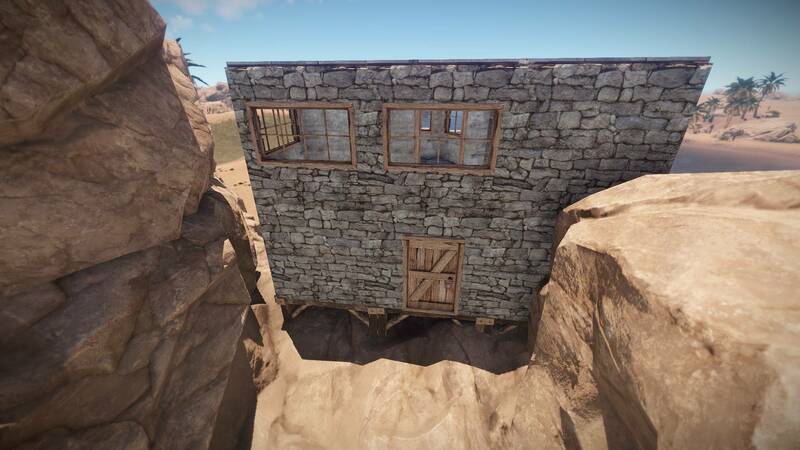 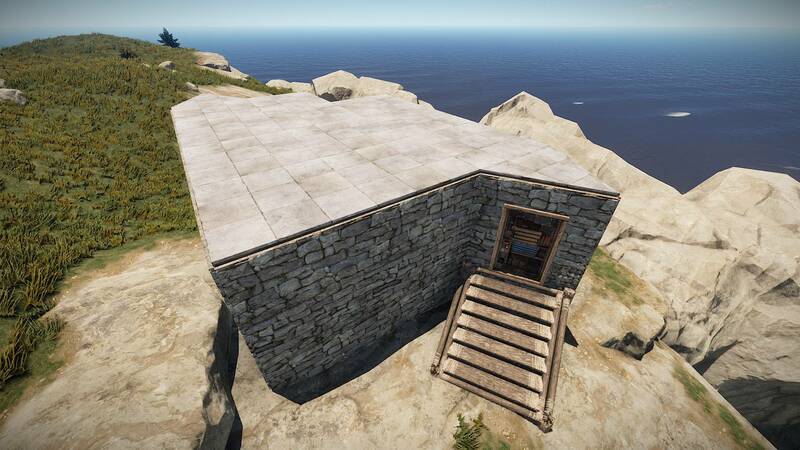 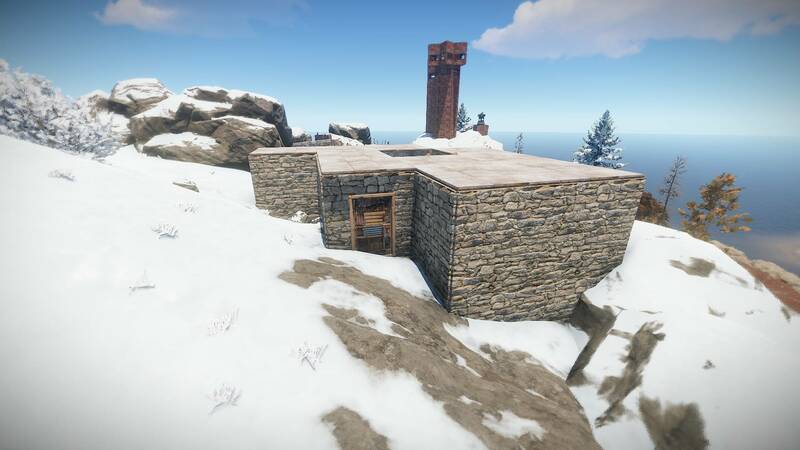 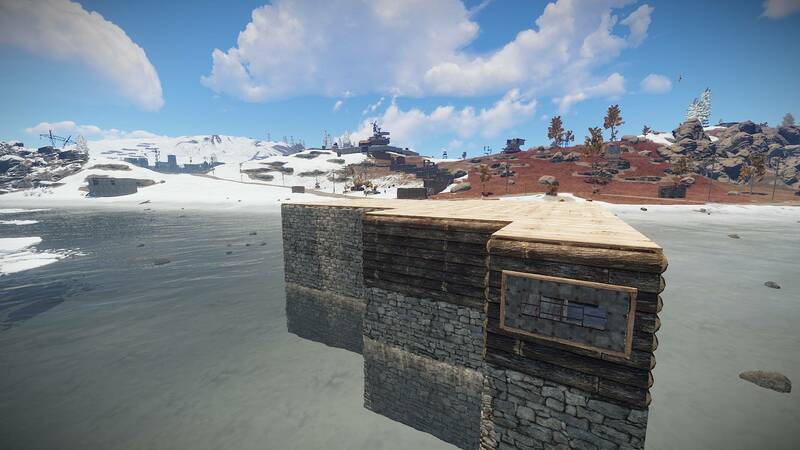 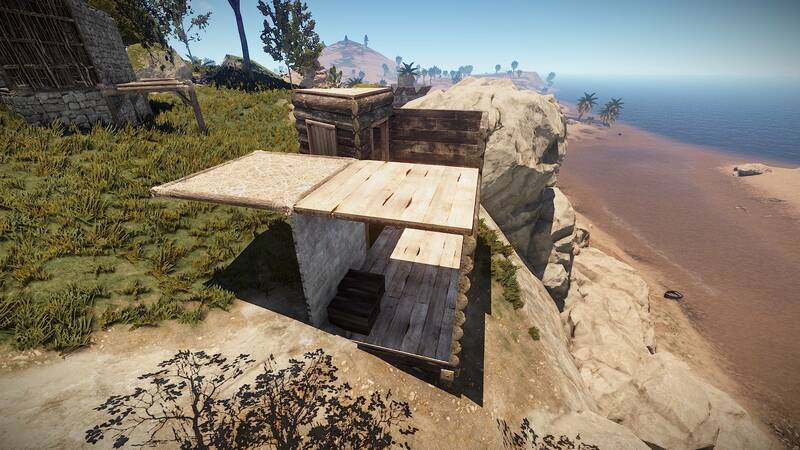 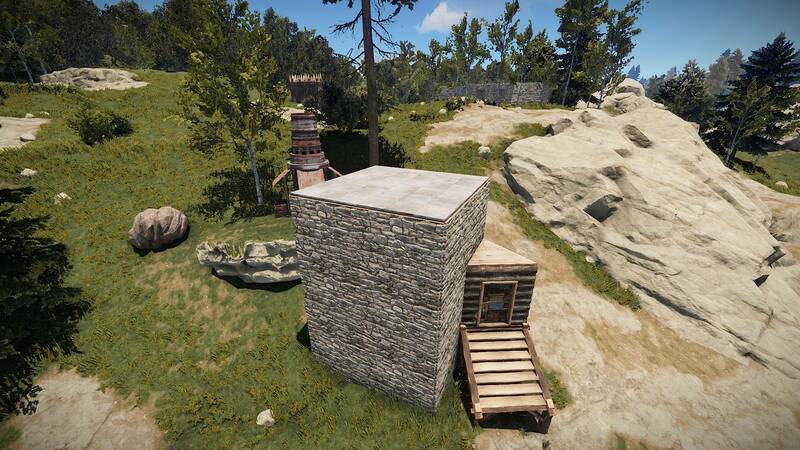 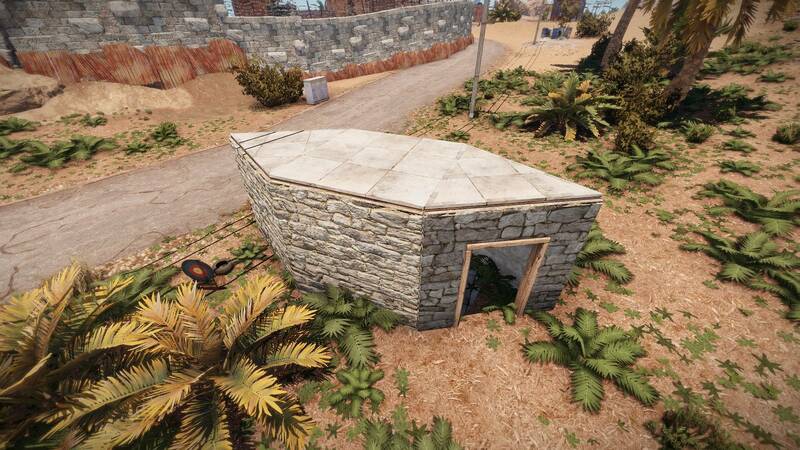 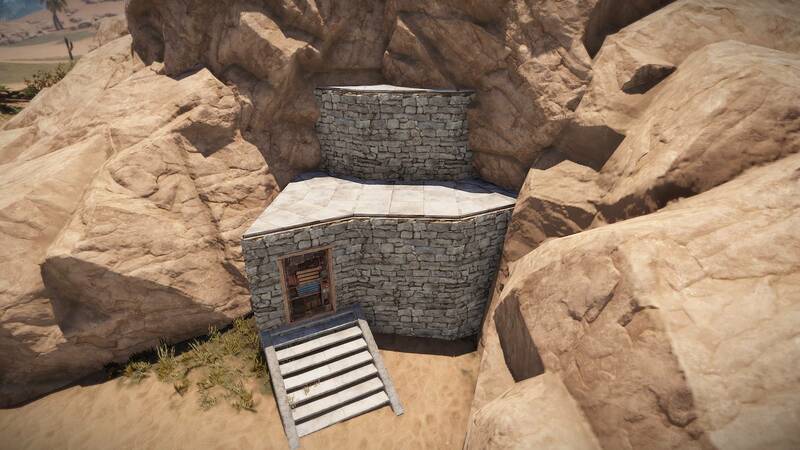 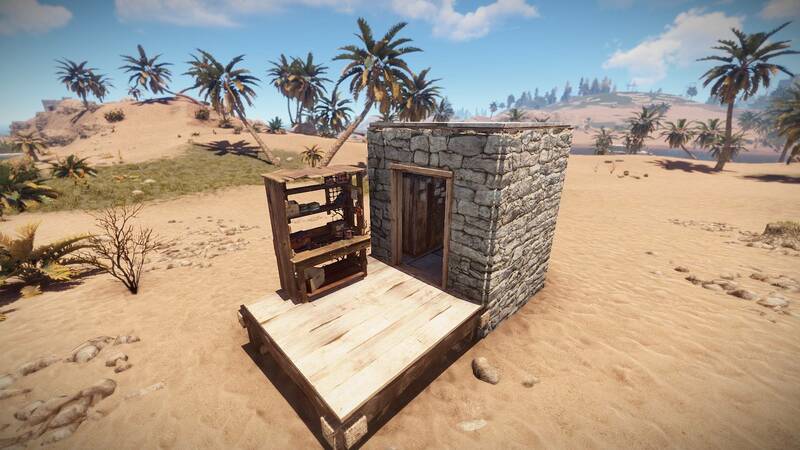 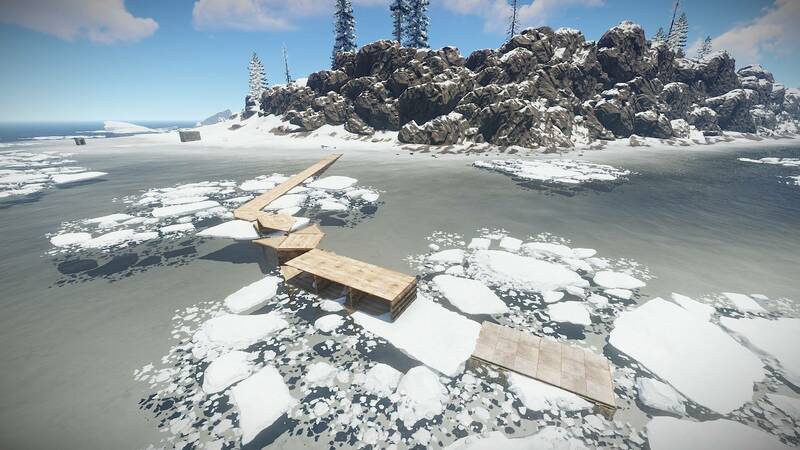 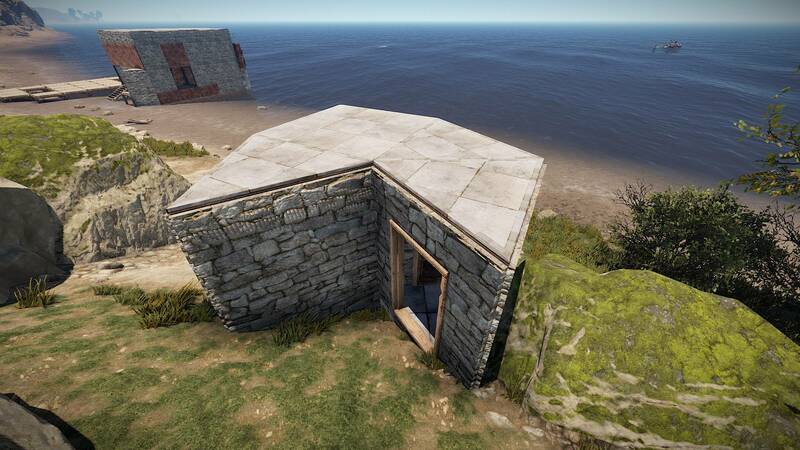 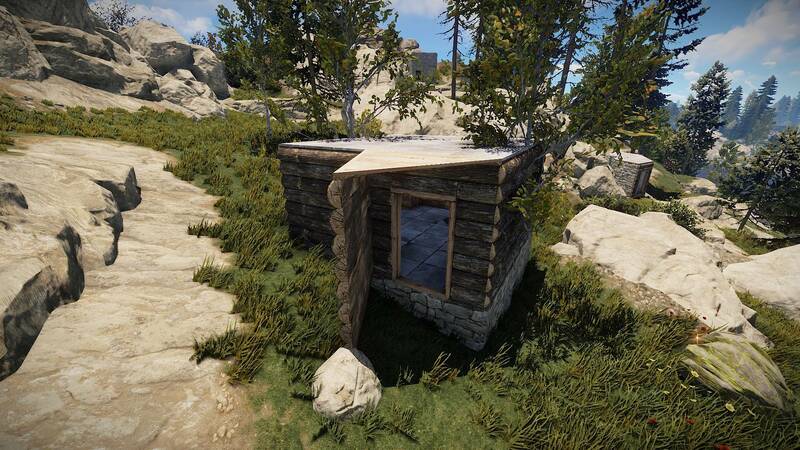 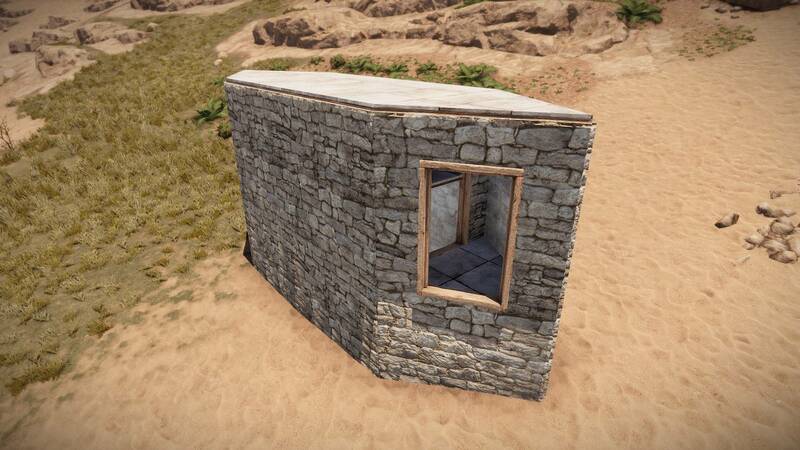 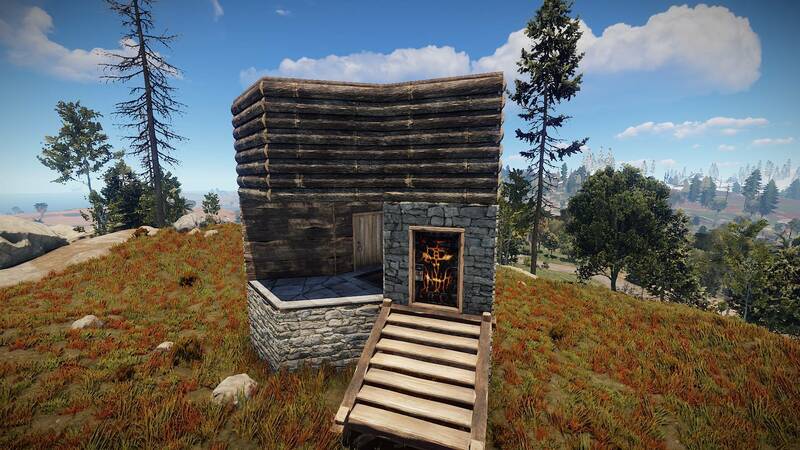 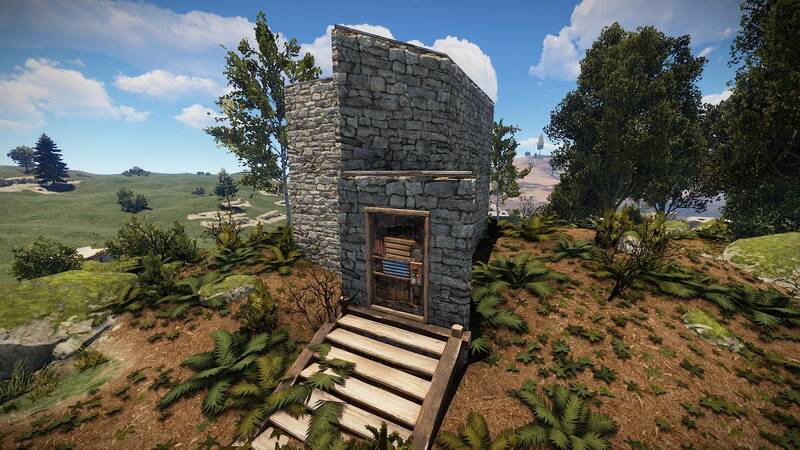 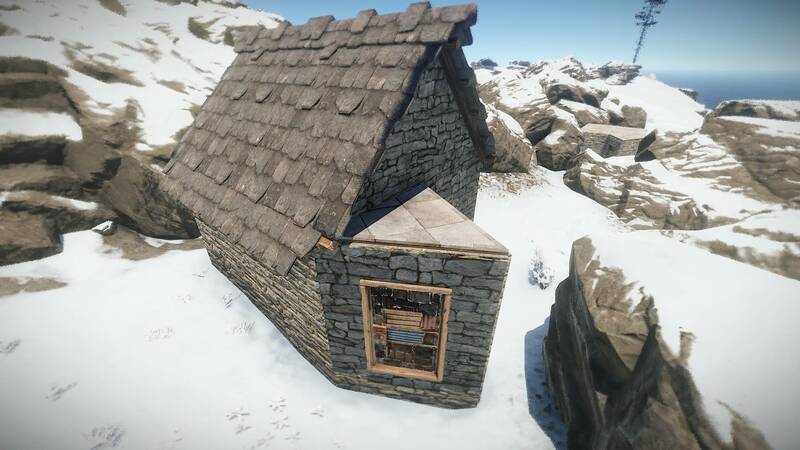 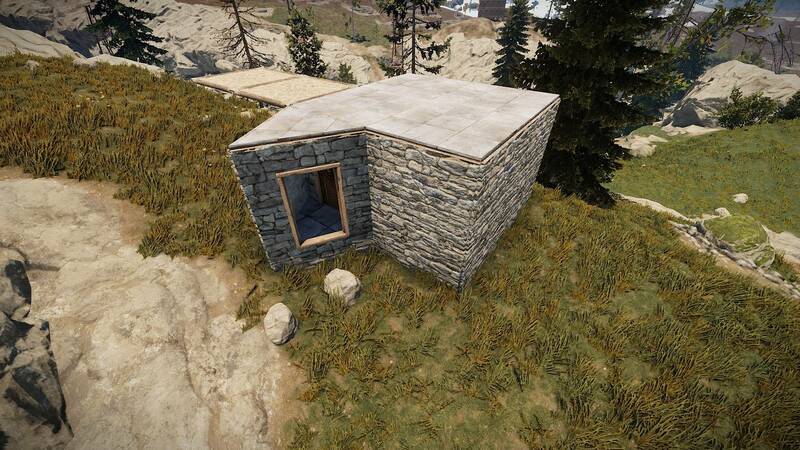 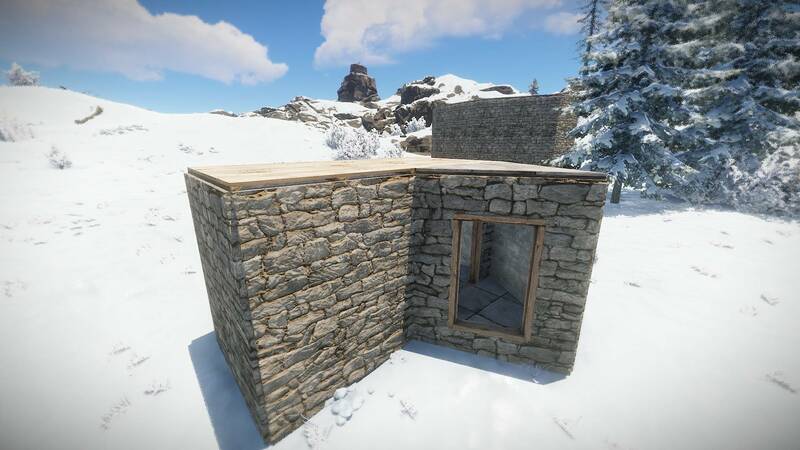 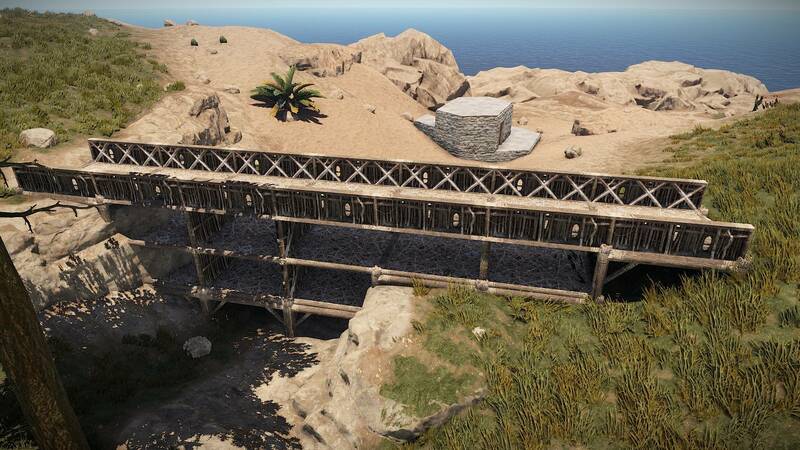 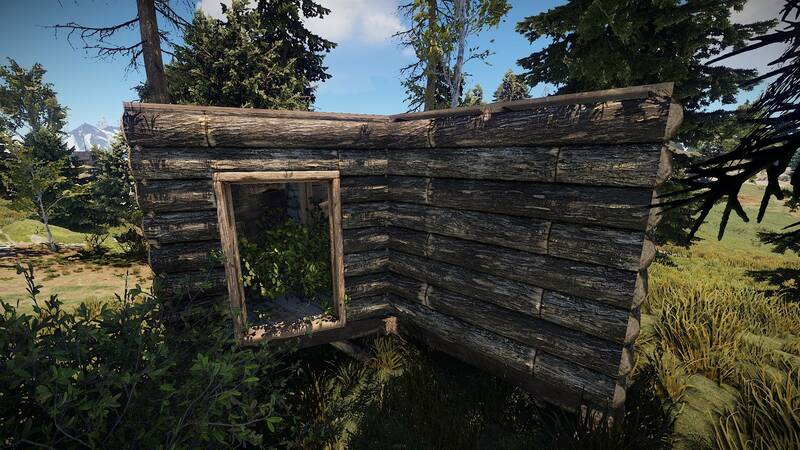 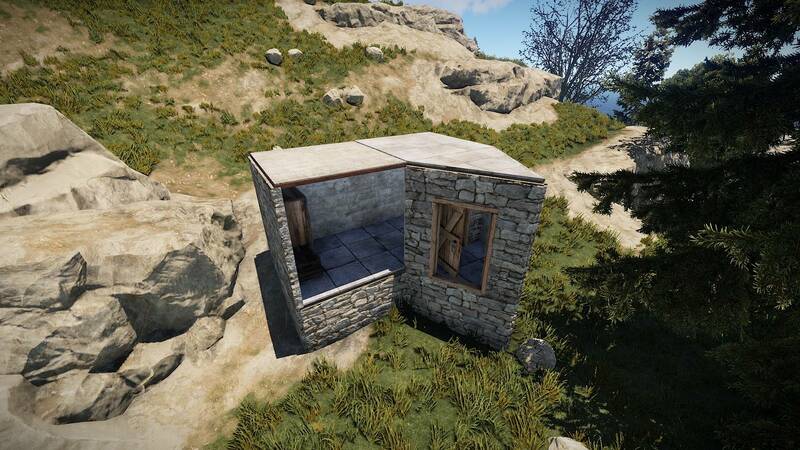 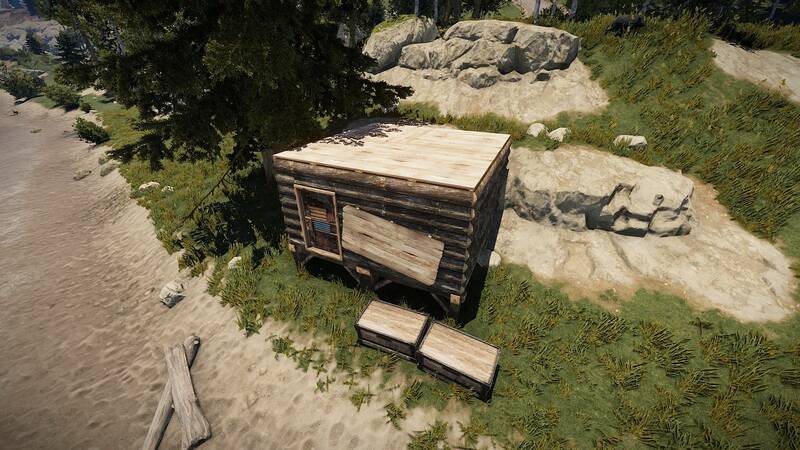 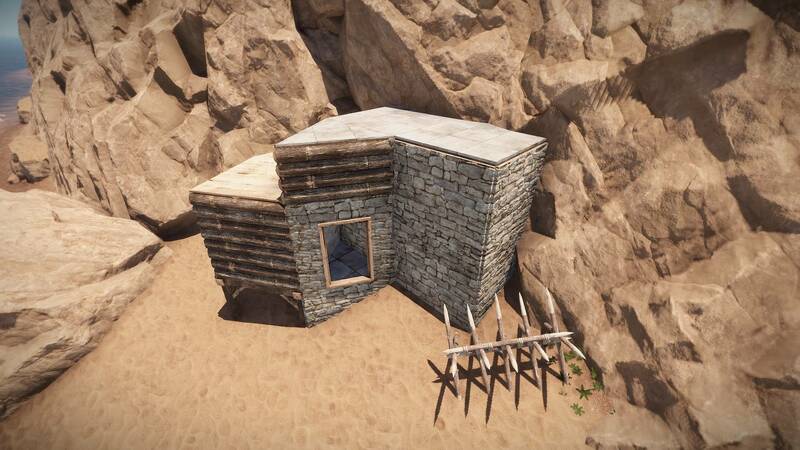 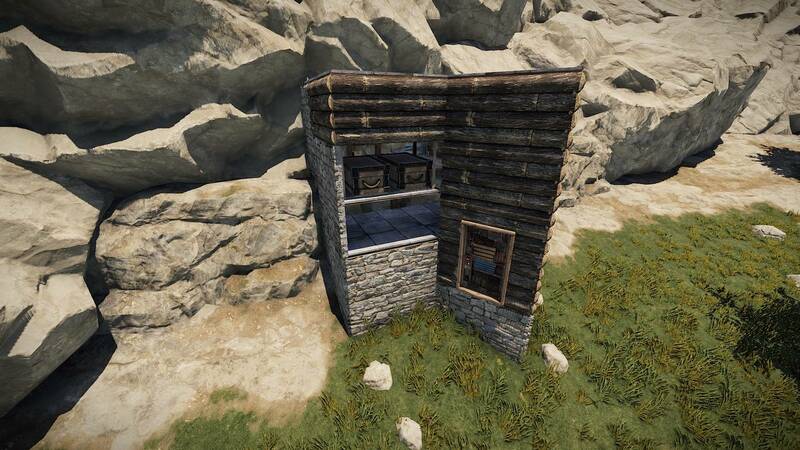 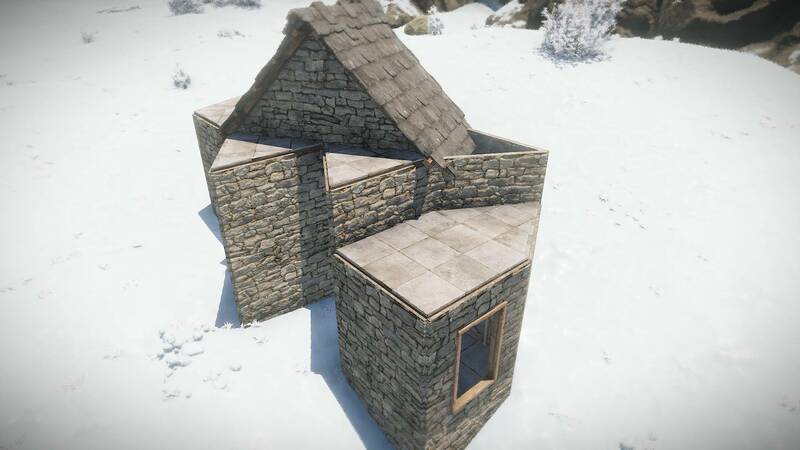 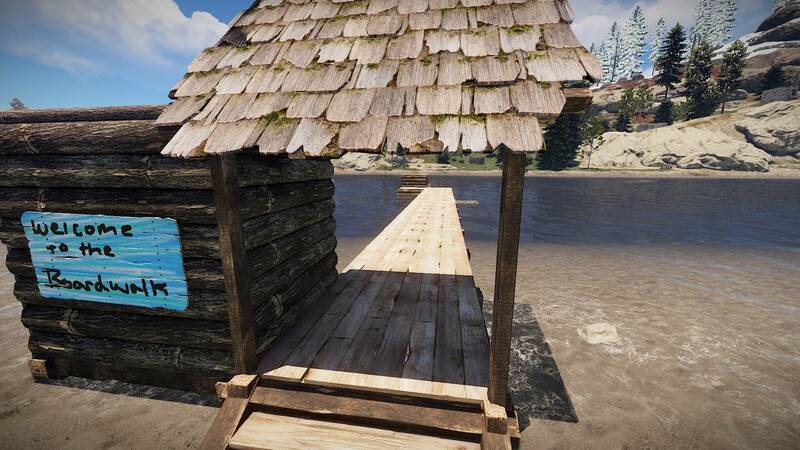 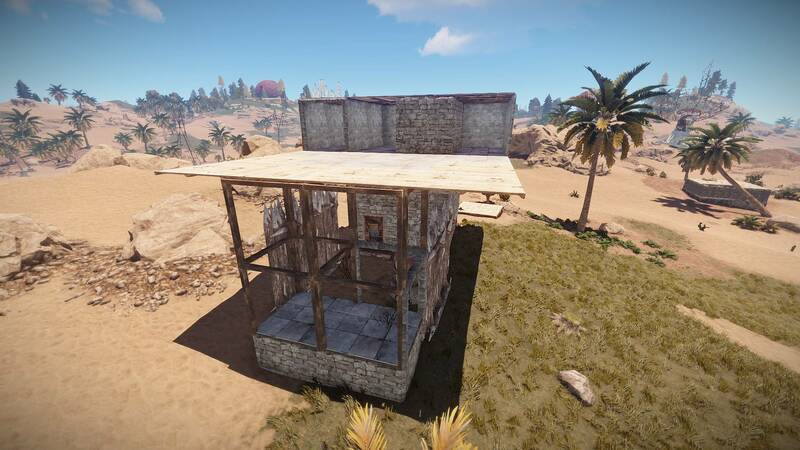 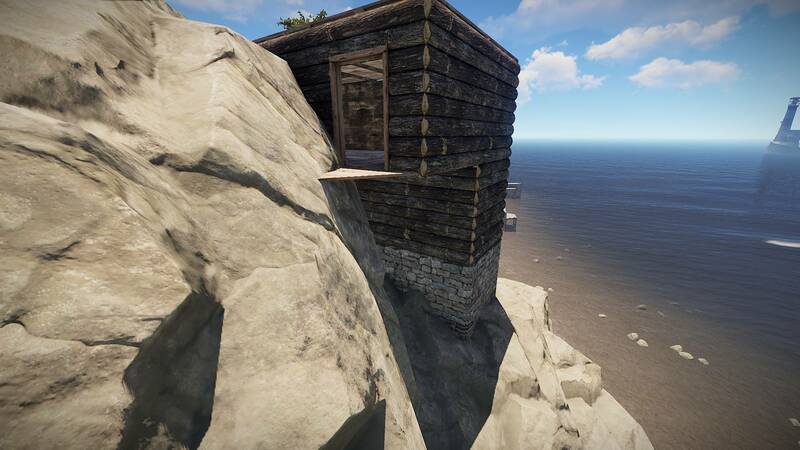 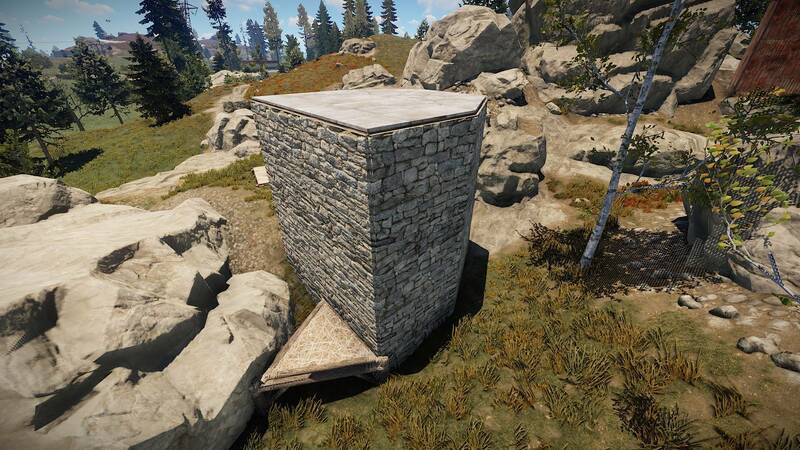 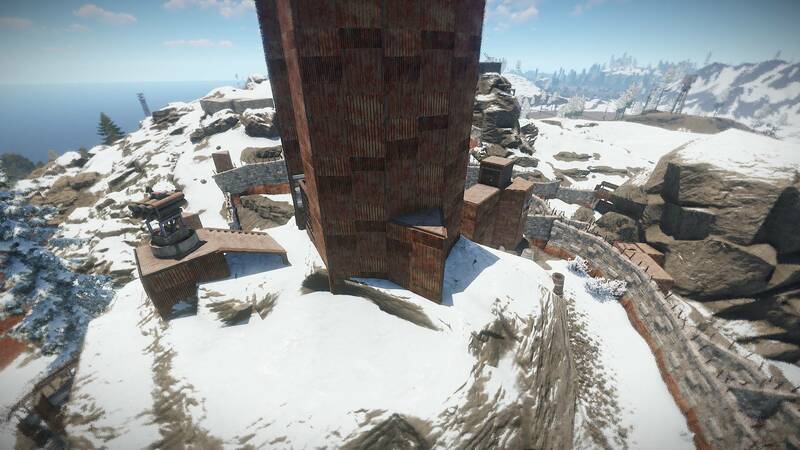 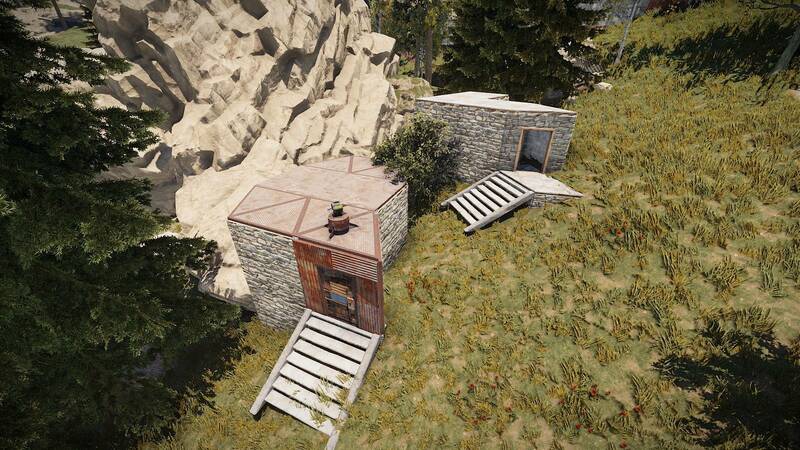 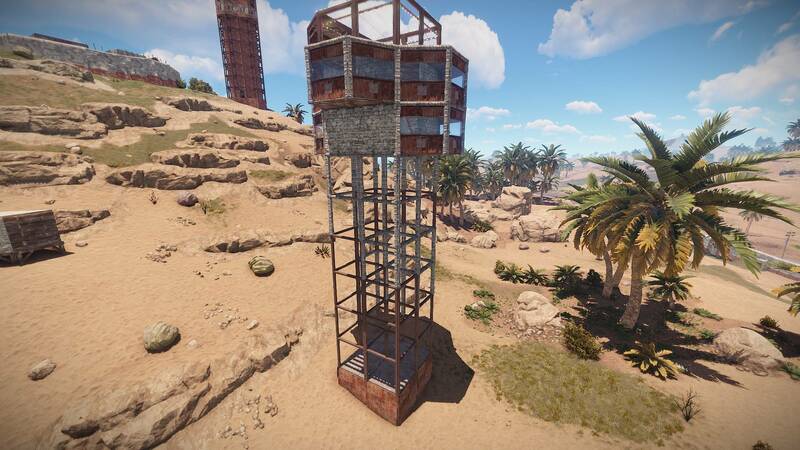 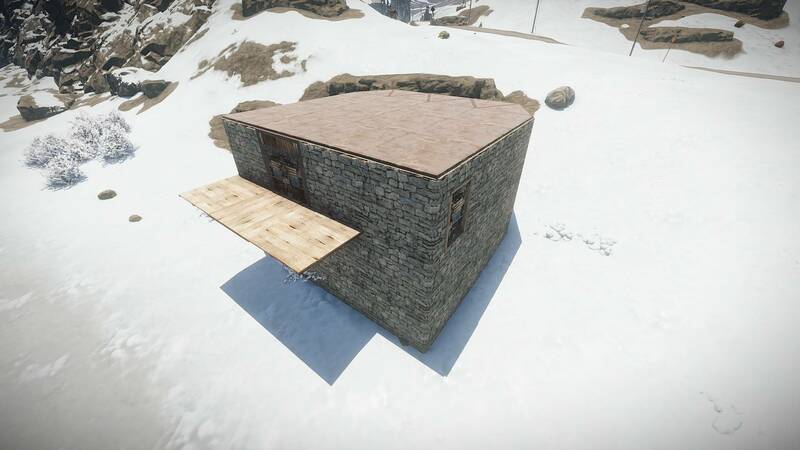 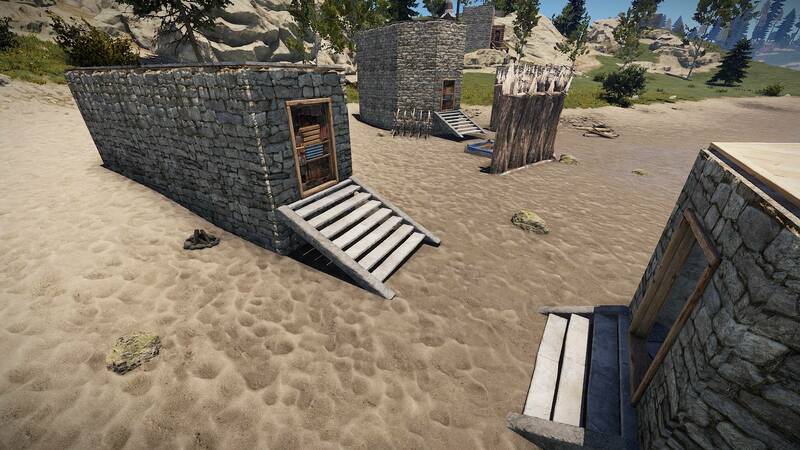 As RUST continues forward with its development, each update has the potential to change the game’s core design mechanics. 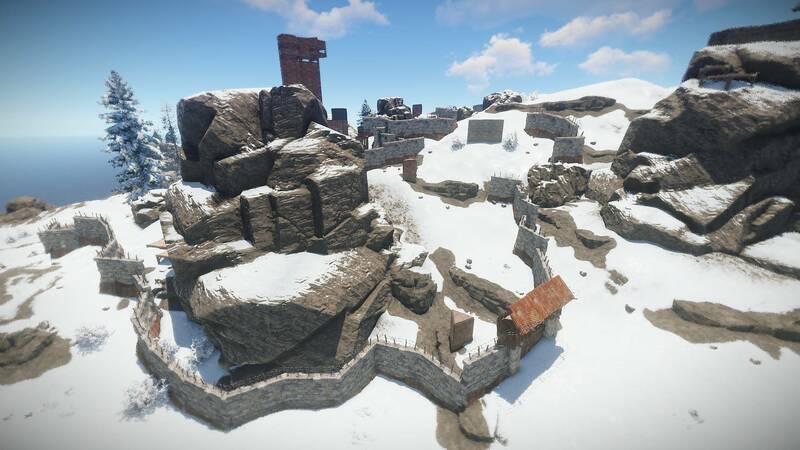 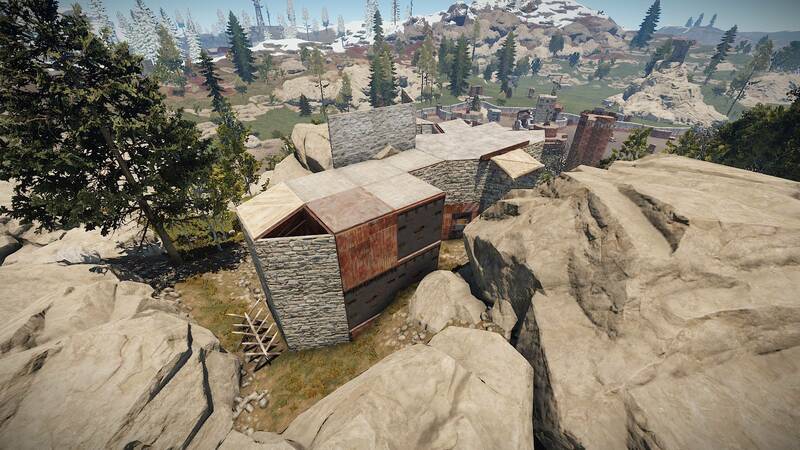 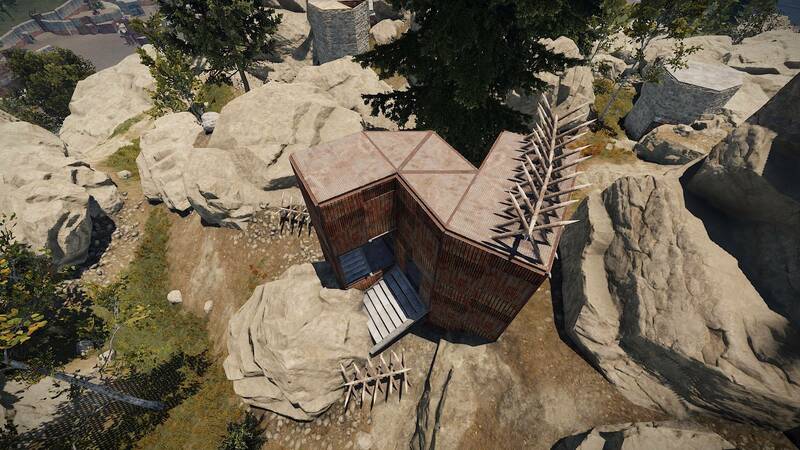 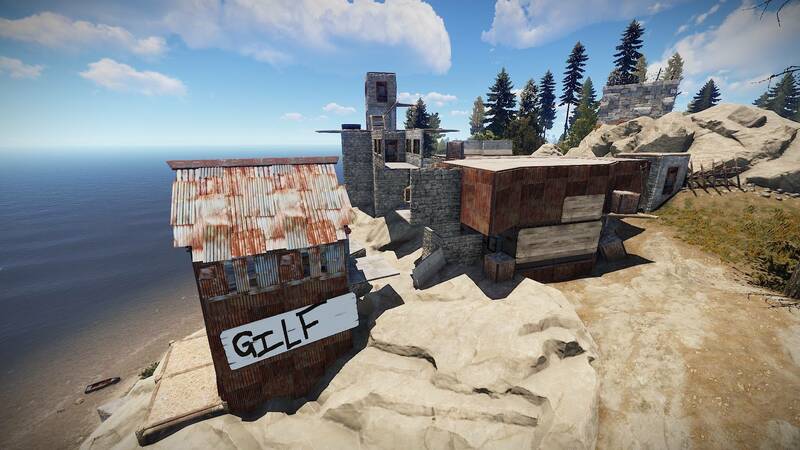 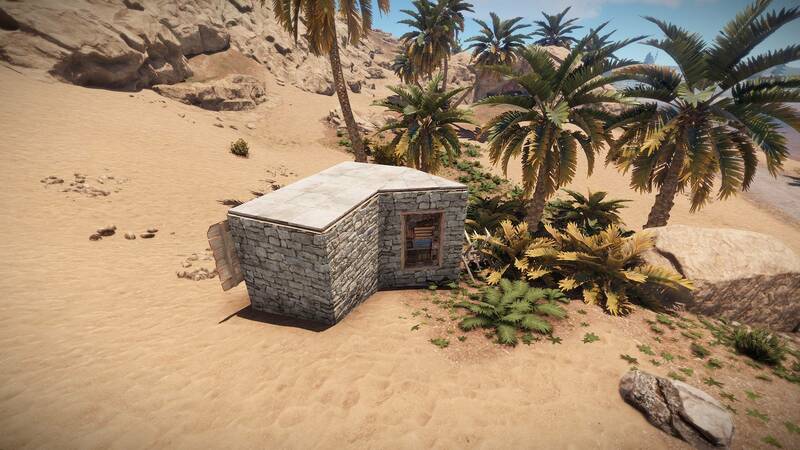 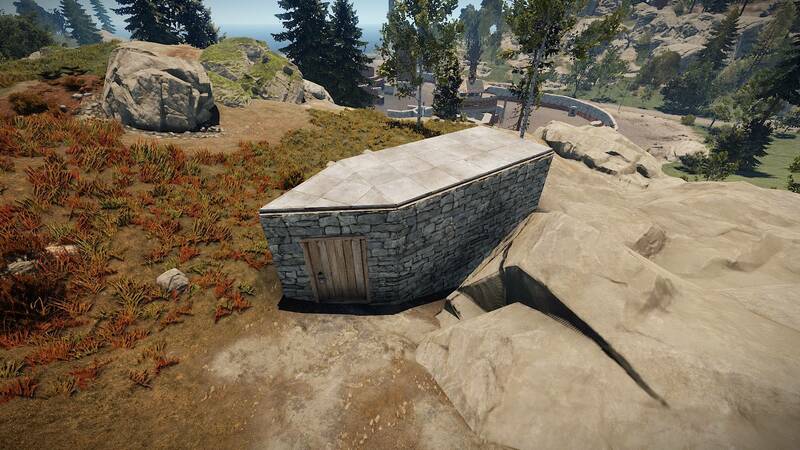 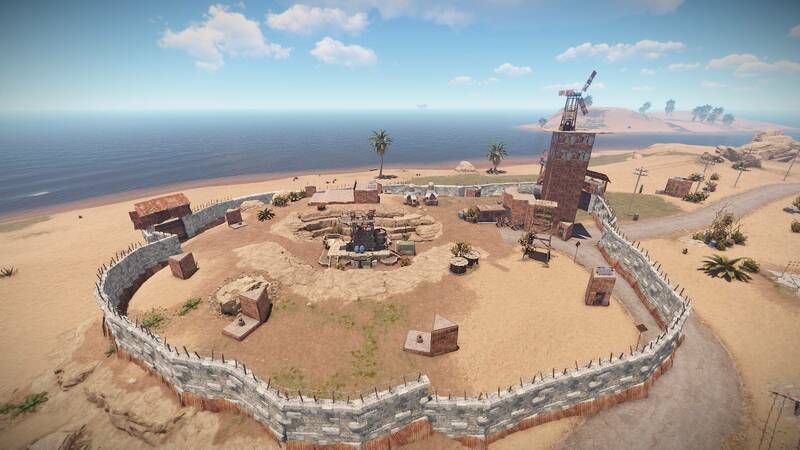 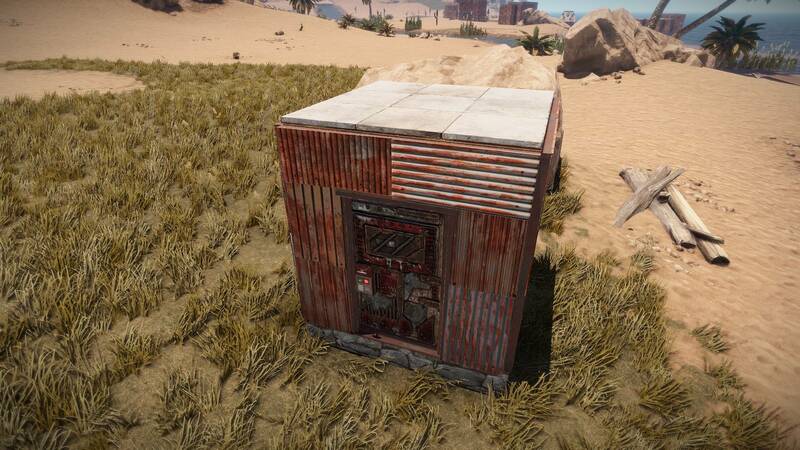 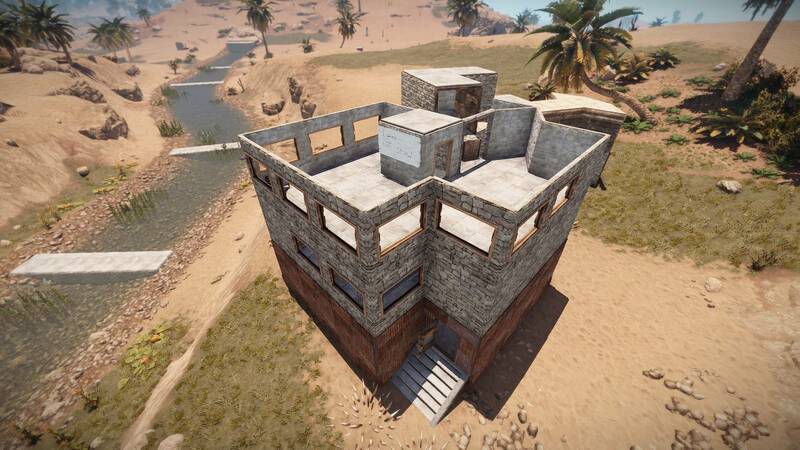 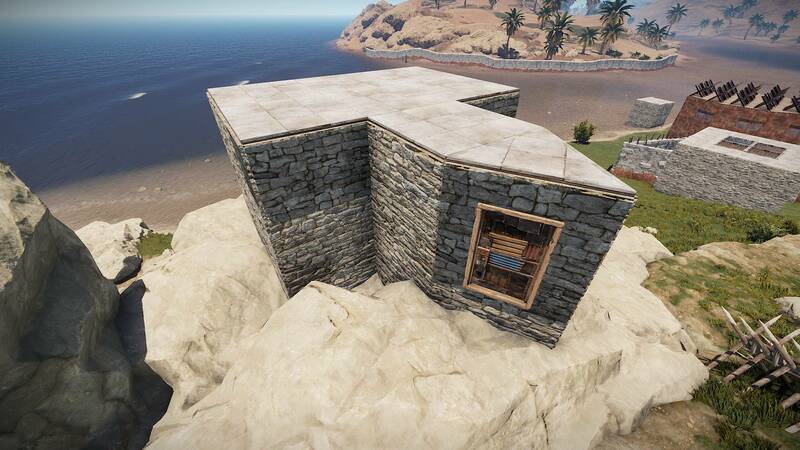 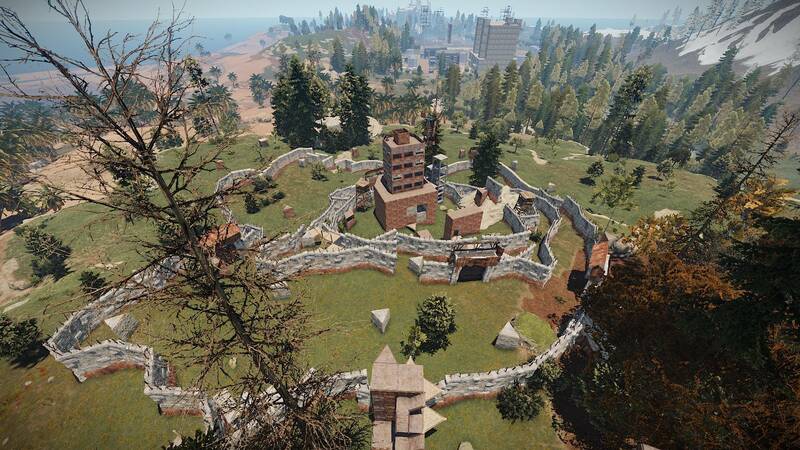 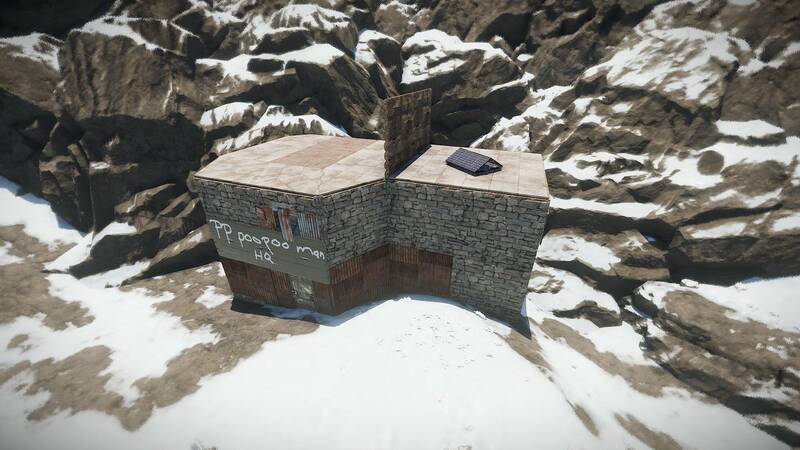 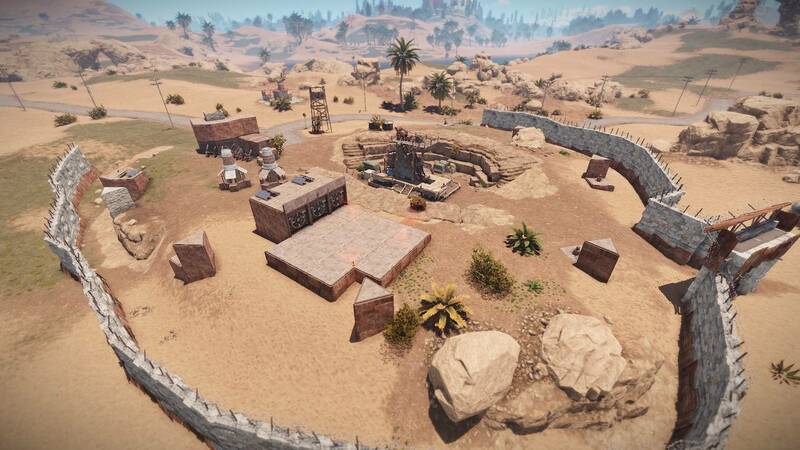 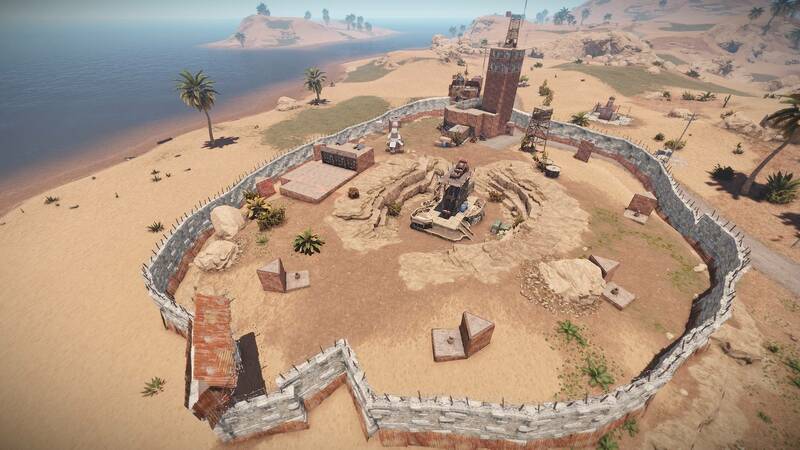 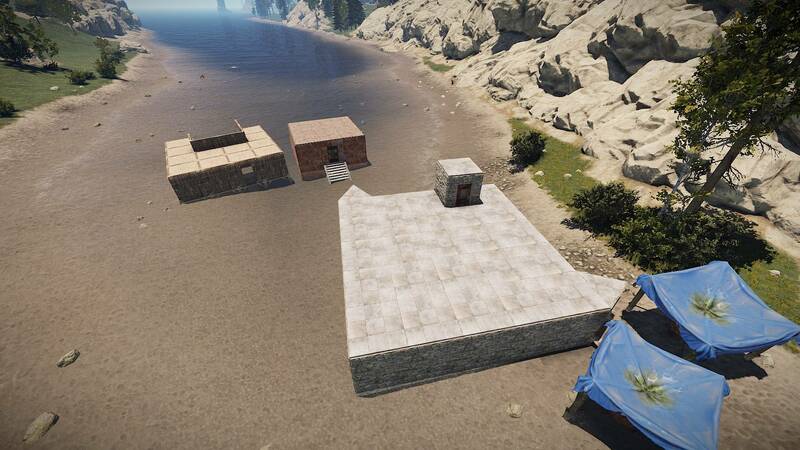 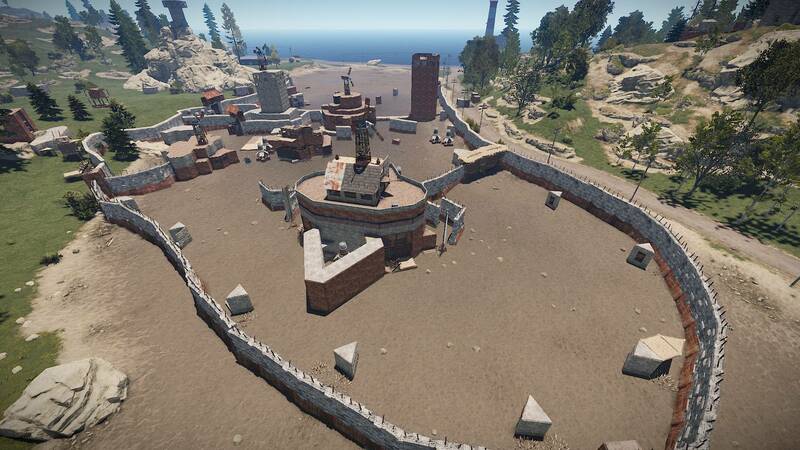 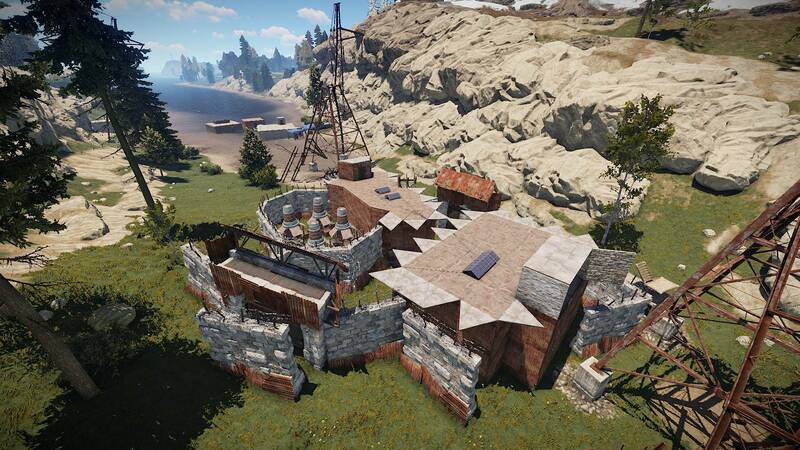 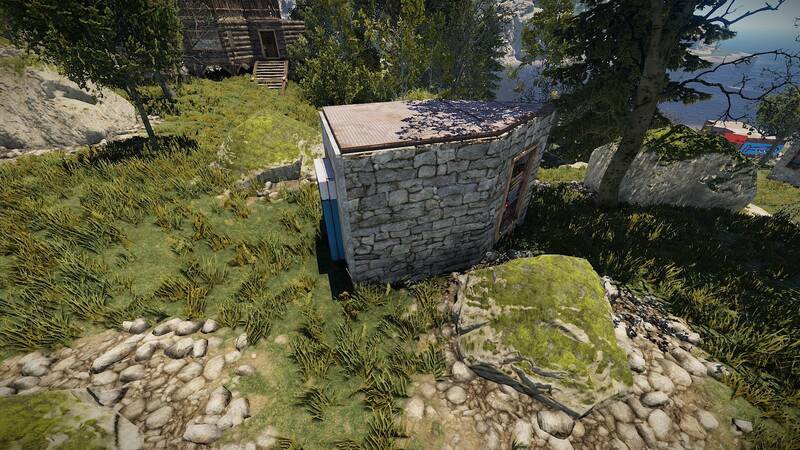 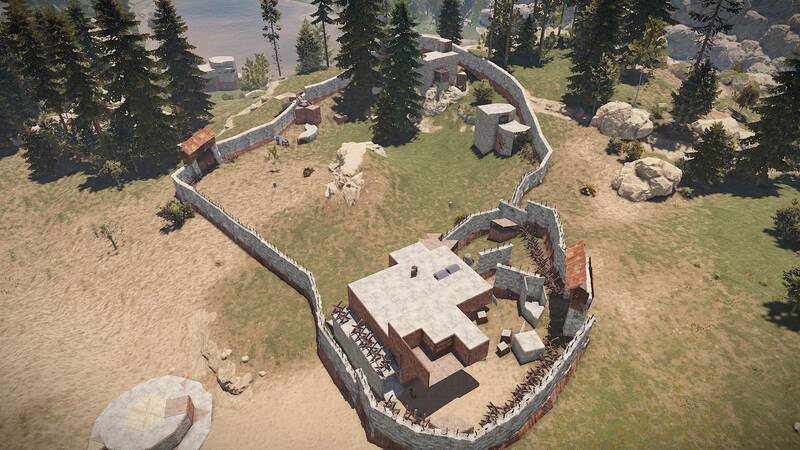 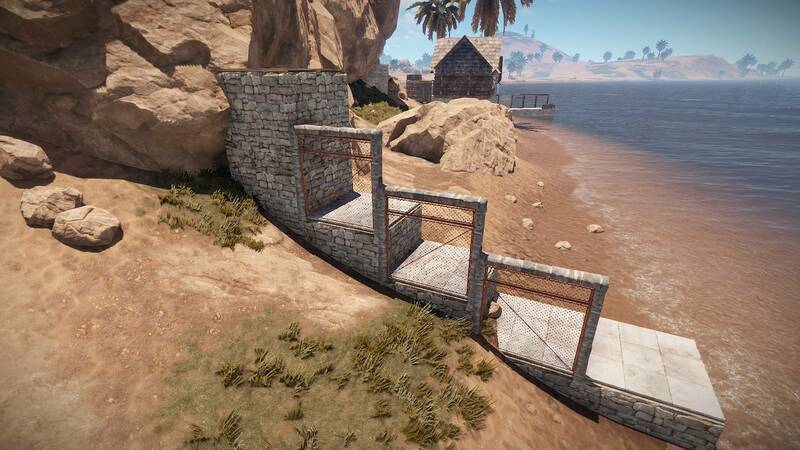 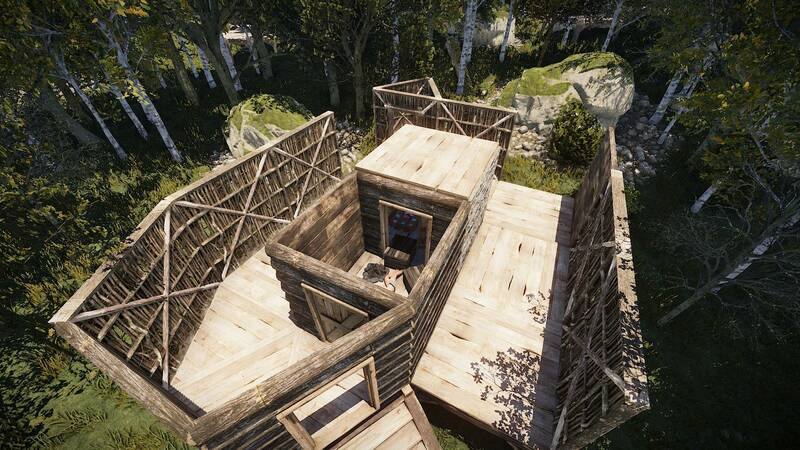 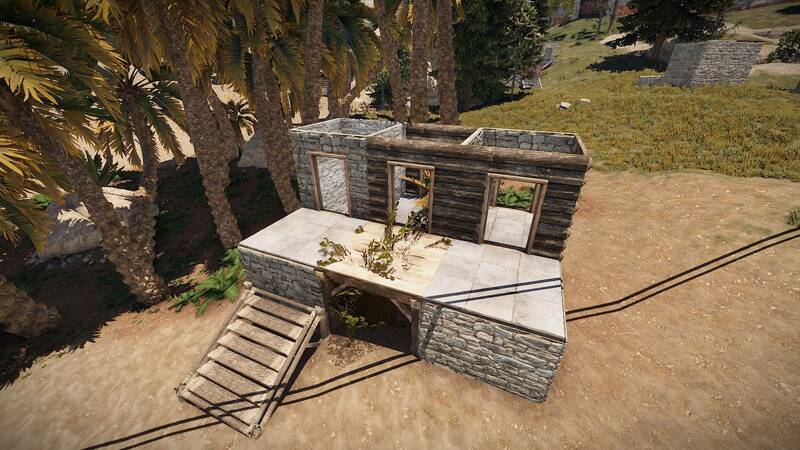 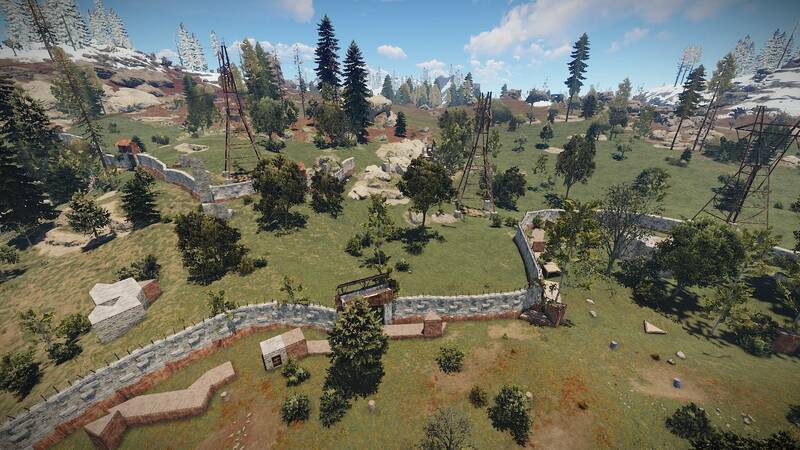 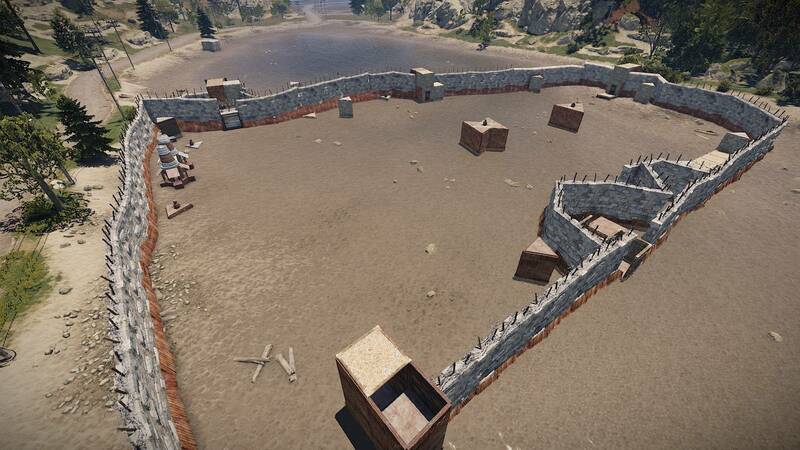 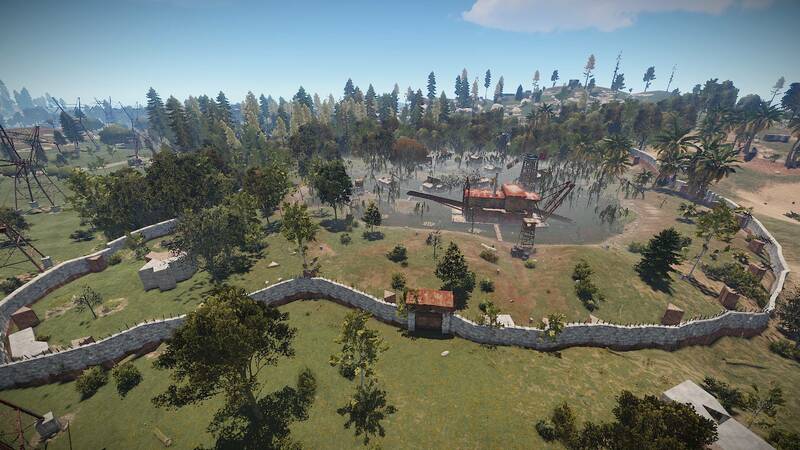 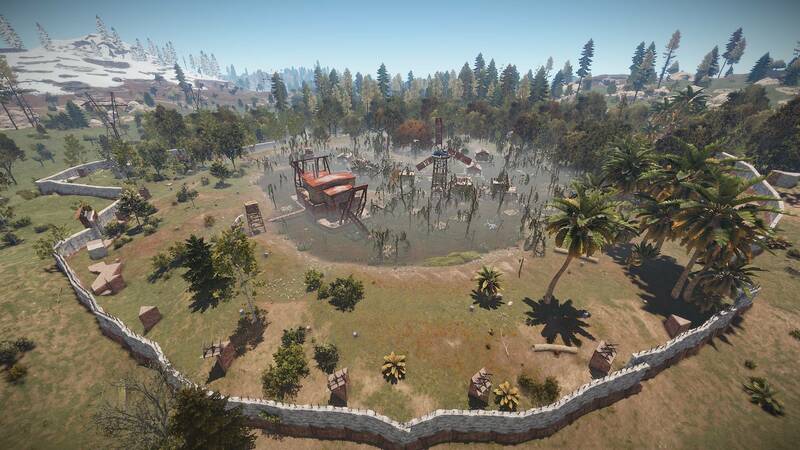 With our No Decay server, in particular, we wipe the map in synchronization with the official RUST update. 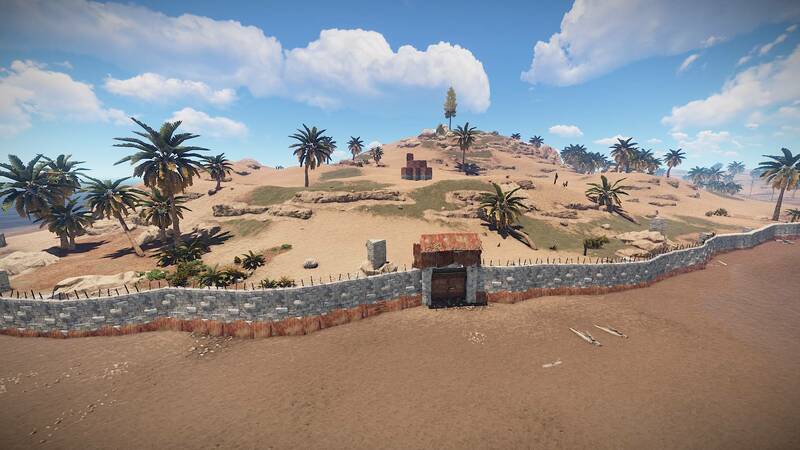 These updates occur on the first Thursday of every month and a fresh start across our server. 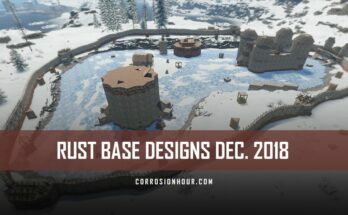 This month, we managed to capture more than 350+ base designs from our no decay, vanilla server. 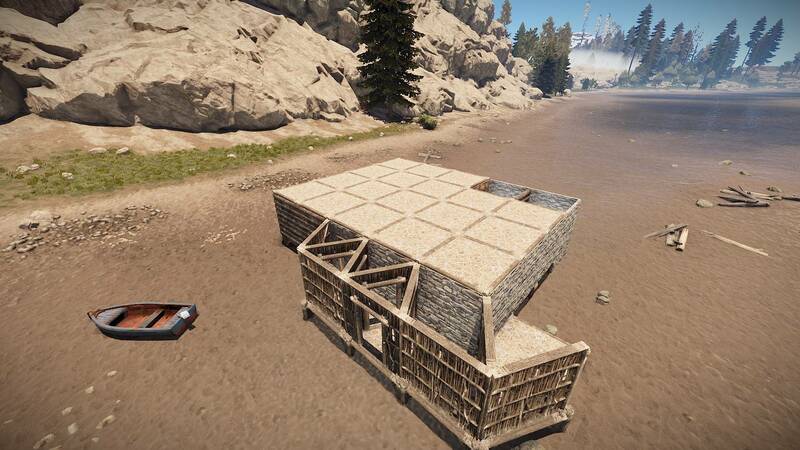 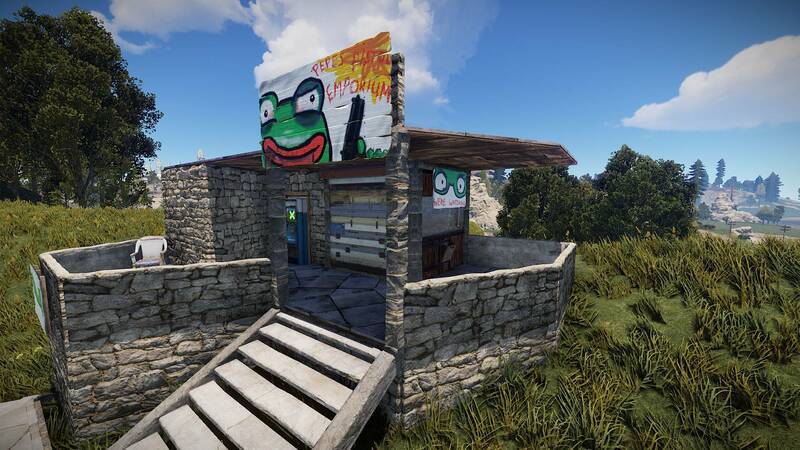 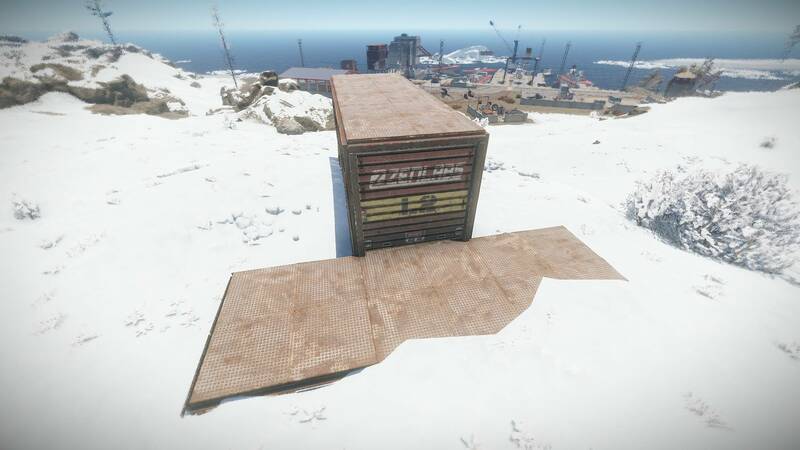 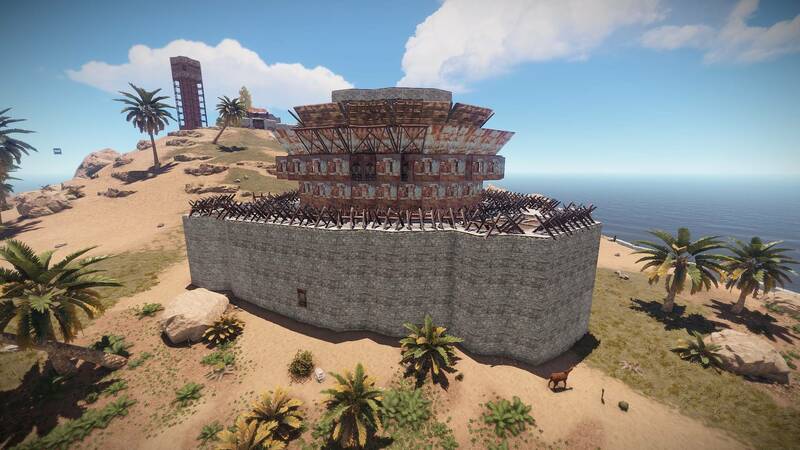 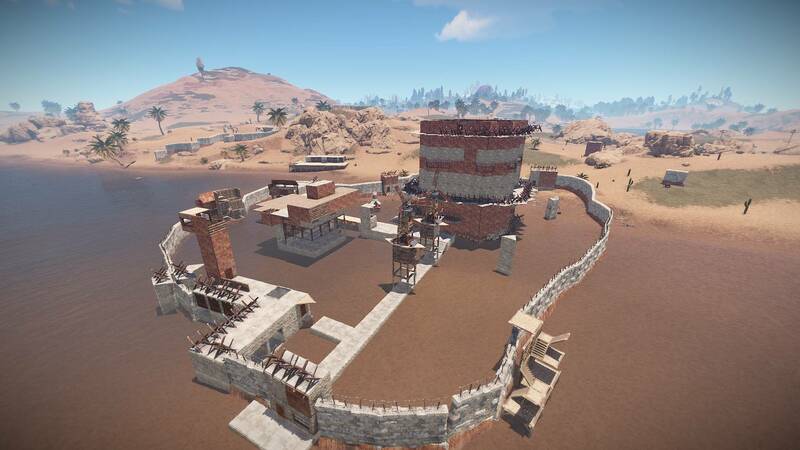 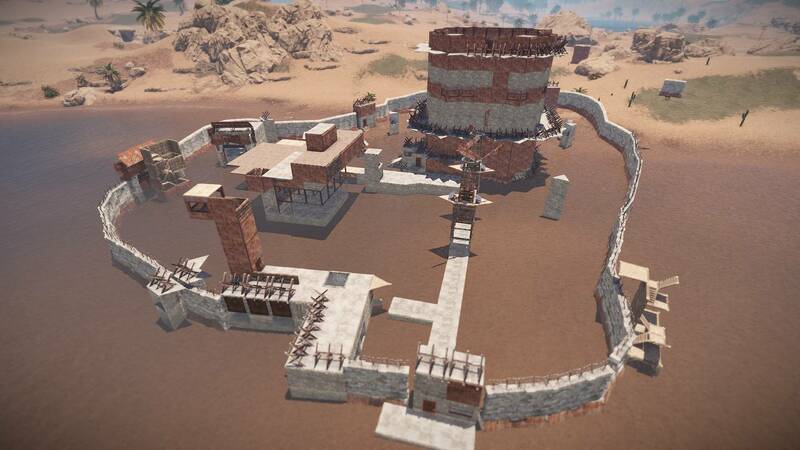 This wipe, across the entire server, we had a large assortment of rival groups band together. 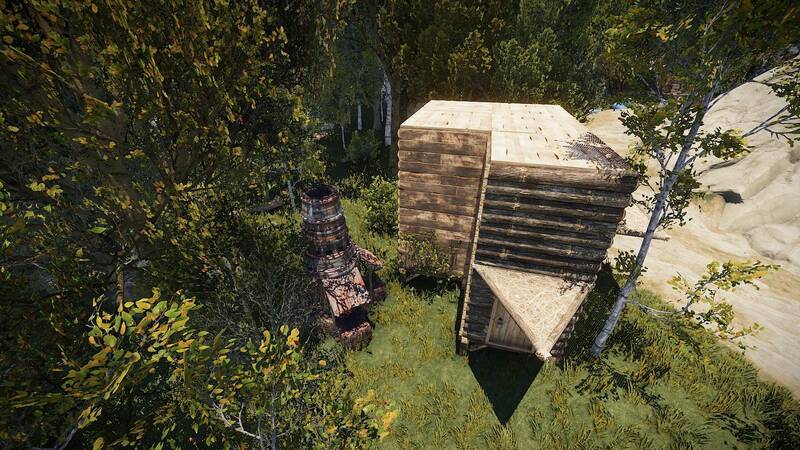 Numerous alliances and compounds were formed. 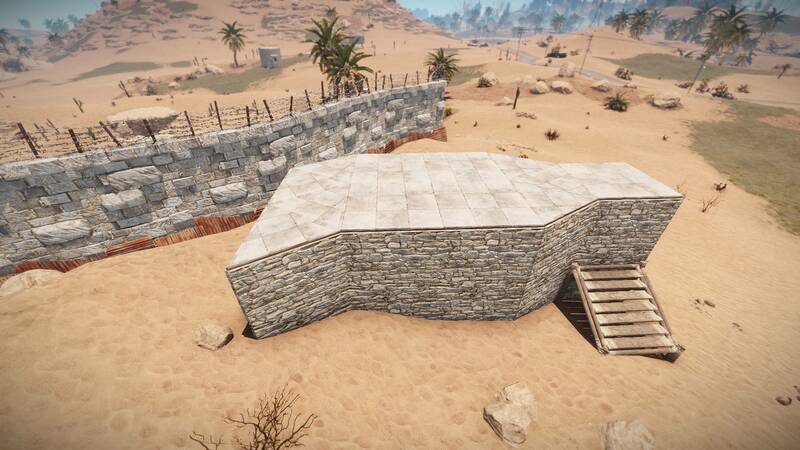 We also saw a reemergence of high walls being used to isolate certain monuments. 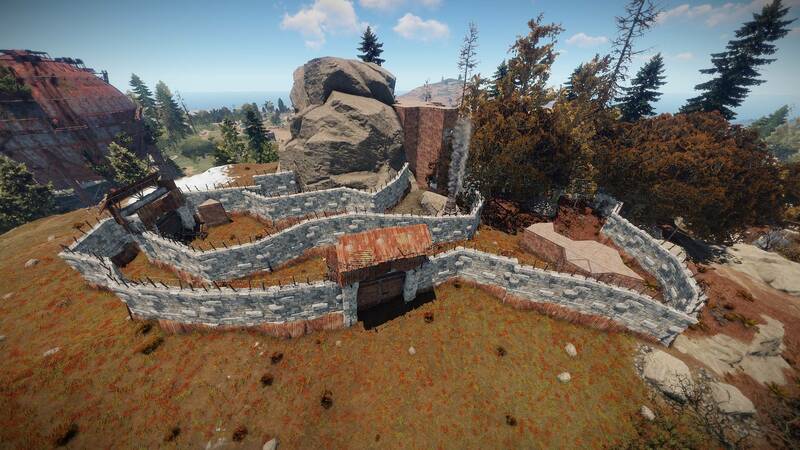 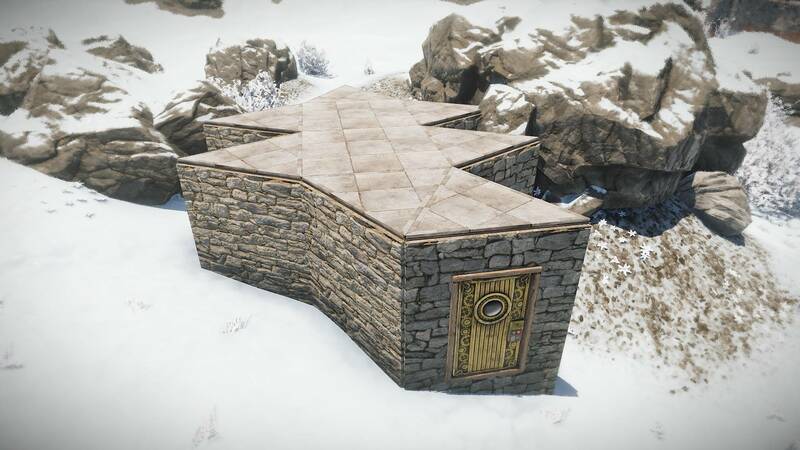 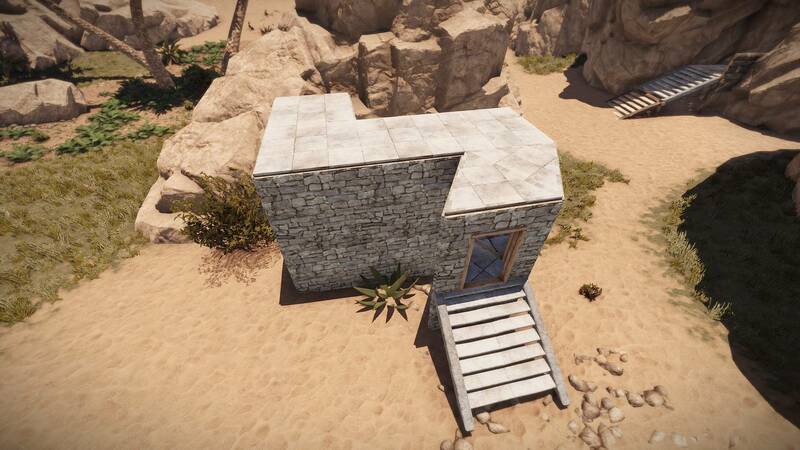 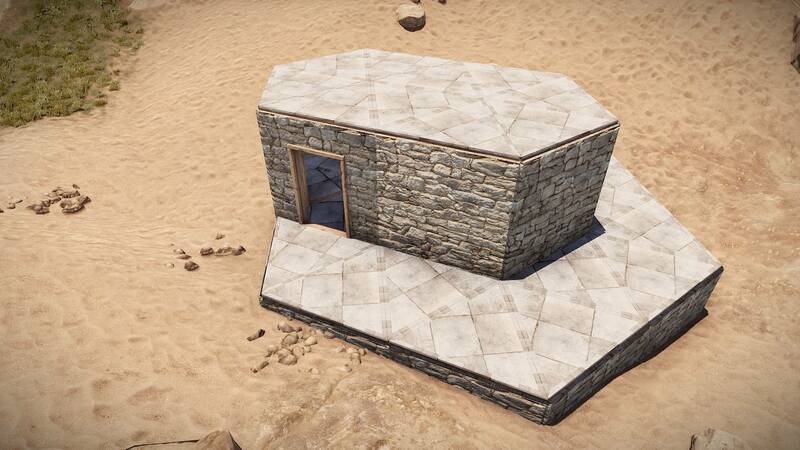 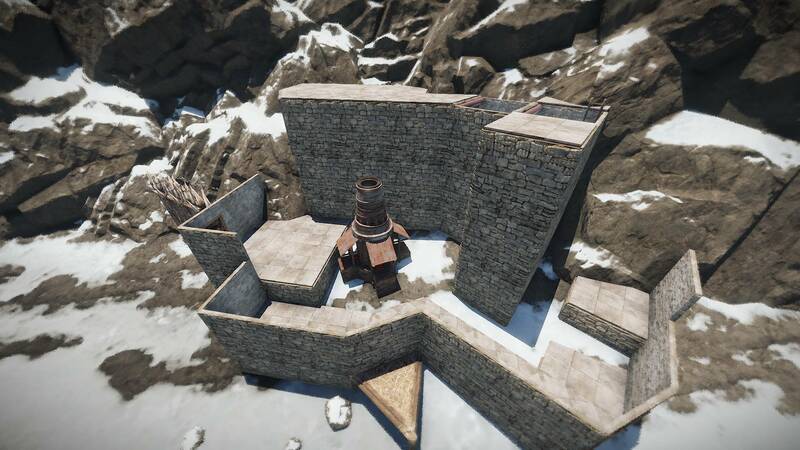 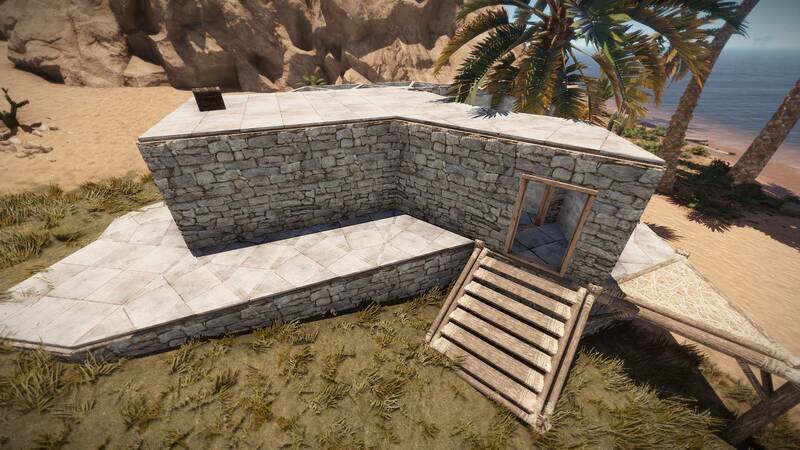 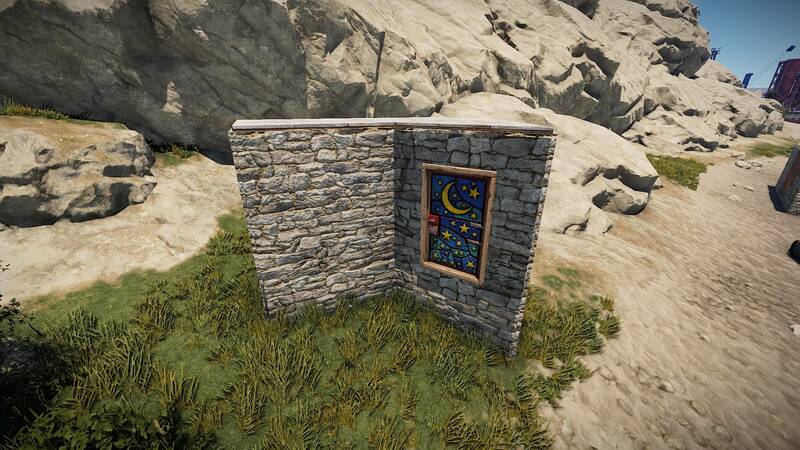 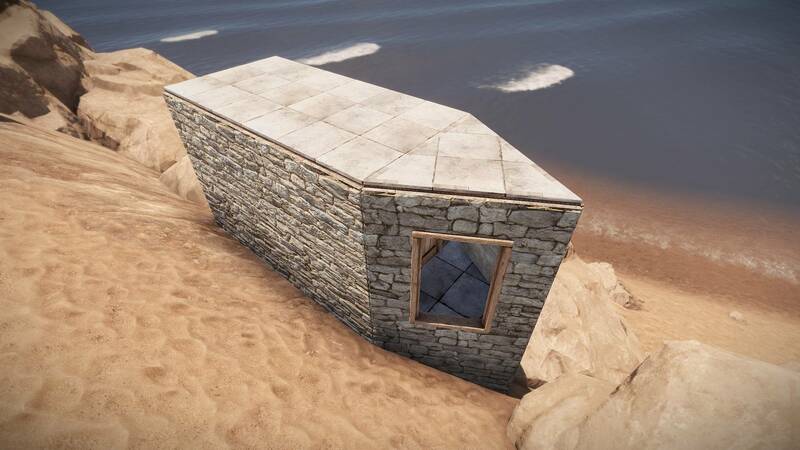 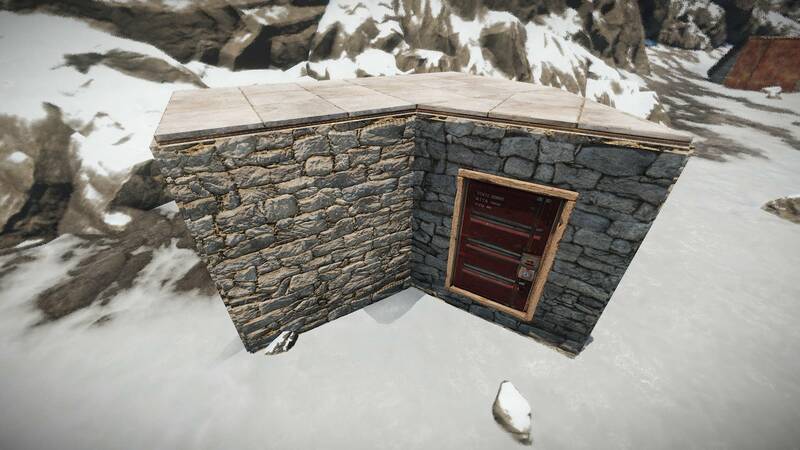 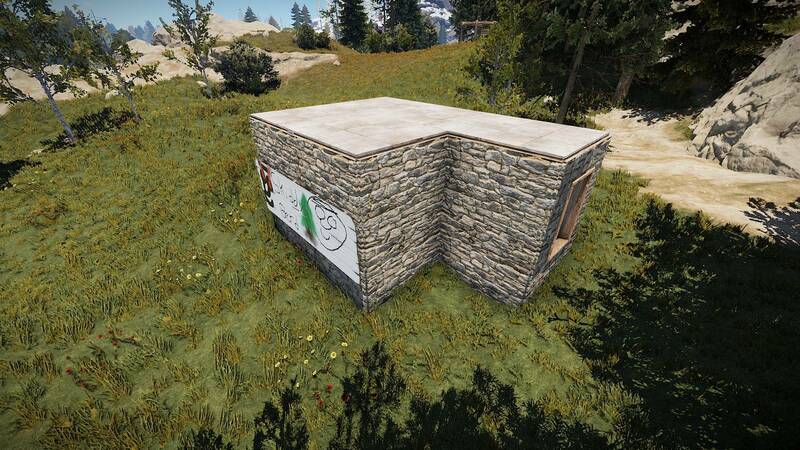 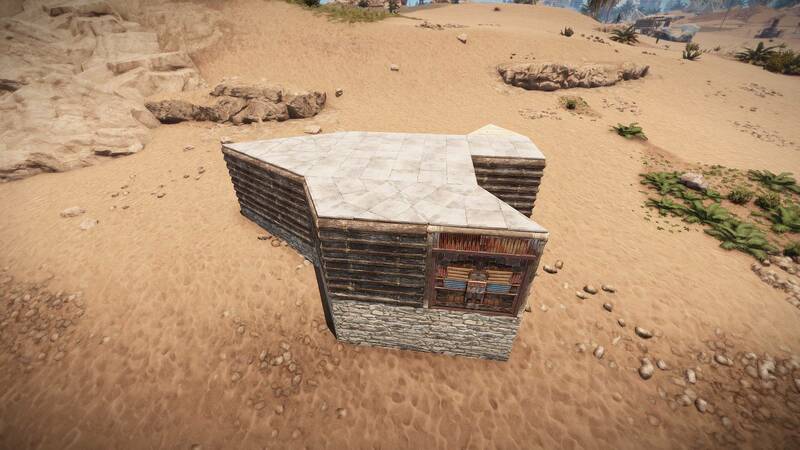 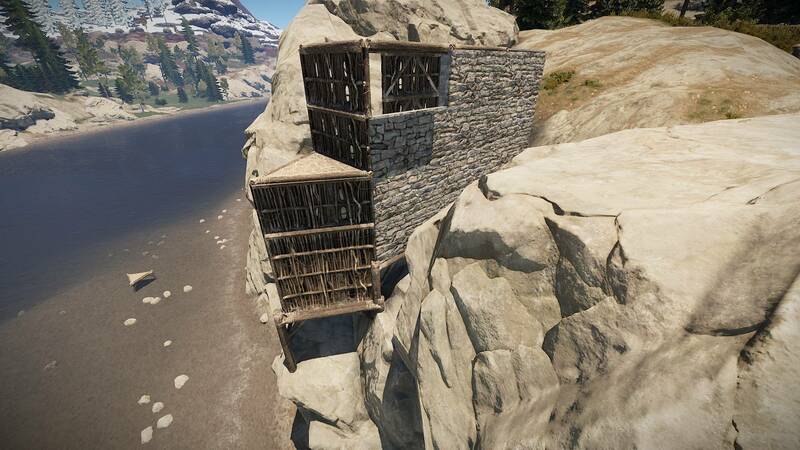 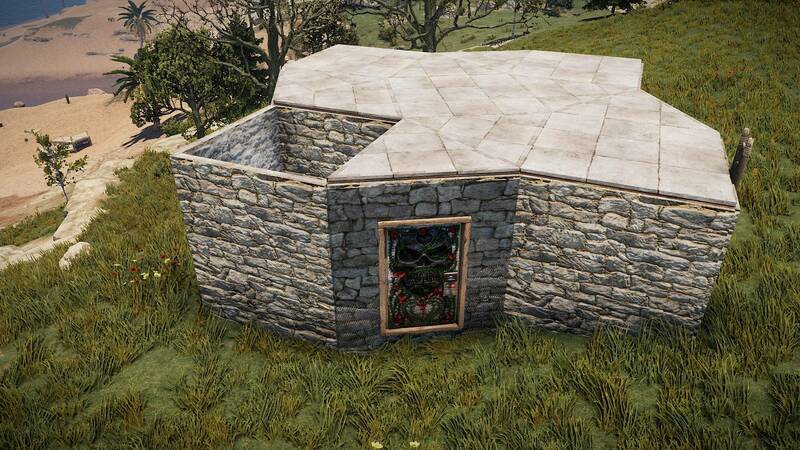 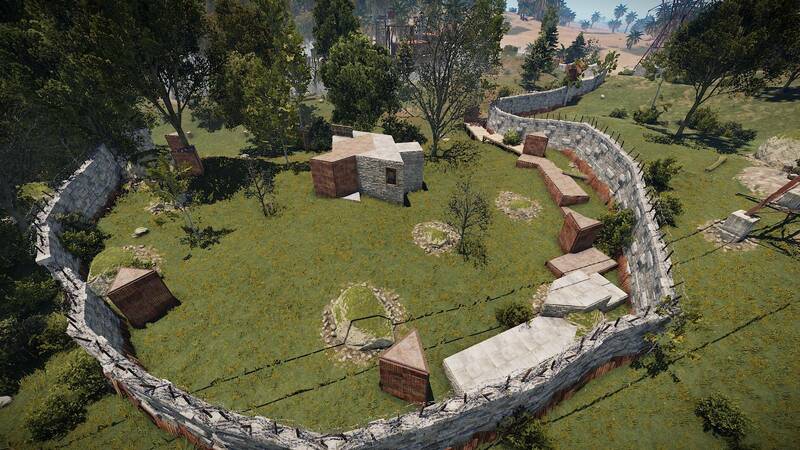 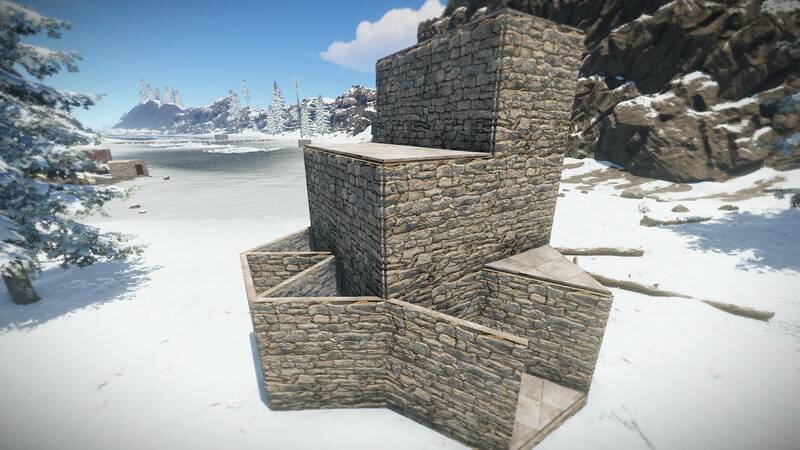 A few areas of the map were put to the test with these walls. 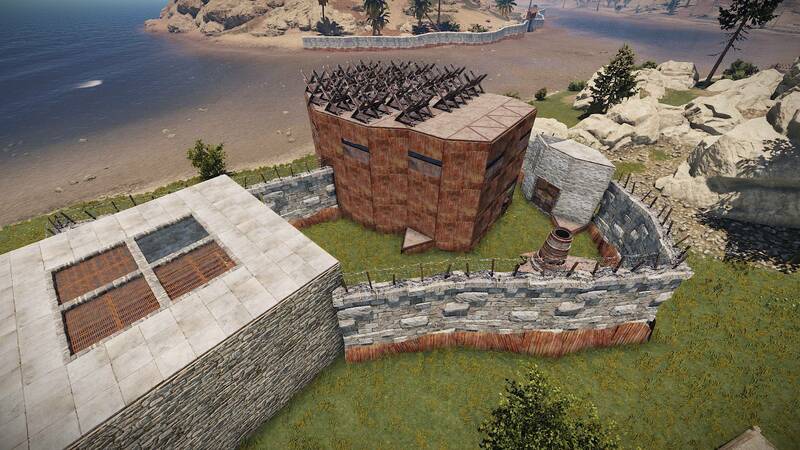 With the introduction of the mini-copter and hot air balloon, these walls were less of a challenge. 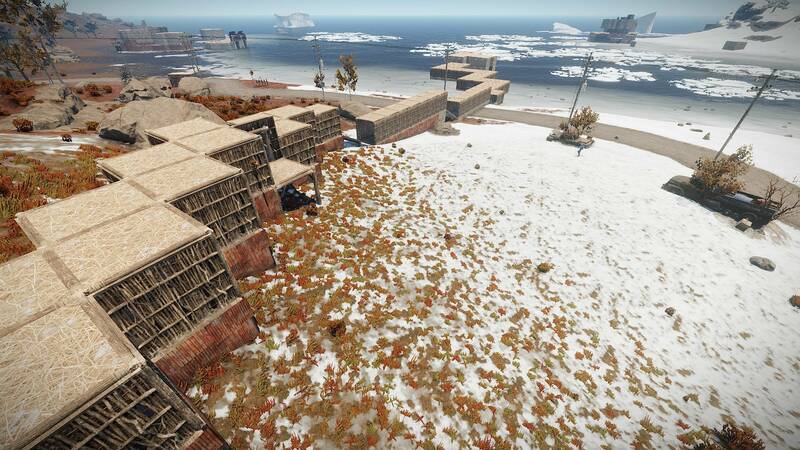 Players trying to access the contained areas. 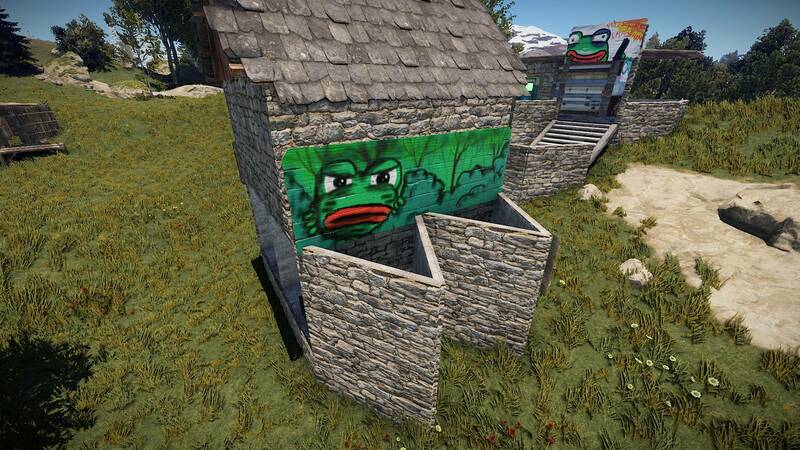 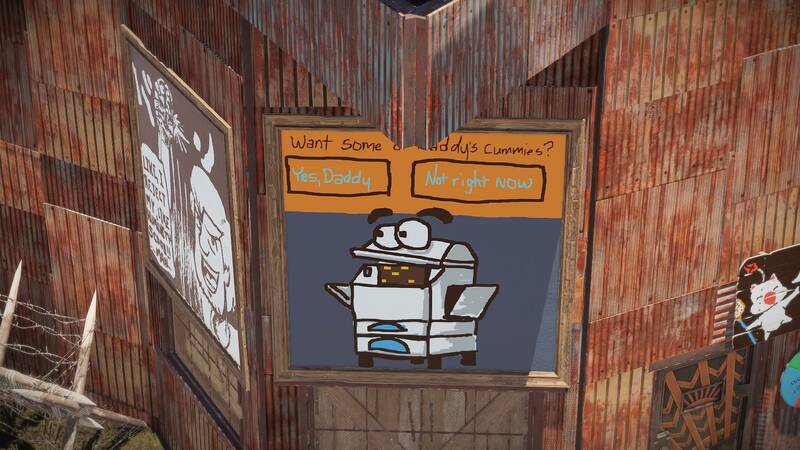 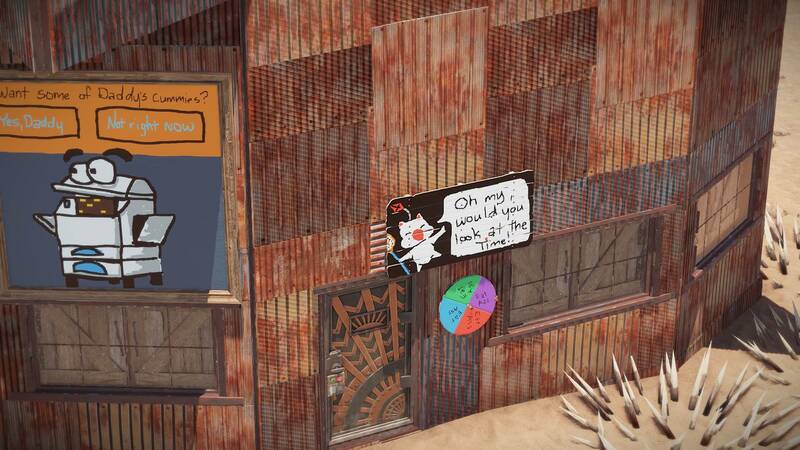 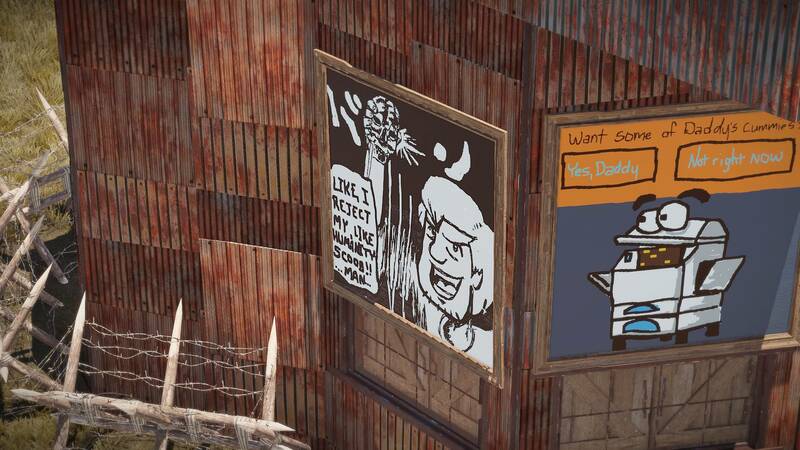 We noticed a lot of artwork spread across the server. 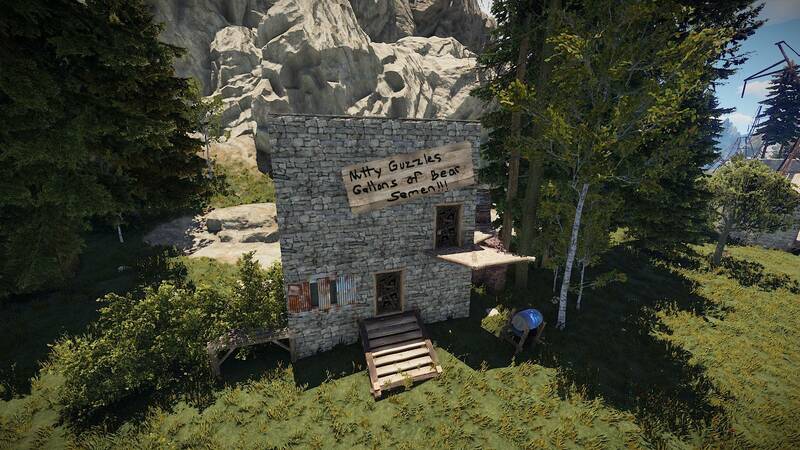 Unfortunately, we weren’t able to record all of the masterpieces. 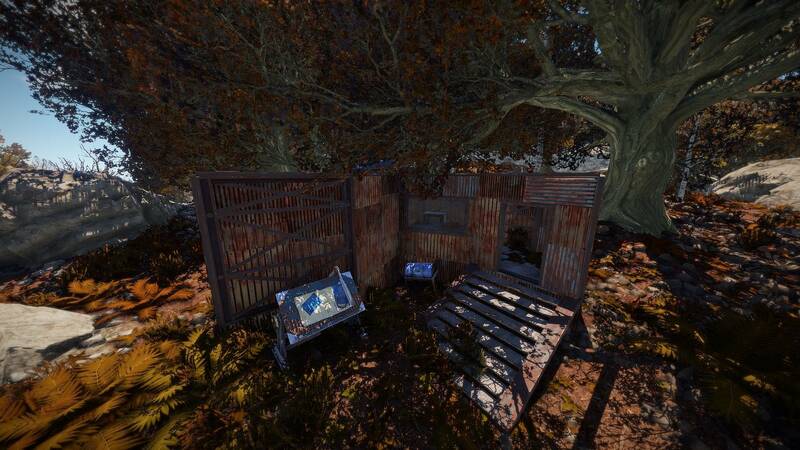 We have, however, begun to do sweeps throughout the wipe and share our discoveries on our twitter. 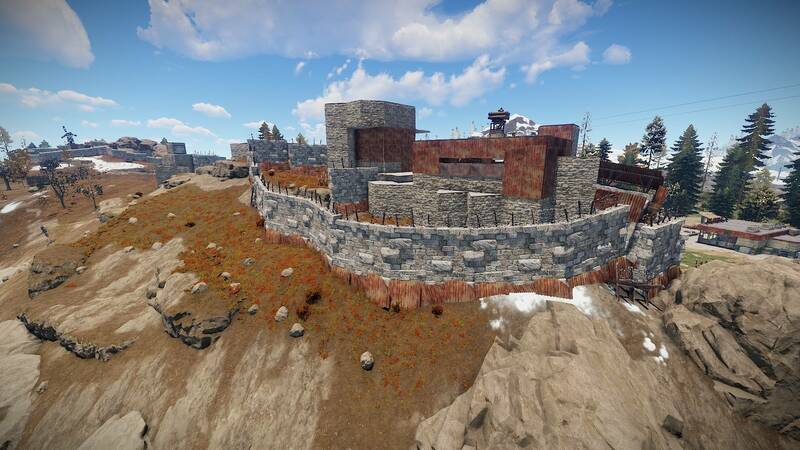 For this cycle, 3 players stood out on our PVP leaderboard and walked away with some hard earned Steam cash for their high player kill counts. 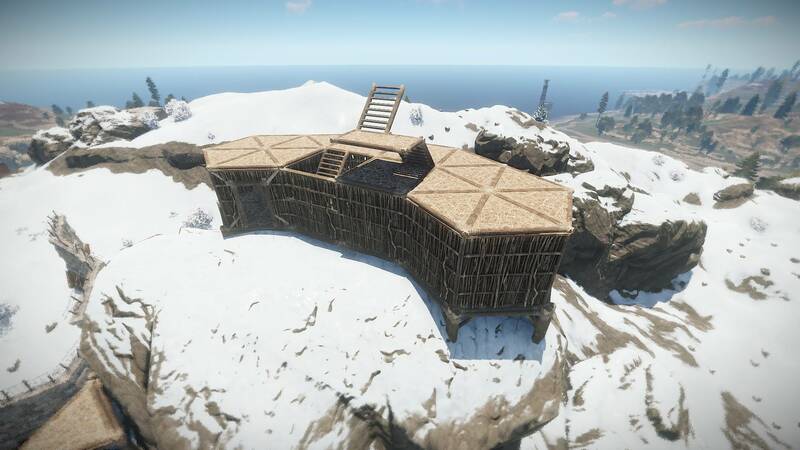 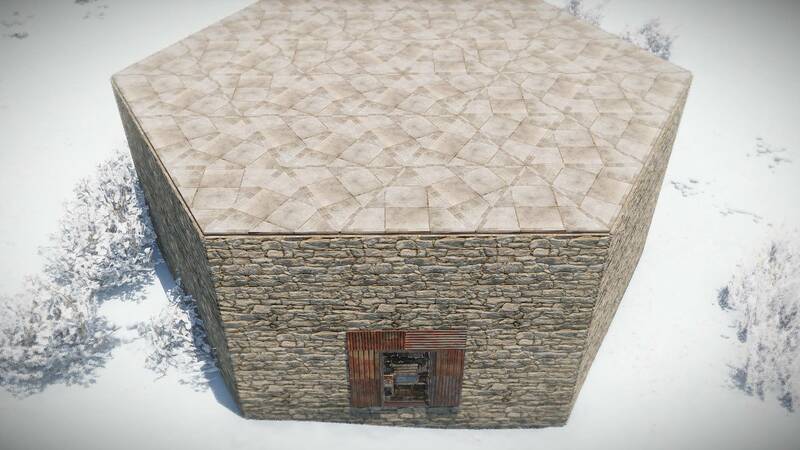 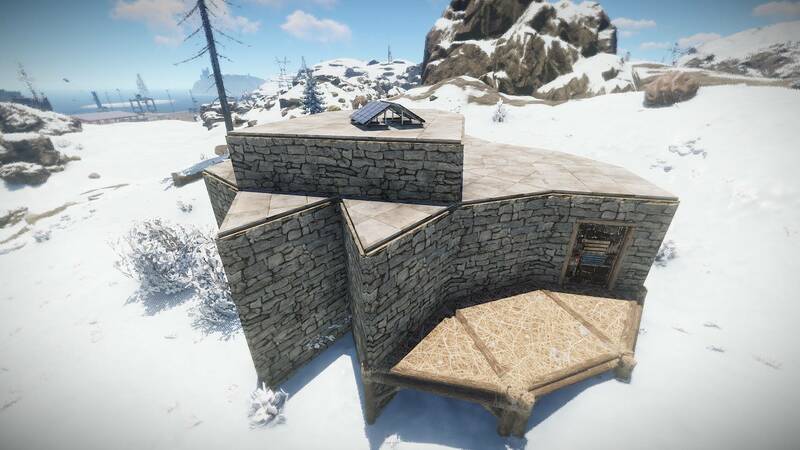 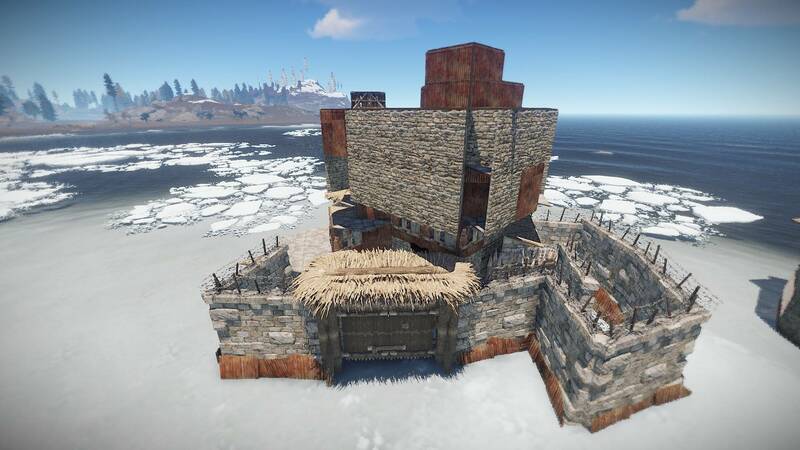 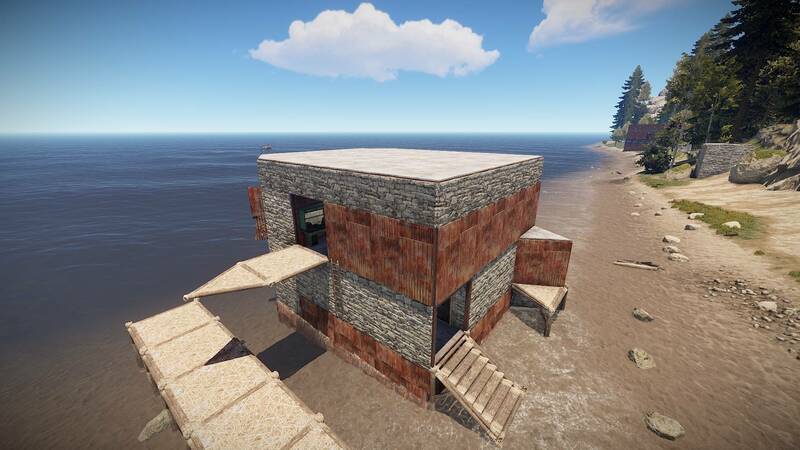 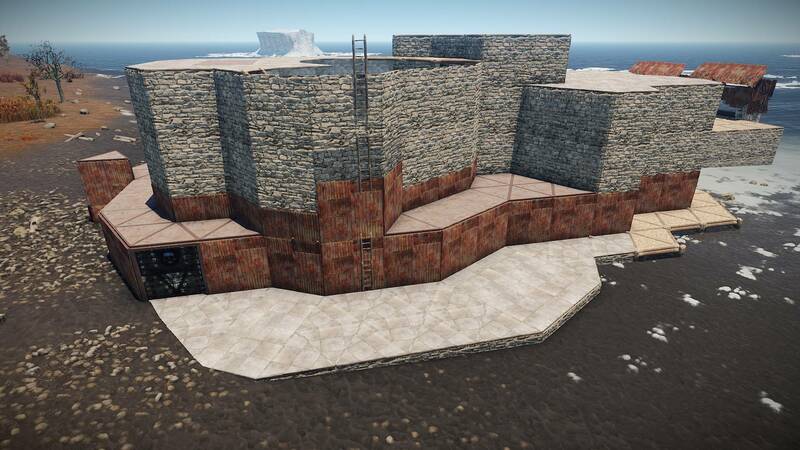 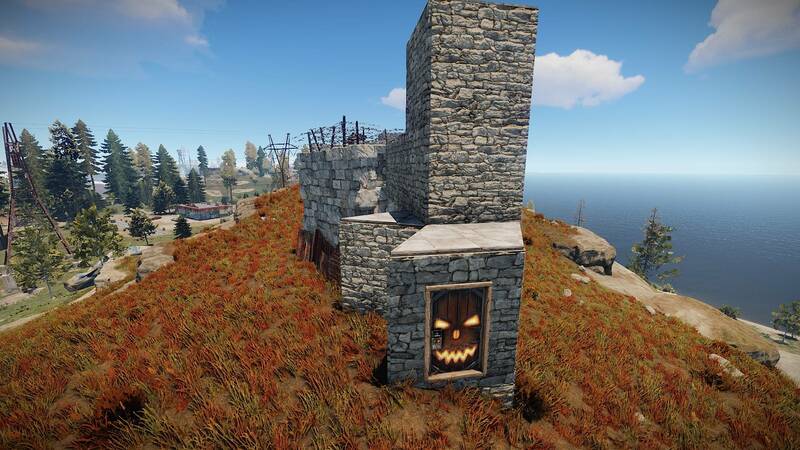 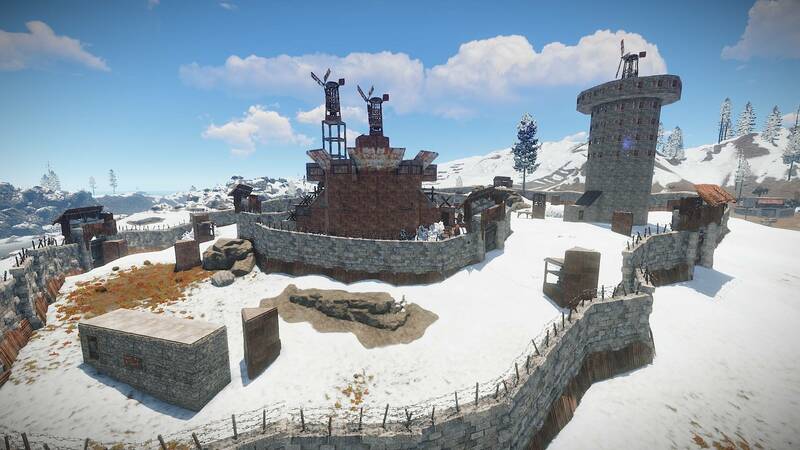 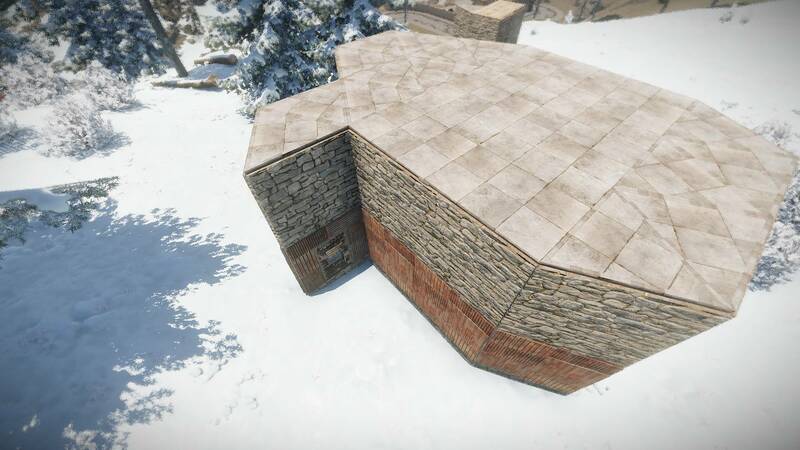 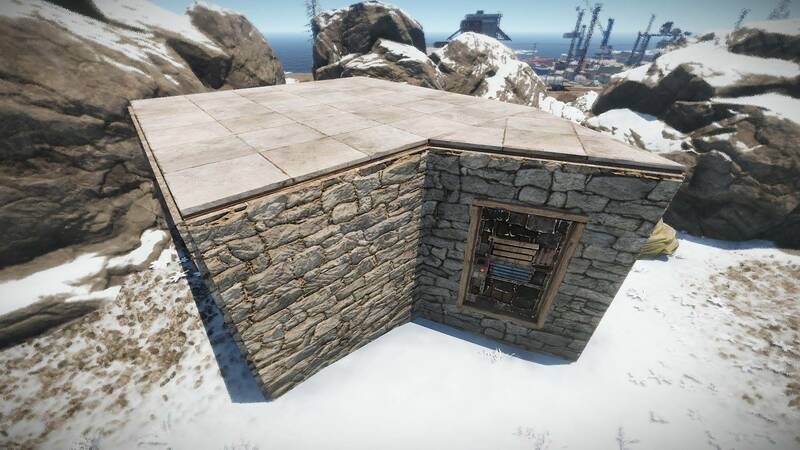 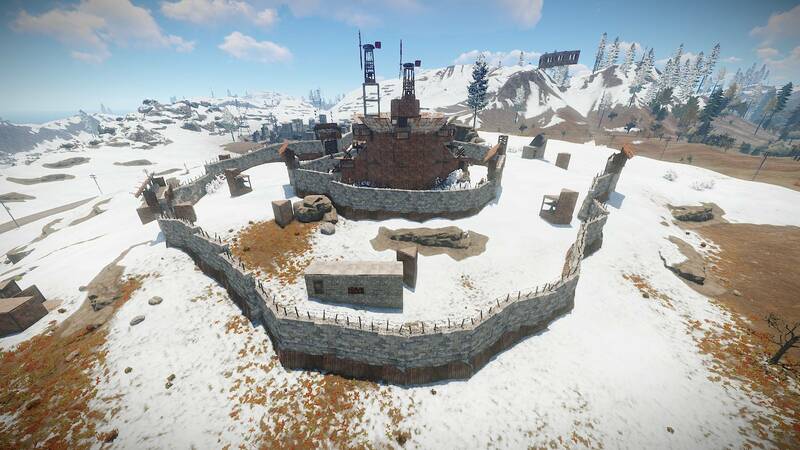 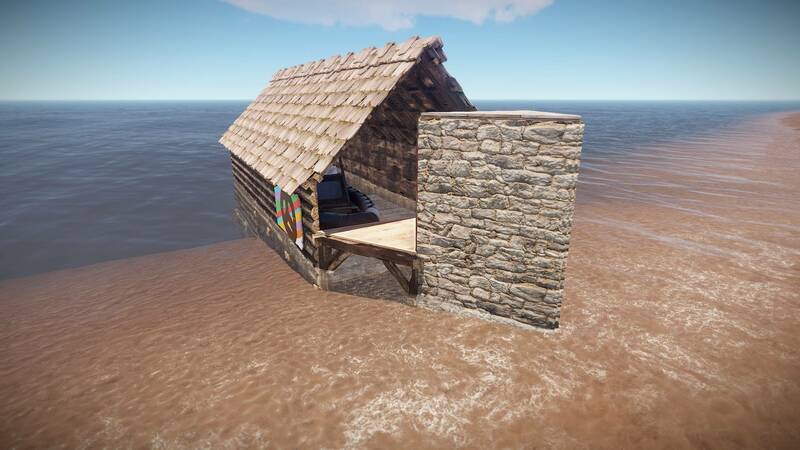 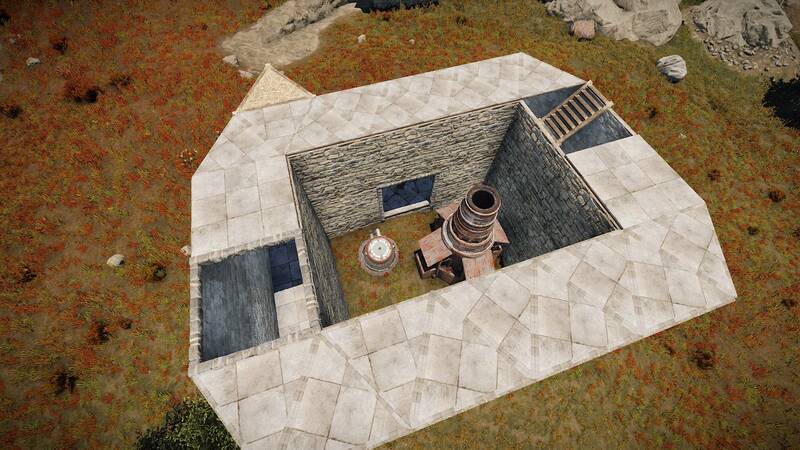 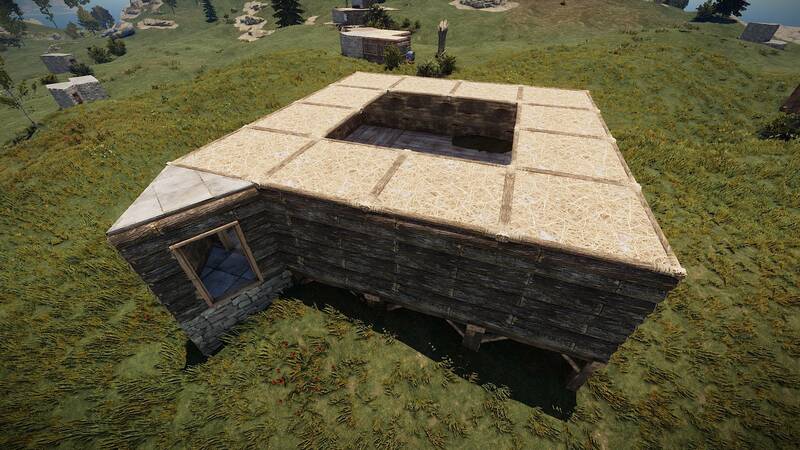 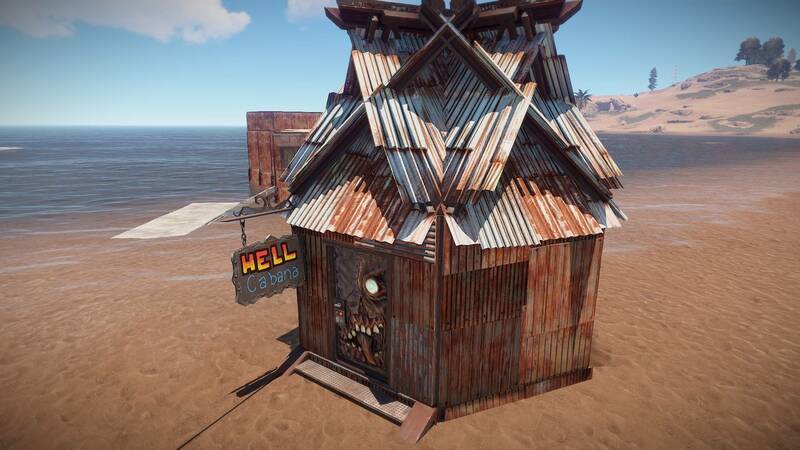 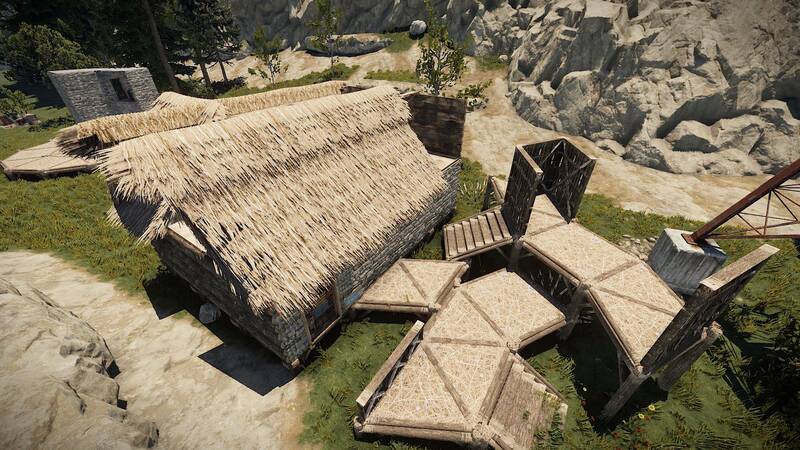 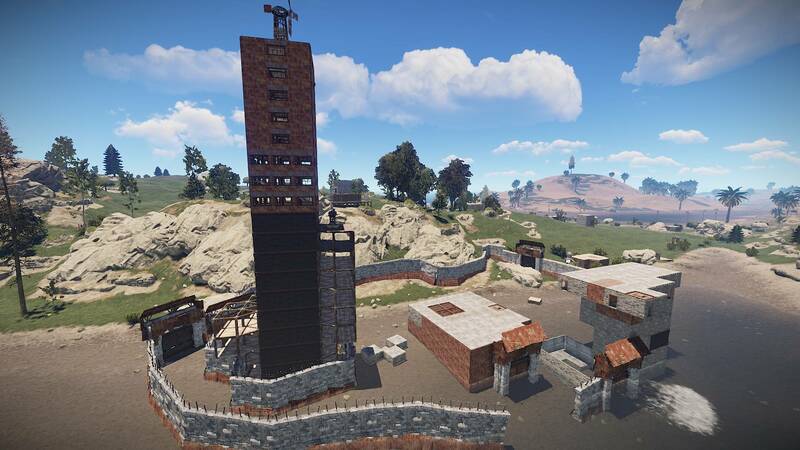 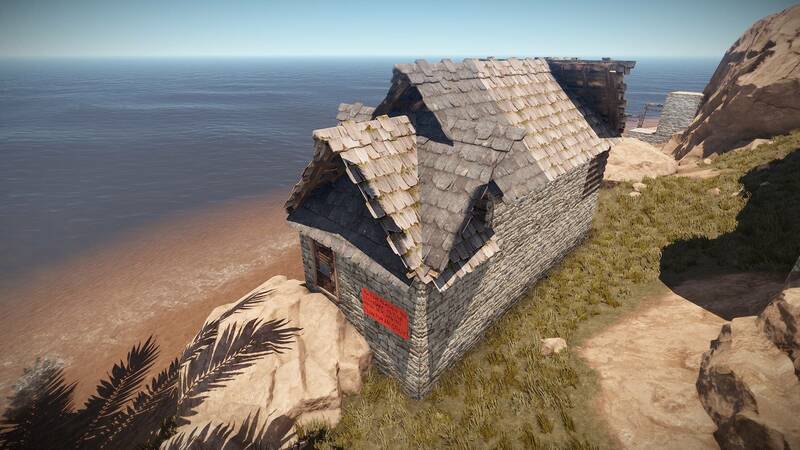 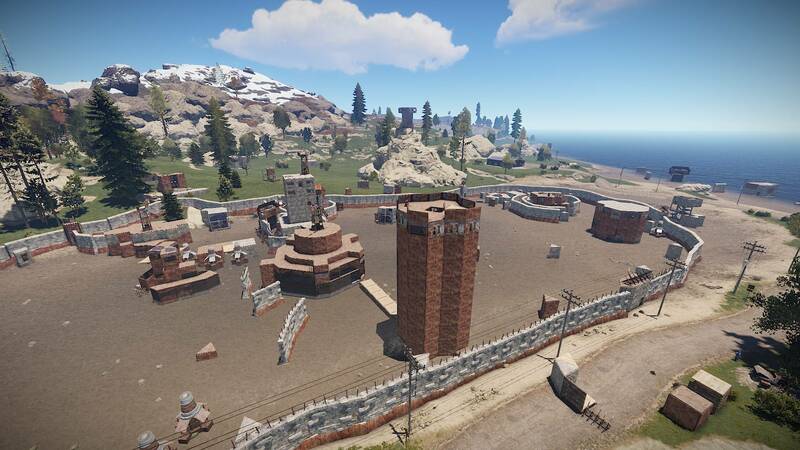 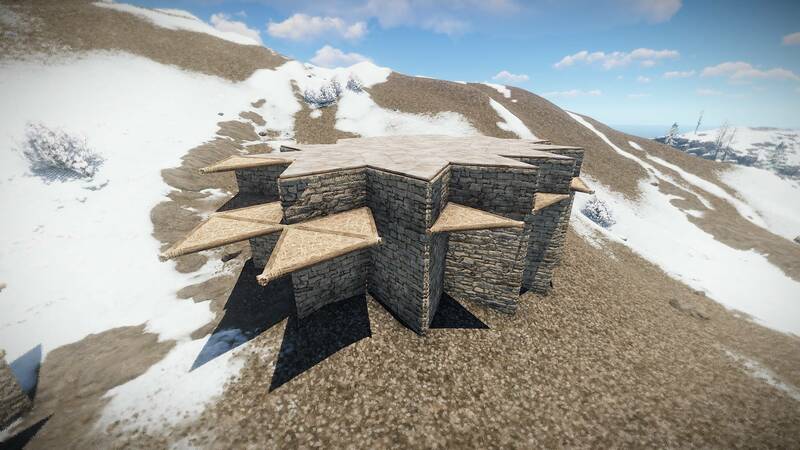 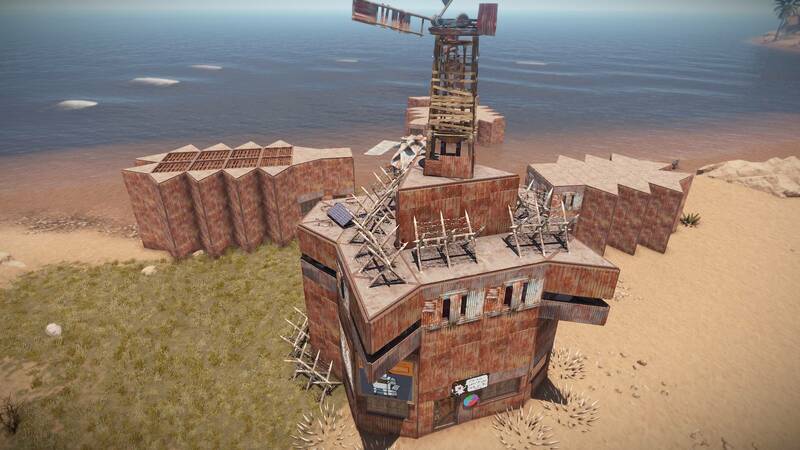 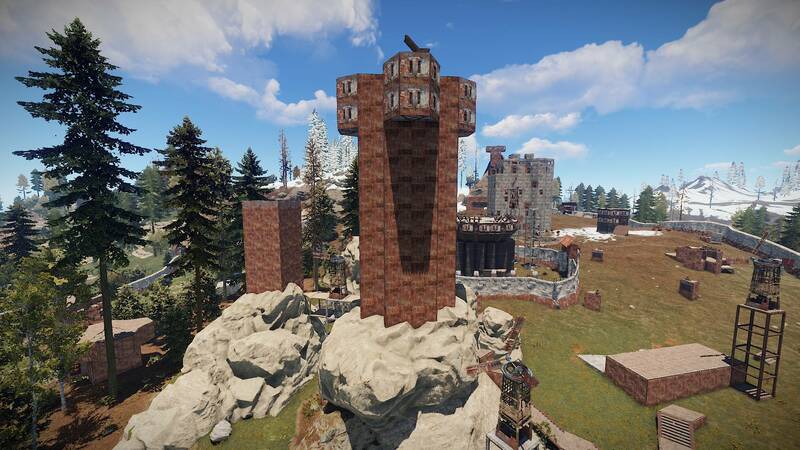 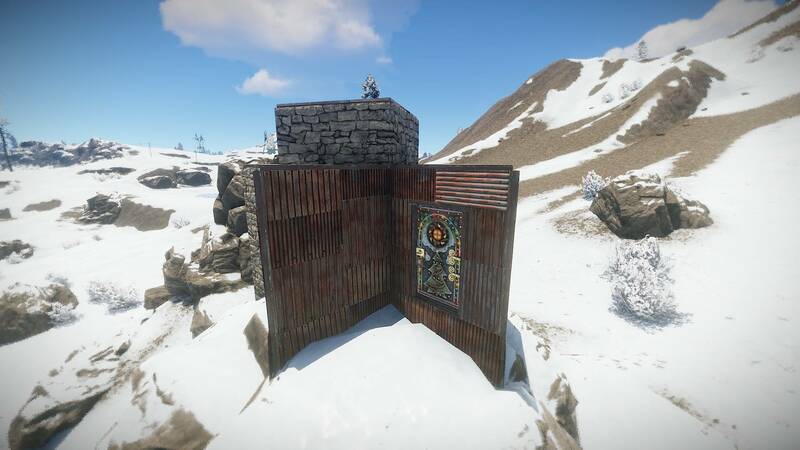 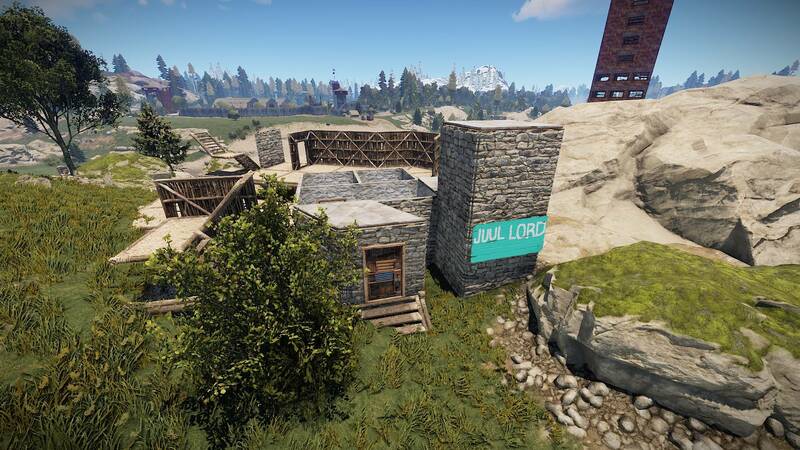 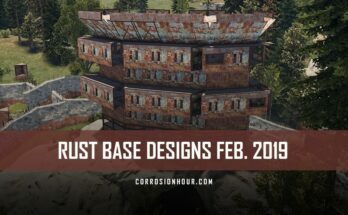 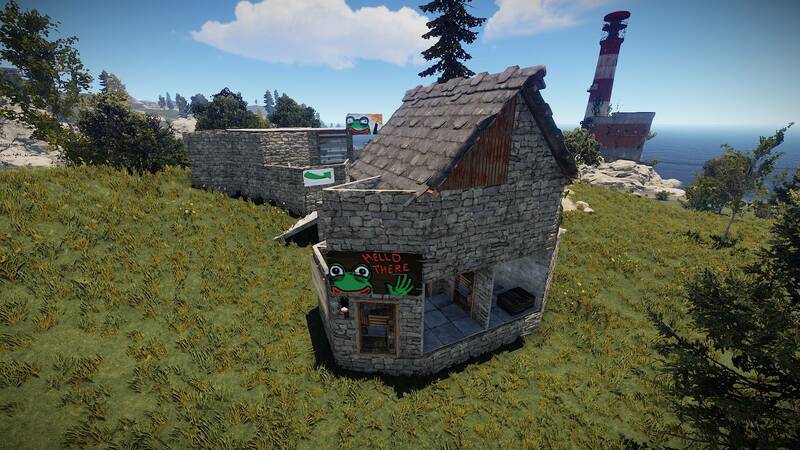 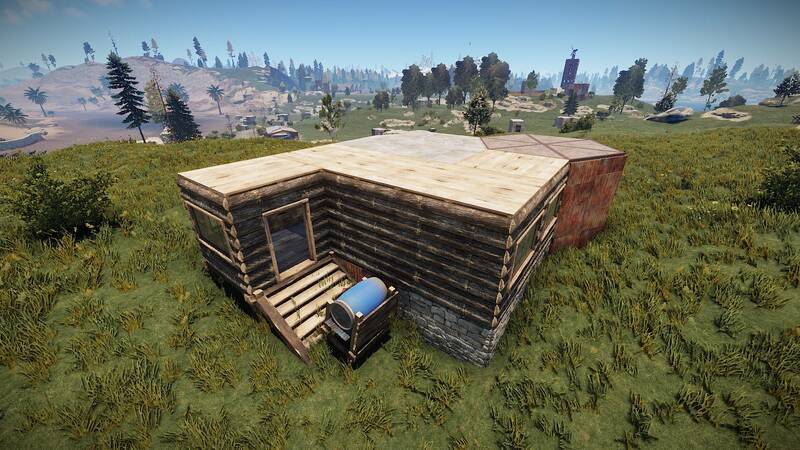 We hope you enjoy browsing all of the RUST base designs we collected for March 2019! 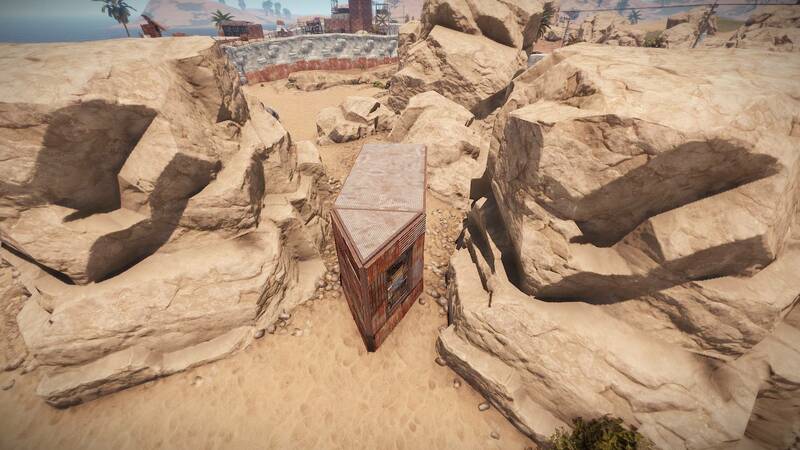 With that, we leave you to it.